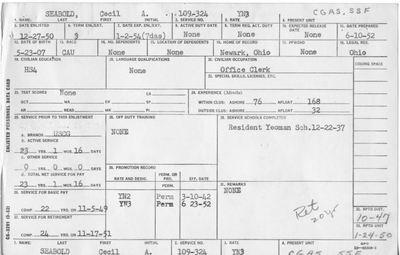 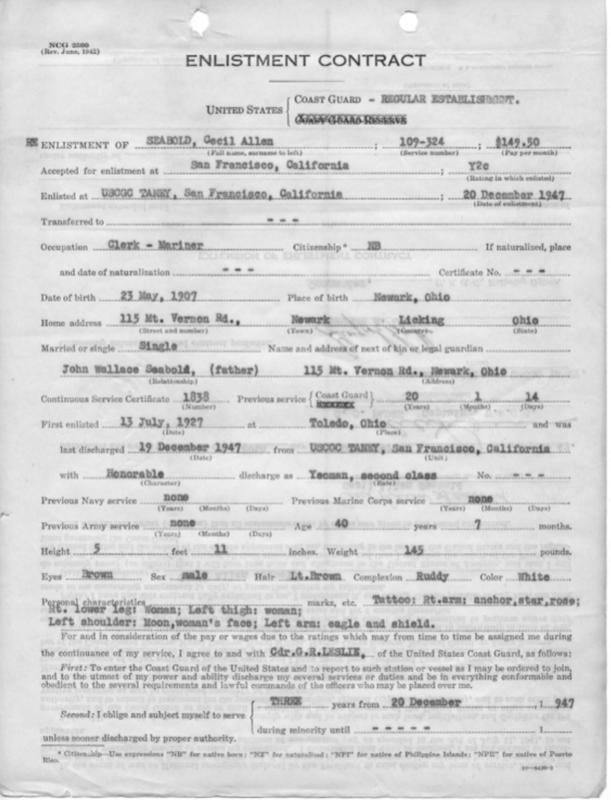 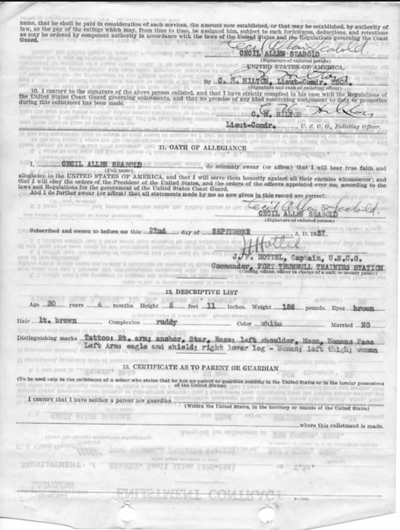 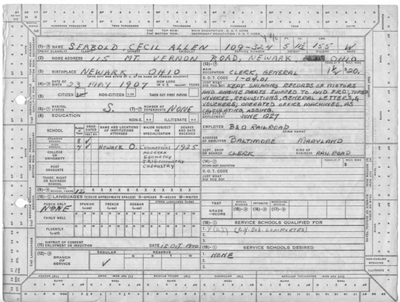 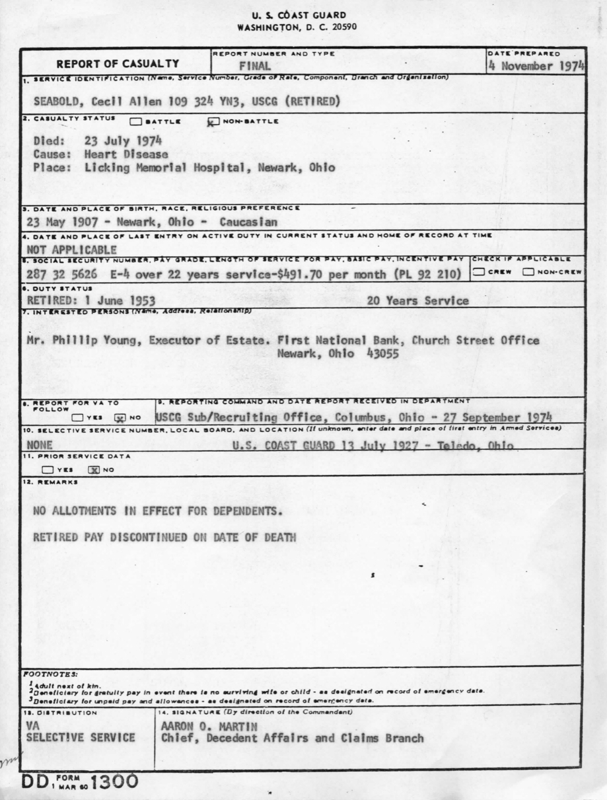 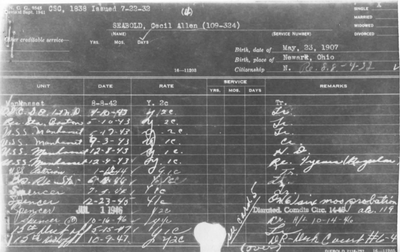 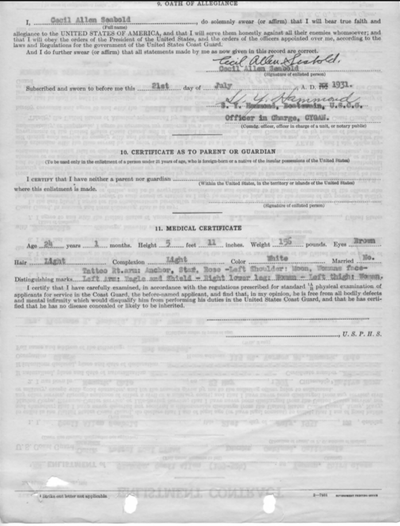 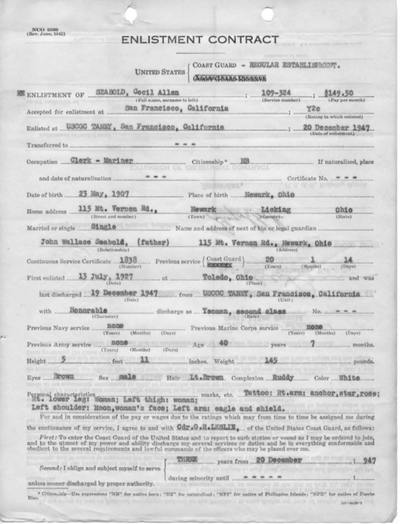 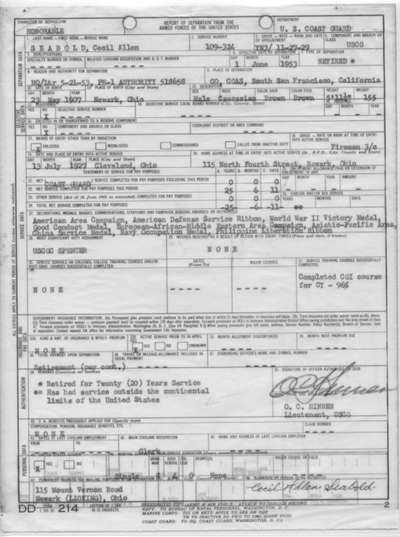 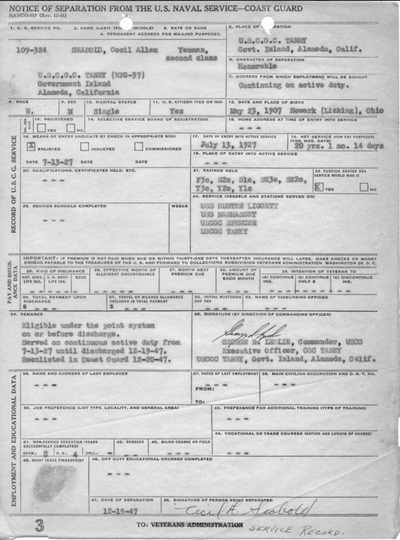 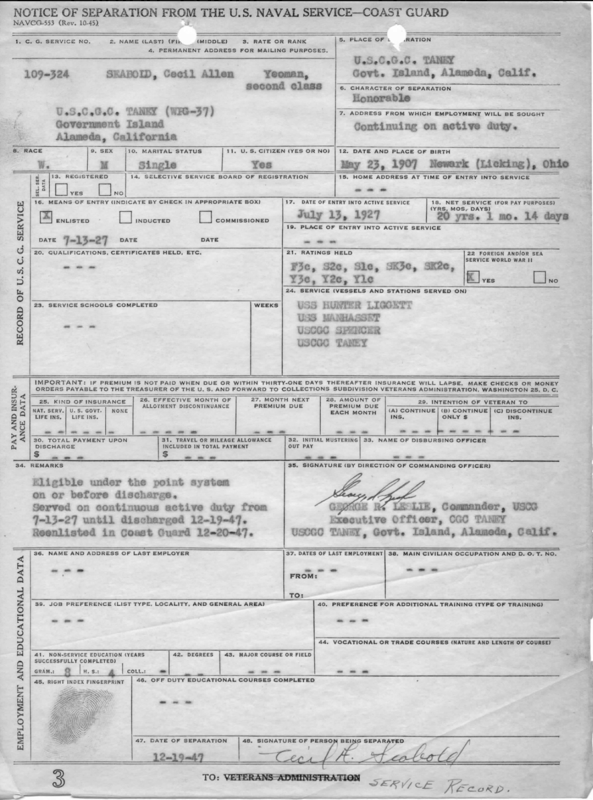 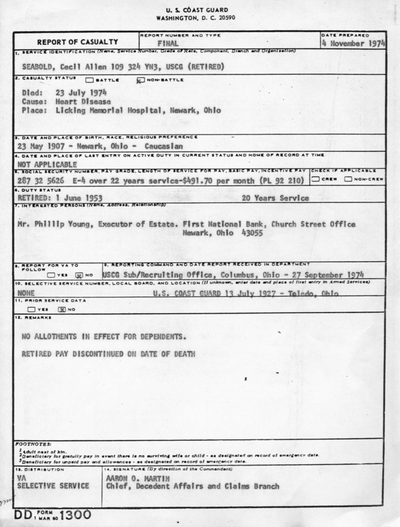 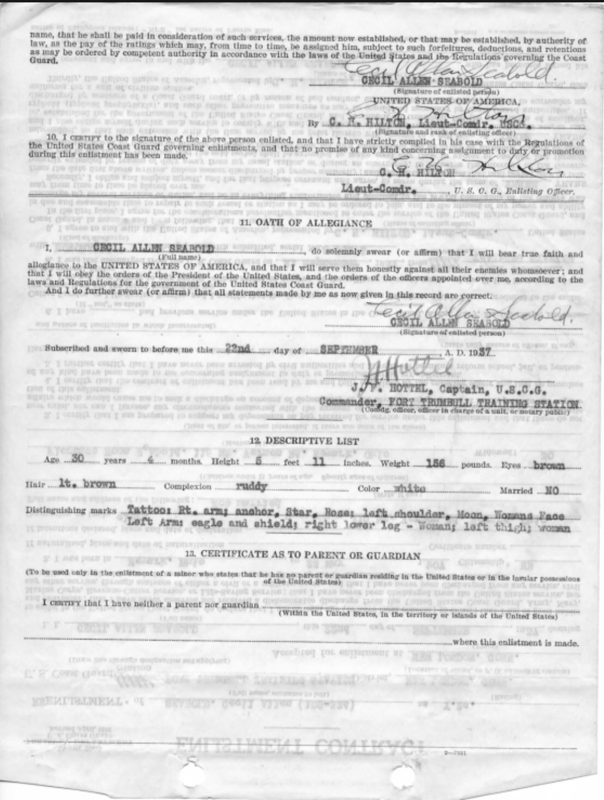 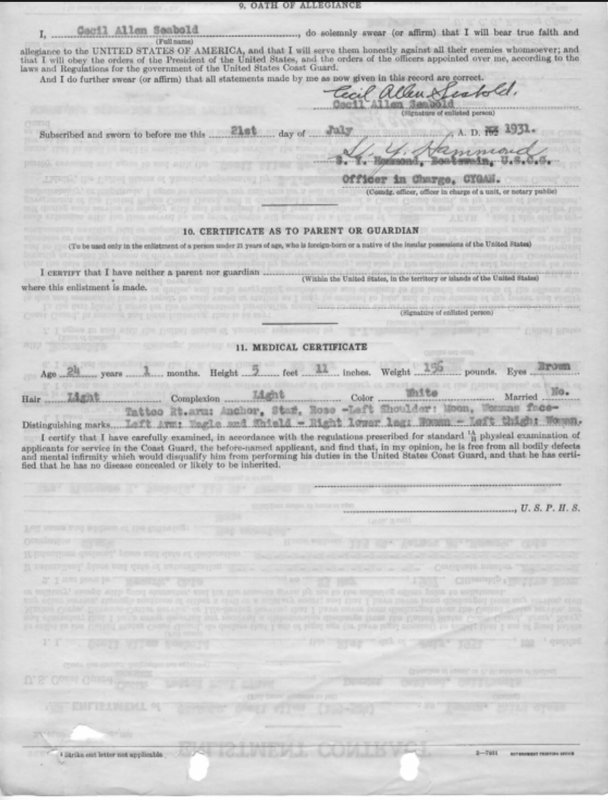 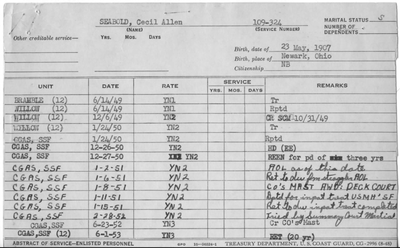 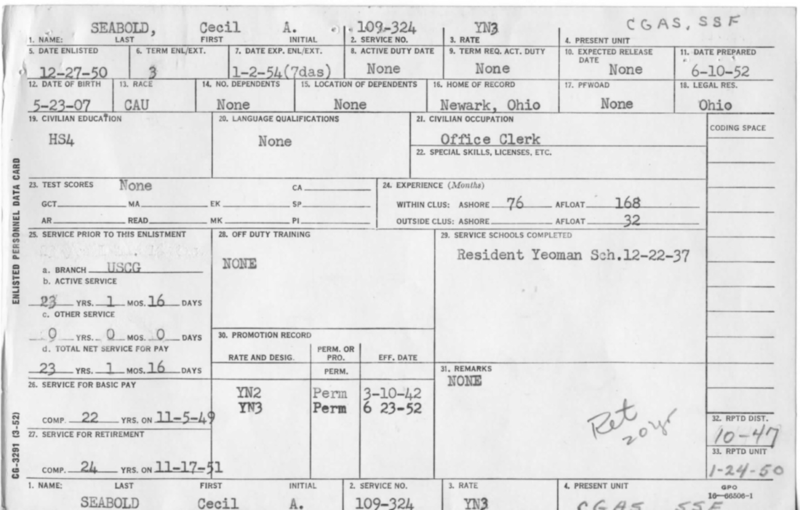 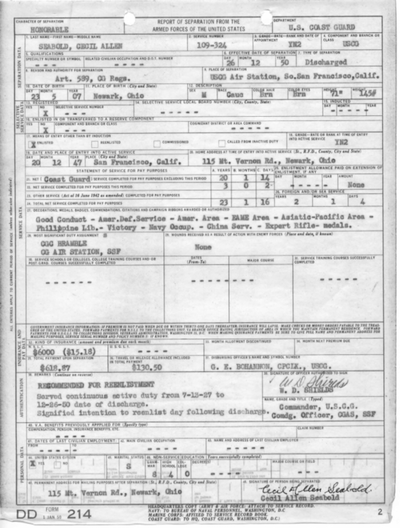 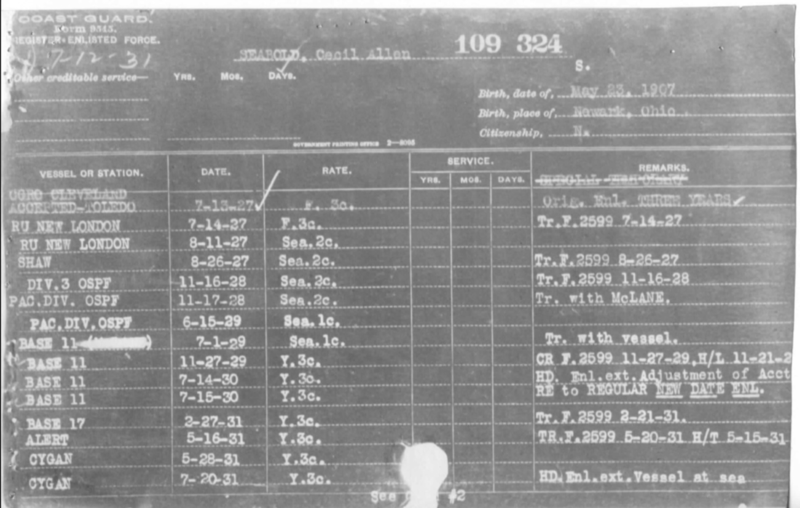 United States Coast Guard Yeoman Petty Officer 3rd Class Cecil Allen Seabold (Service #109-324 - Continuous Service Certificate # 1838) was born on May 23rd 1907 in Newark, Ohio. 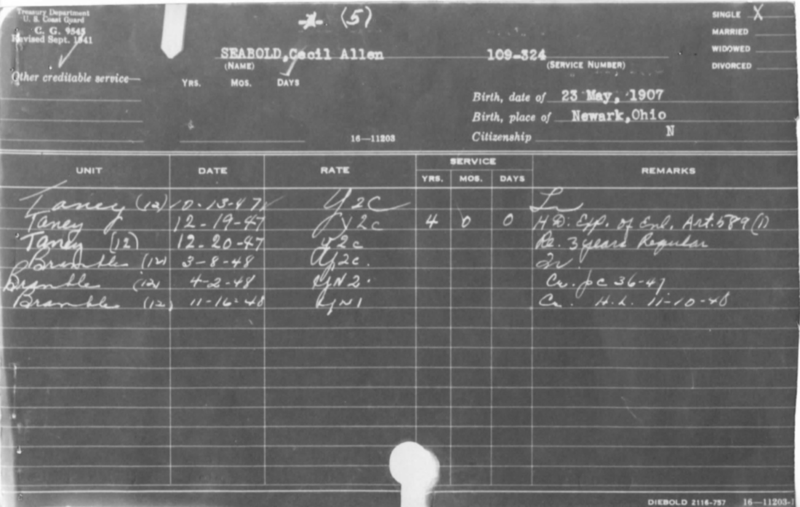 Cecil graduated Newark high school in 1925, & studied college courses in Algebra, geometry, trigonometry, & chemistry at the University of Ohio. 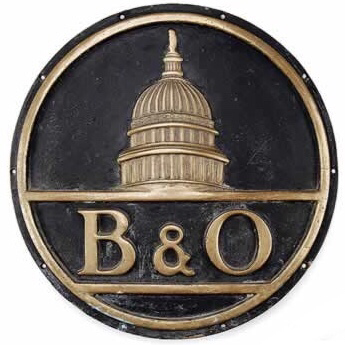 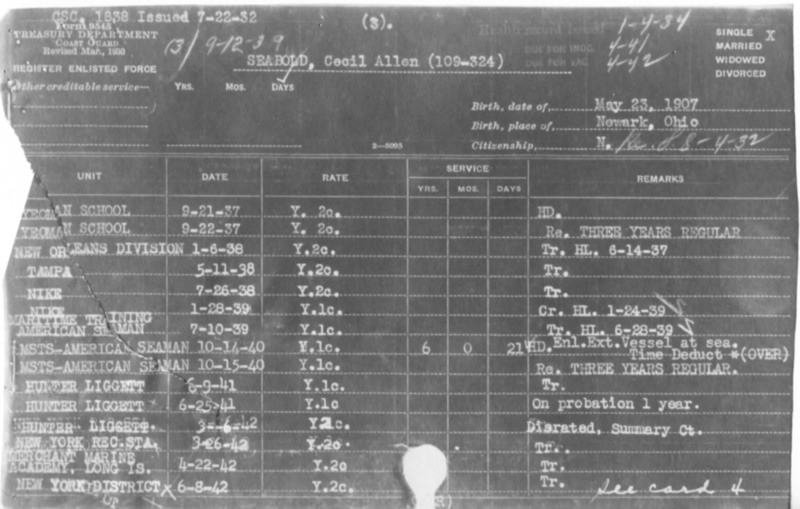 Cecil also worked as a general clerk for the "Oldest Railroad in the Unites States", B&O Railroad Co. before his Military career. Cecil would be described as tall & lean at 6 foot 1 inch, with tattoos of anchors, Stars, roses, women, eagles, & a Shield on his arms, shoulders, & legs. 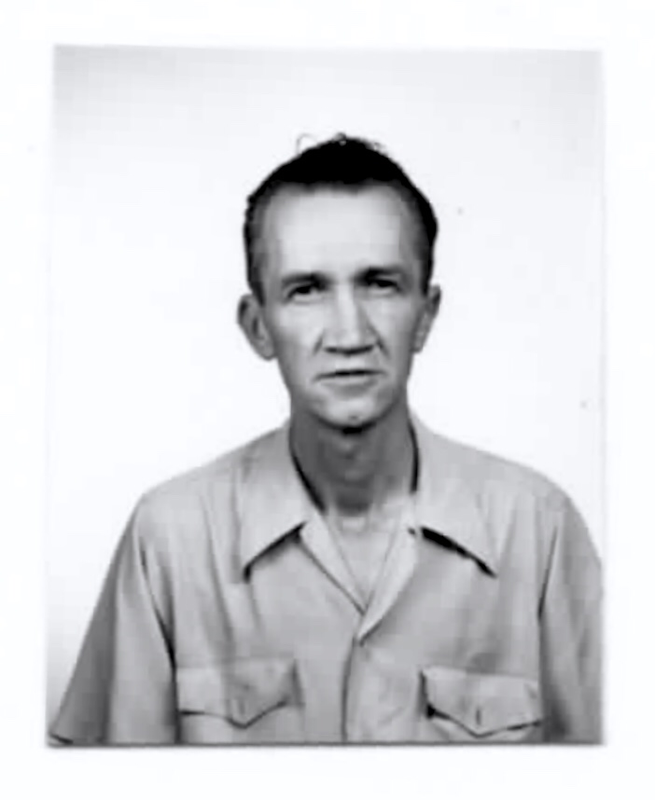 He was your typical “old salt” with a drinking problem that reared it’s head during World War II. 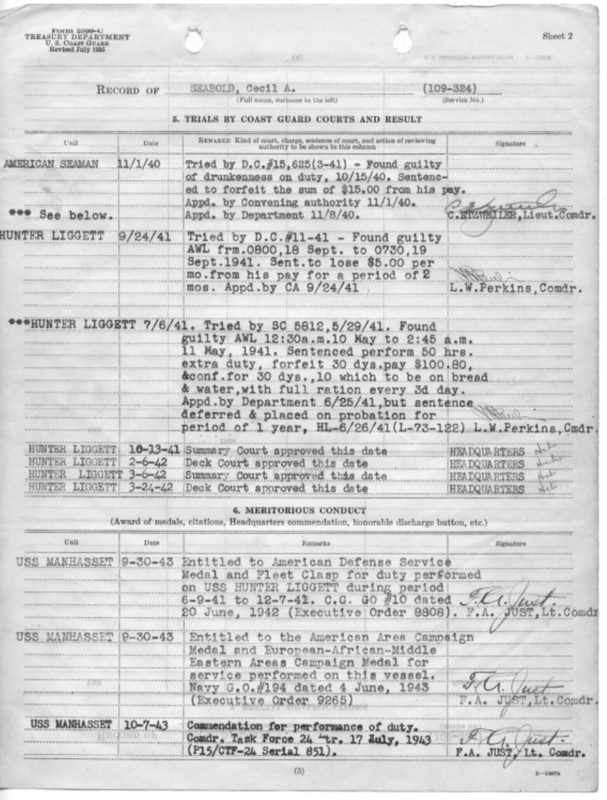 Losing Rank, pay, & spending time in confinement on bread & water were no strangers to the Yeoman. 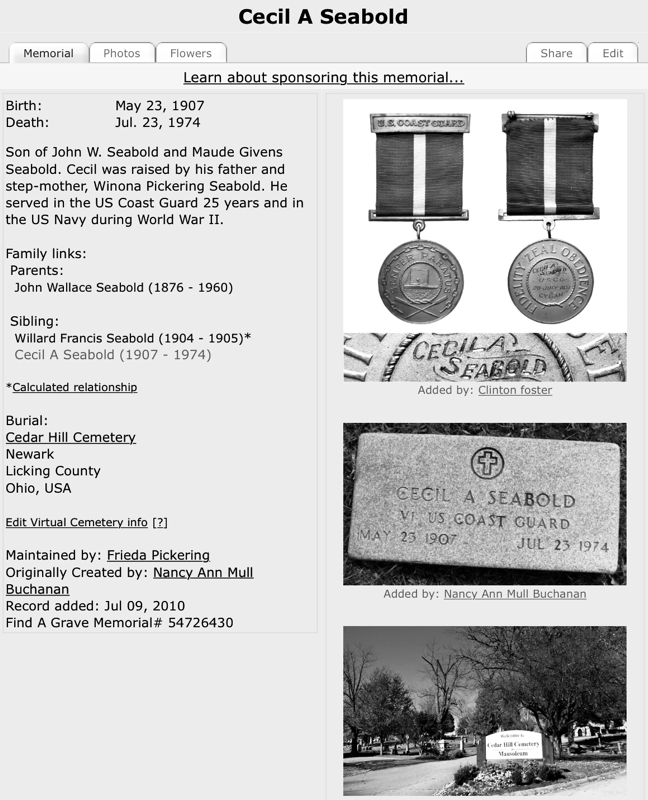 Seabold surely lived up to his namesake as he Boldy traveled the World’s Seas. 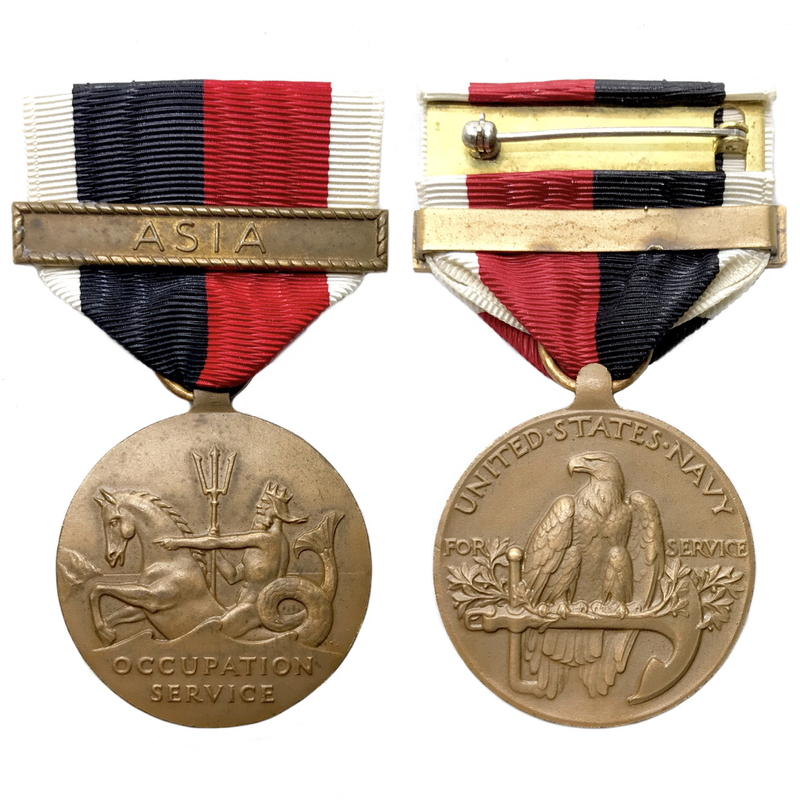 He saw action stateside in the late 1920’s “Rum Wars” as well as both the European & Asiatic theaters of World War II, finishing his career stateside during the Korean War. 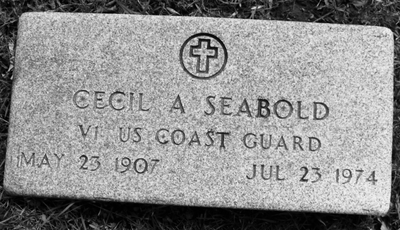 Cecil enlisted as a Fireman 3rd Class in the Coast Guard July 13th 1927 in Cleveland, Ohio. 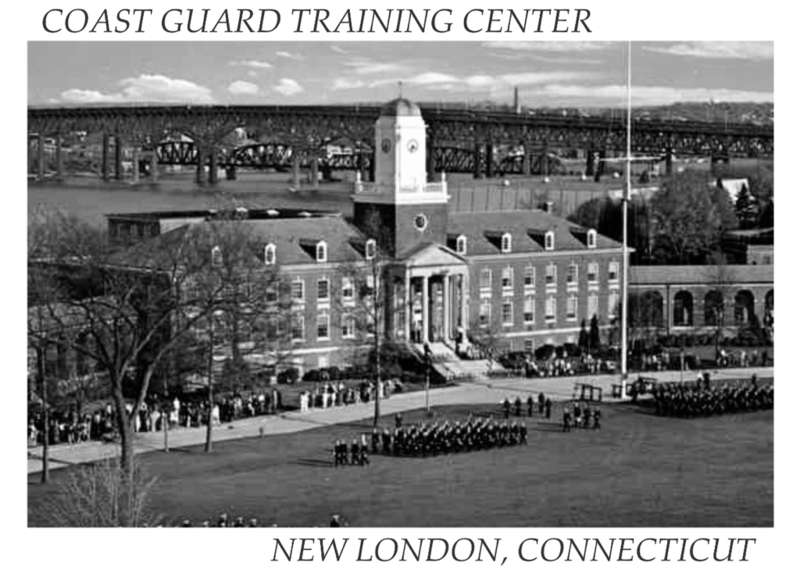 He received his training at the Coast Guard Training Center, New London, Connecticut until Aug. 11th 1927, when he completed training & was promoted to Seaman 2nd Class. 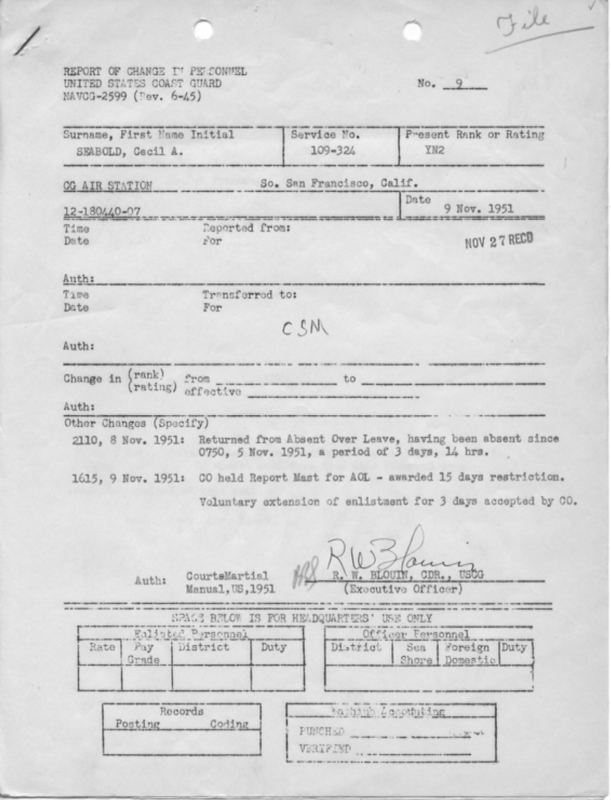 S2c Seabold was transferred to the U.S.C.G. 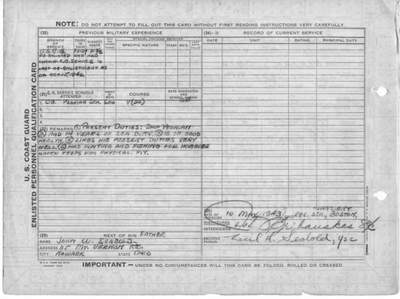 Destroyer Shaw Aug. 26th 1927, where he served aboard for over a year until Nov. 16th 1928. 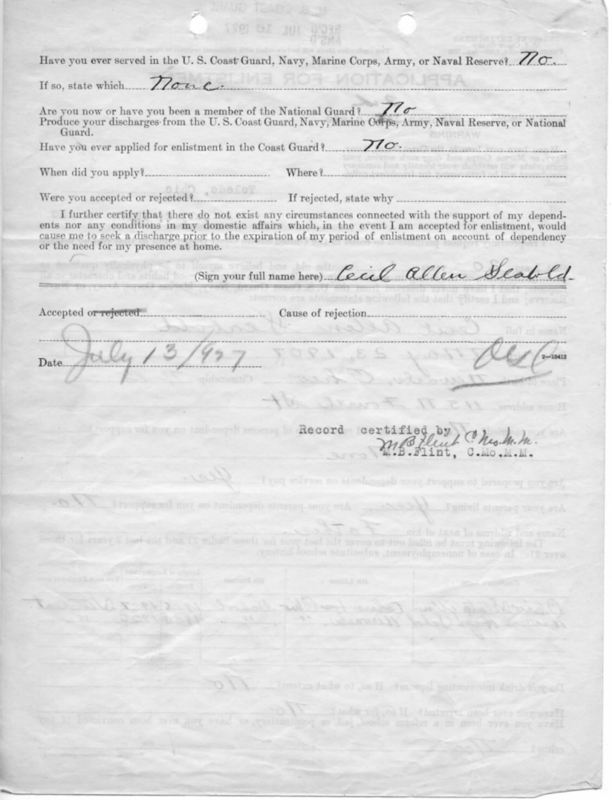 The U.S.C.G.D. 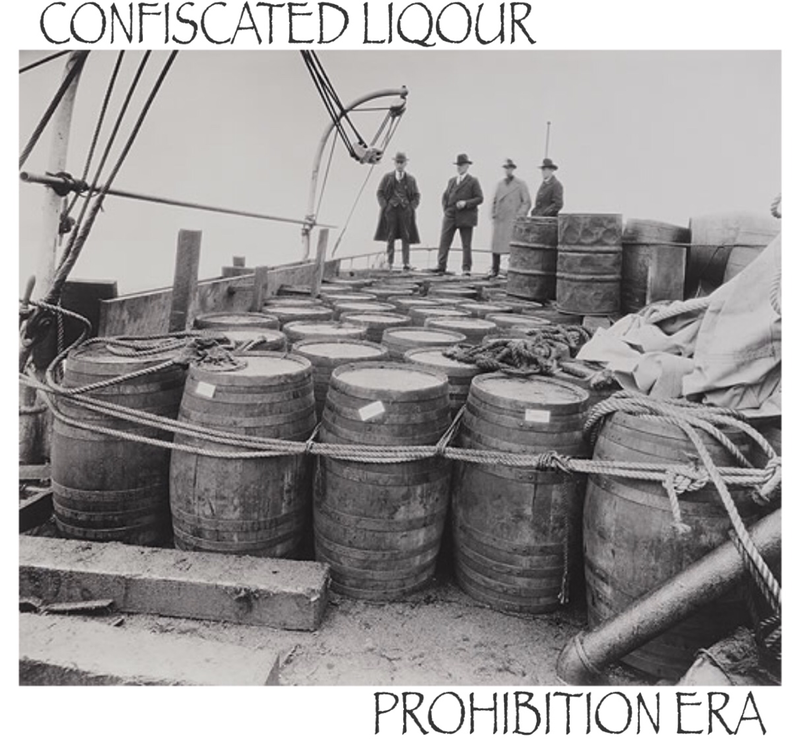 Shaw was involved in Rum Runner Duty during the Alcohol Prohibition. 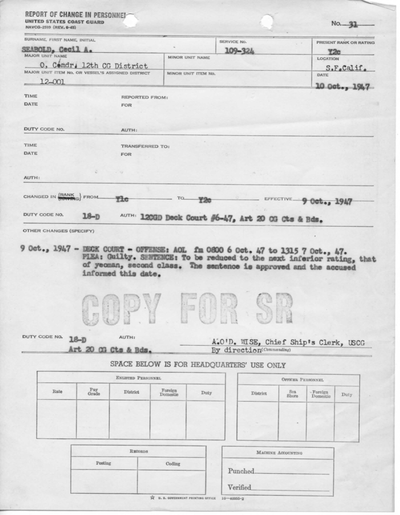 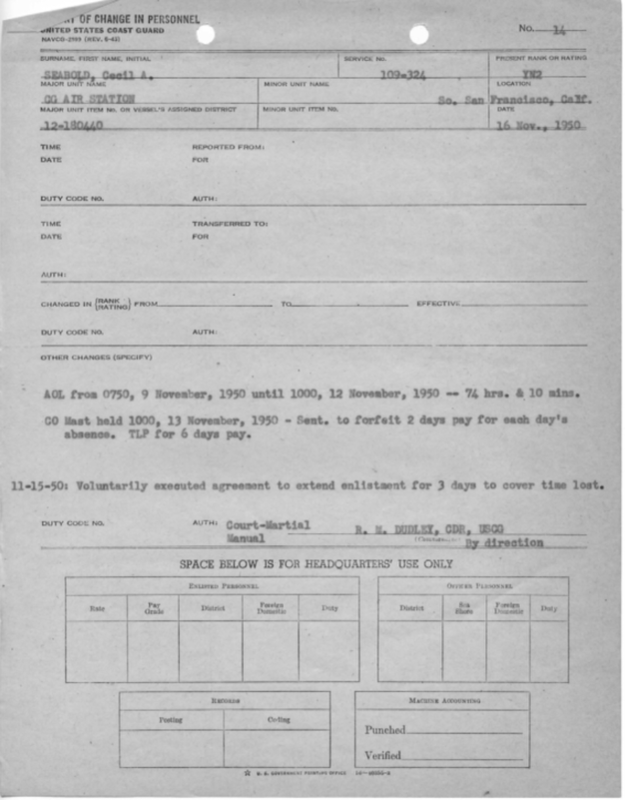 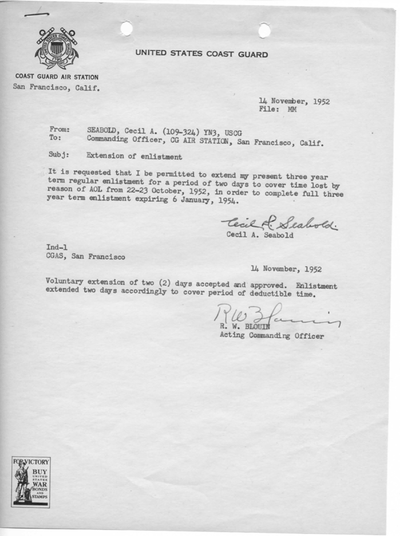 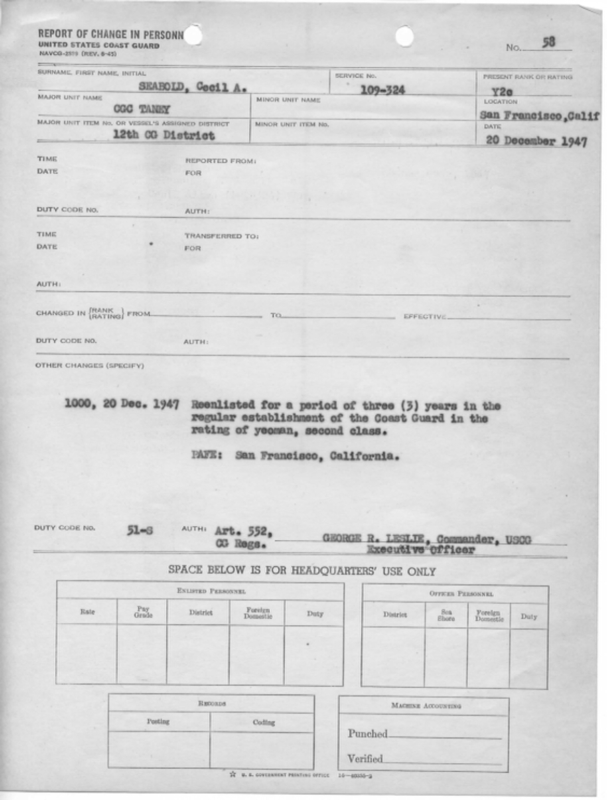 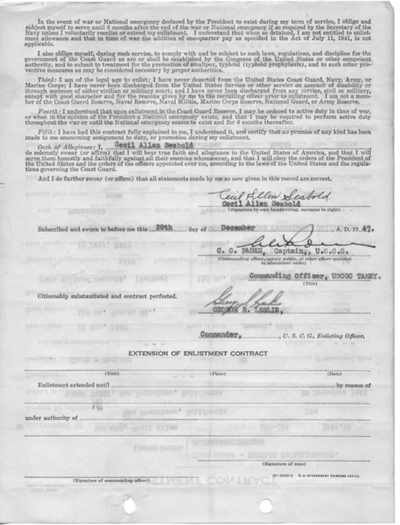 On Nov. 16th 1928 S2c Seabold was transferred to the Pacific Division OSPF. 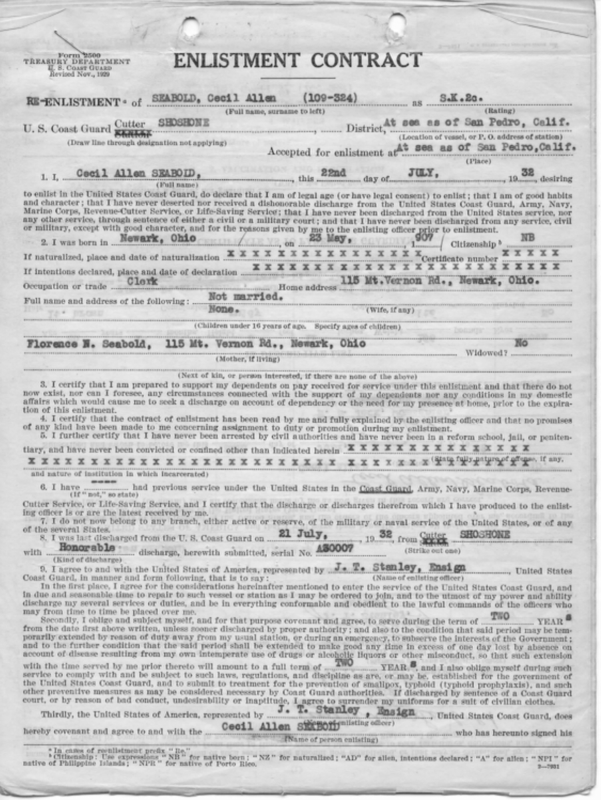 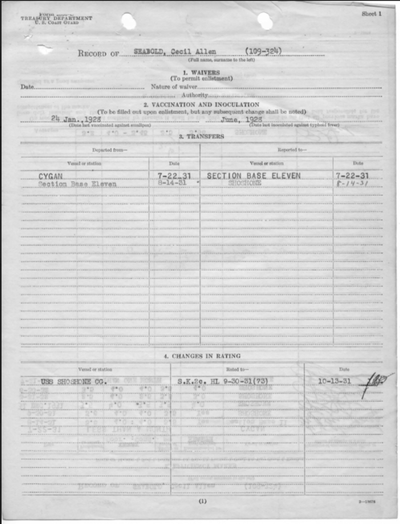 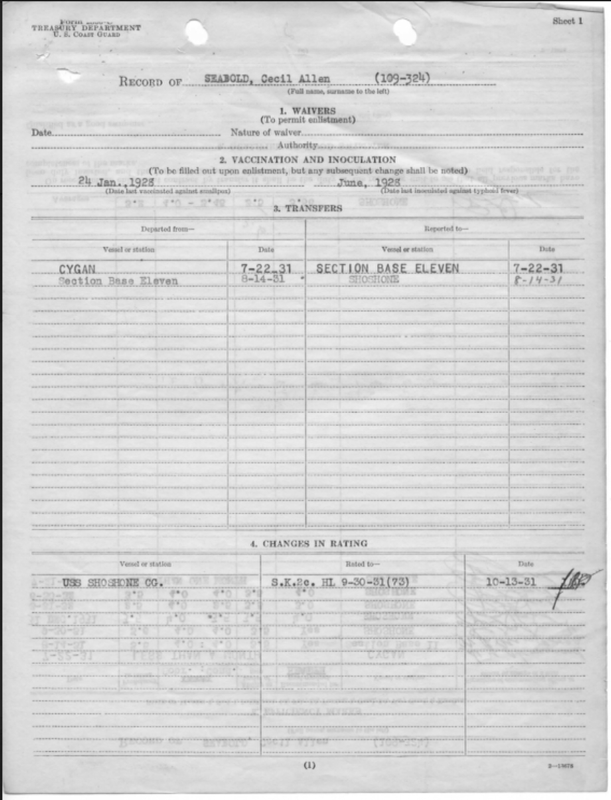 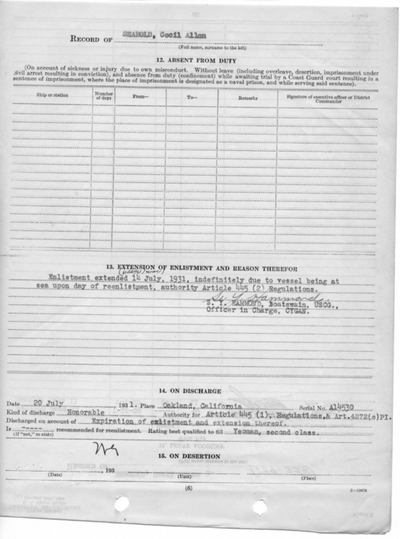 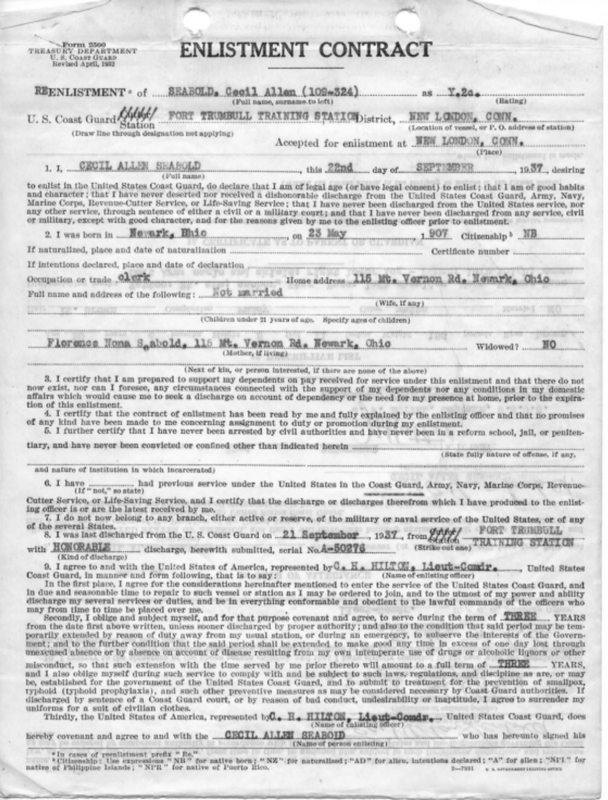 He was promoted to Seaman 1st Class June 15th 1929, & remained stationed at OSPF until he was transferred on June 30th 1929. 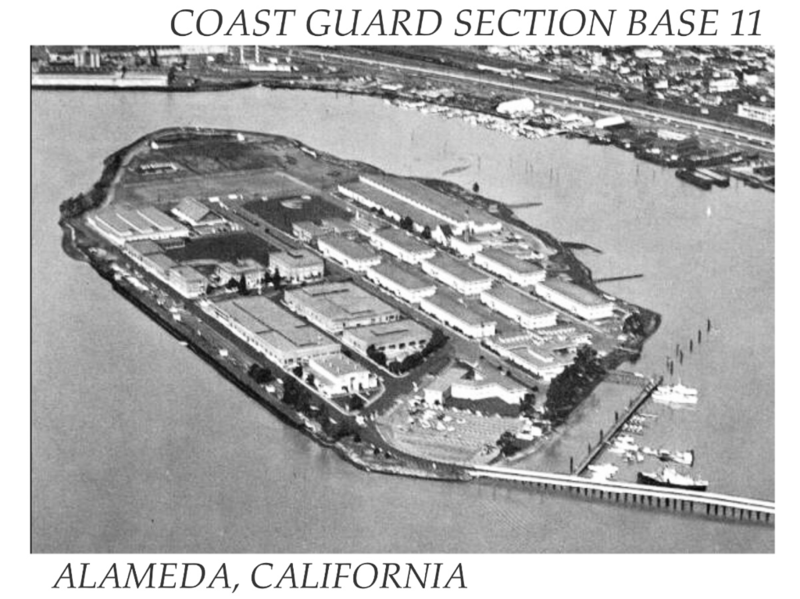 S1c Seabold arrived at Coast Guard Section Base 11 Alameda, CA Sept. 30th 1929. 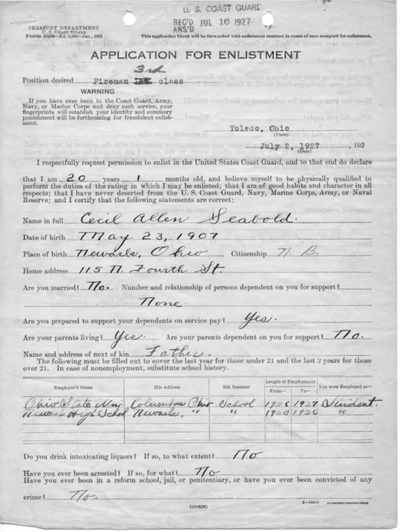 On Nov. 27th 1929 Seabold was promoted to Yeoman 3rd Class. 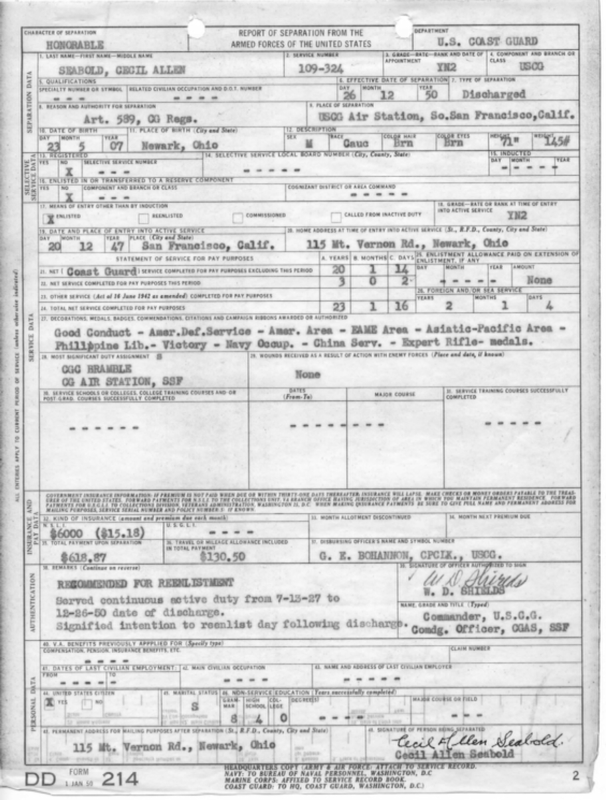 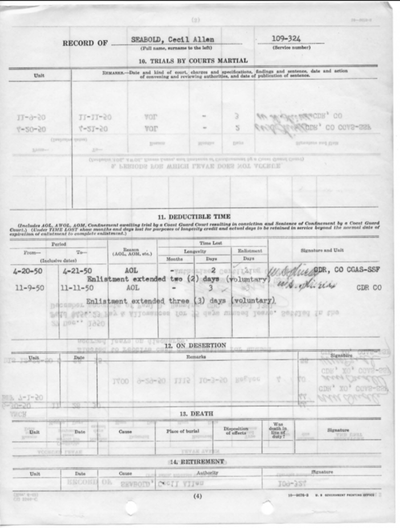 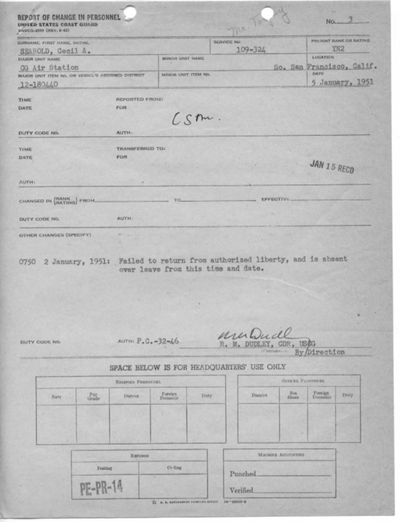 He remained at Section Base 11 & was discharged on July 14th 1930 & reenlisted the next day. 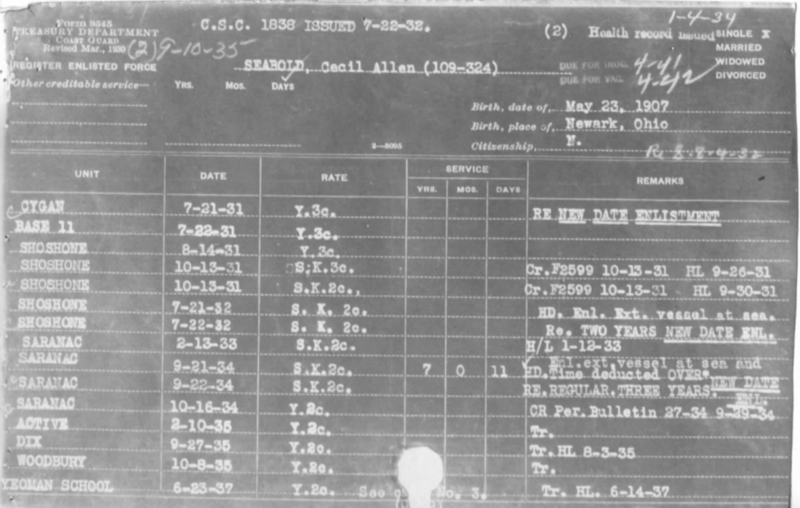 ​Y3c Seabold was temporarily transferred to Coast Guard station 17 in Kodiac, Alaska on Feb. 27th 1931. 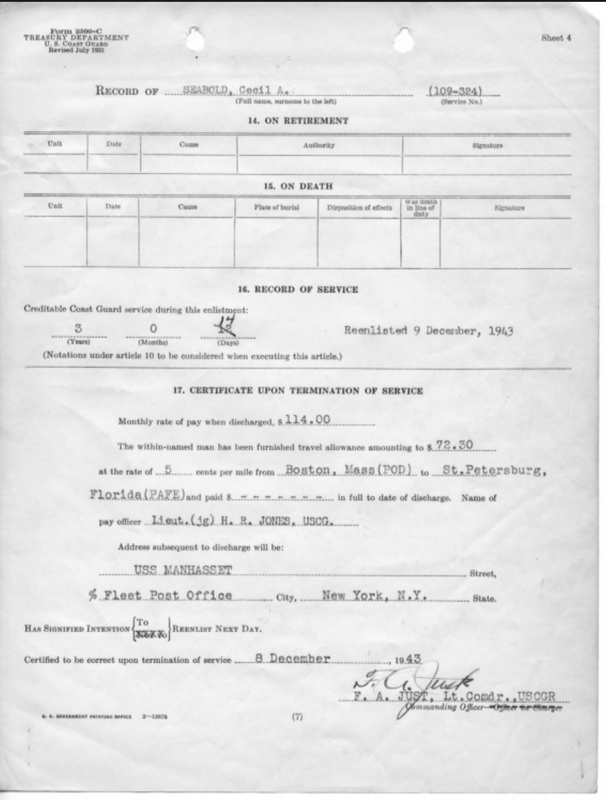 He was then temporarily stationed on the U.S.C.G.C. 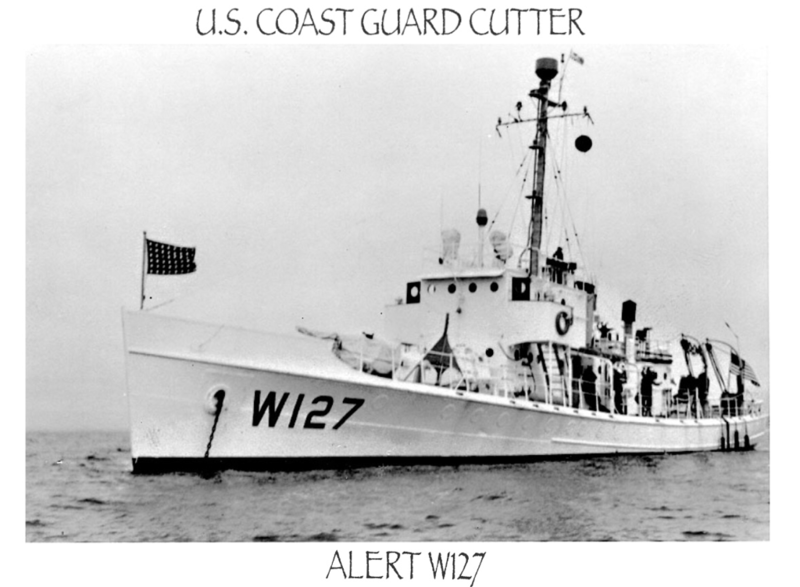 Alert in May 1931. Seabold was transferred to the U.S.C.G.C. 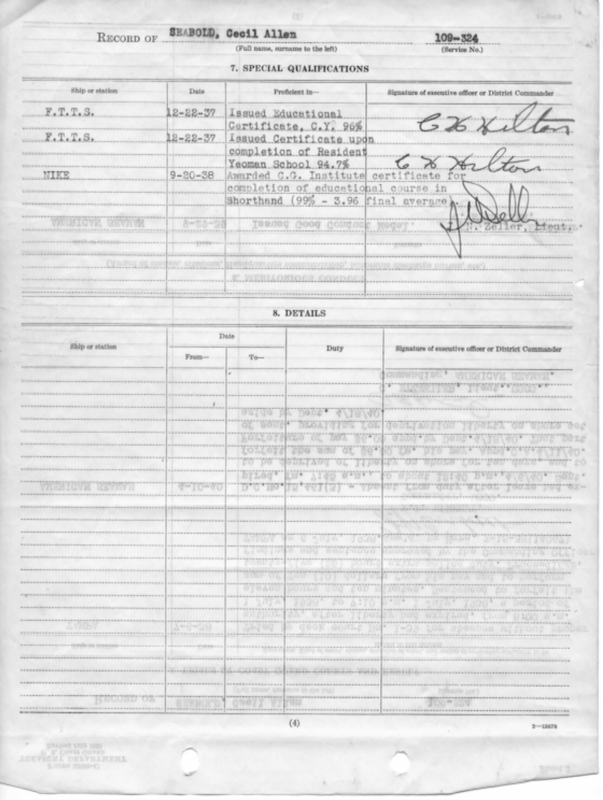 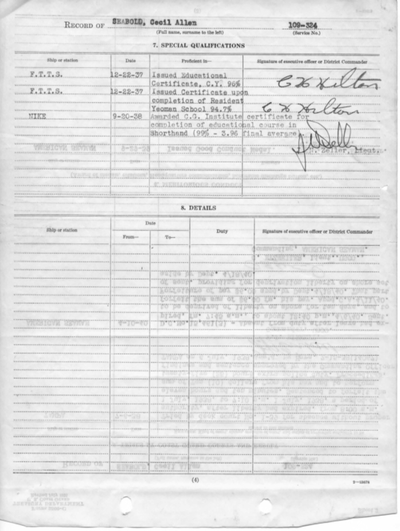 Cygan on May 28th 1931 where he served for a few months until he was discharge on July 20th 1931 & issued his Good Conduct Medal. 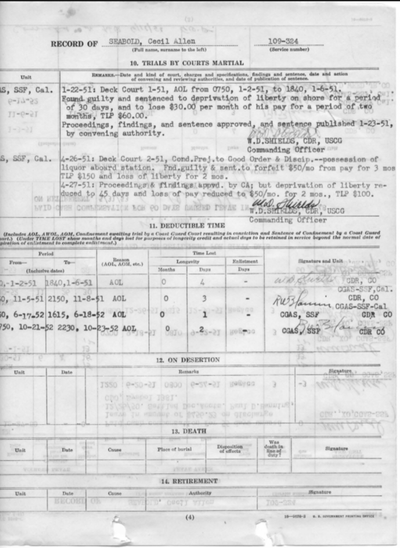 Yeoman Seabold reenlisted July 22nd 1931 at Base 11 & transferred to the U.S.C.G.C. 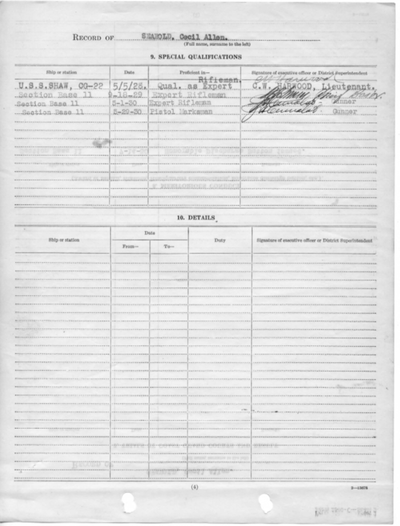 Shoshone Aug. 14th 1931, & he was promoted to S.K.3c on Oct. 13th 1931 & S.K.2c the same day. He served on the U.S.C.G.C. 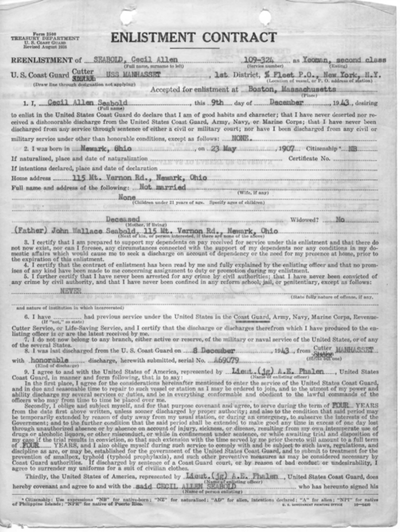 Shoshone for the next 9 months until he was discharged on July 21st & immediately reenlisted aboard the U.S.C.G.C. 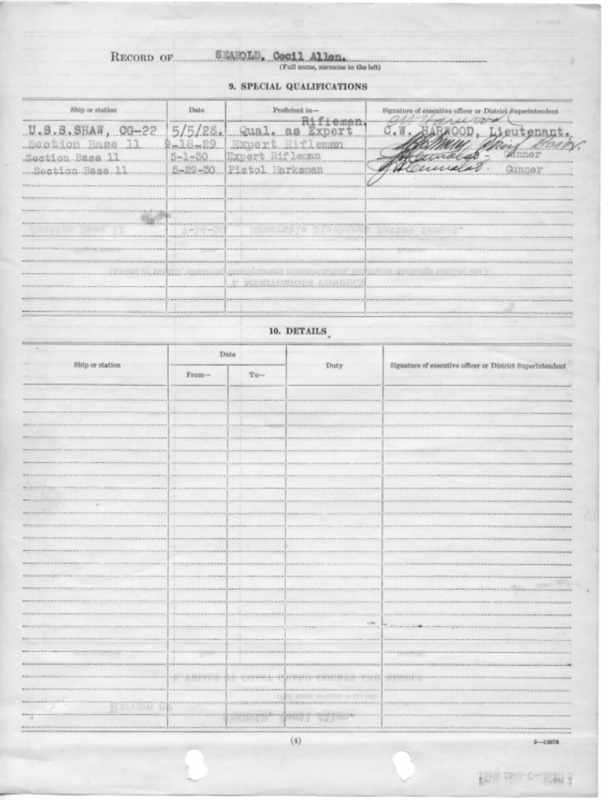 Shoshone on July 22nd 1932 for 2 years. 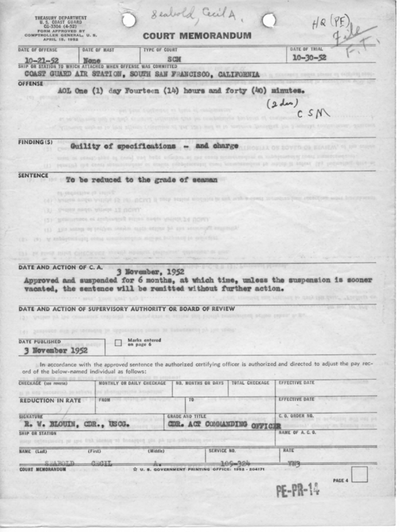 S.K.2c Seabold was transferred to the U.S.C.G.C. 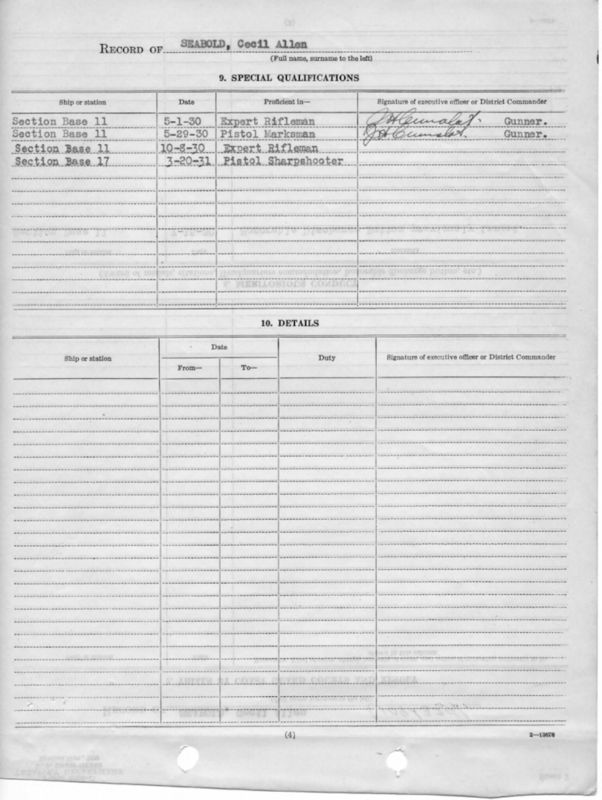 Saranac Feb. 13th 1933. 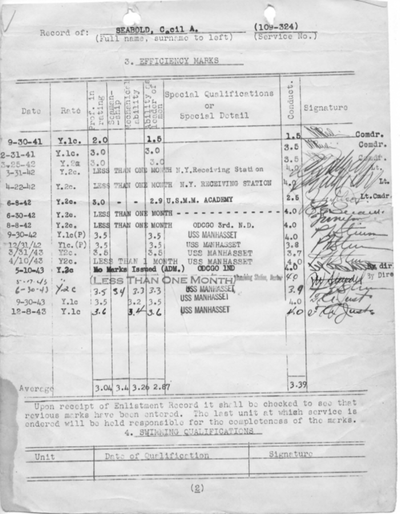 S.K.2c Seabold was awarded a diploma completion course for “Motor boat & Navigation Coast Guard Institute” on March 14th 1933 & qualified as a Expert Rifleman & was Issued his Expert Rifleman Medal May 18th 1933. 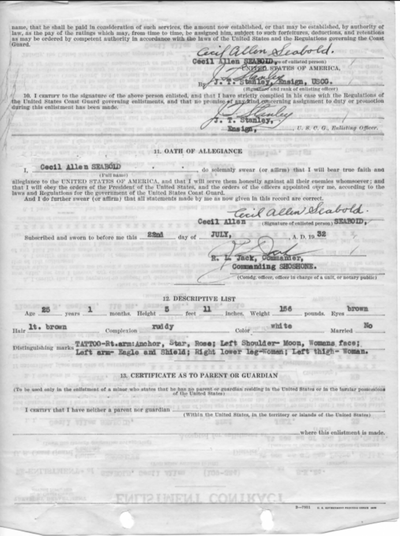 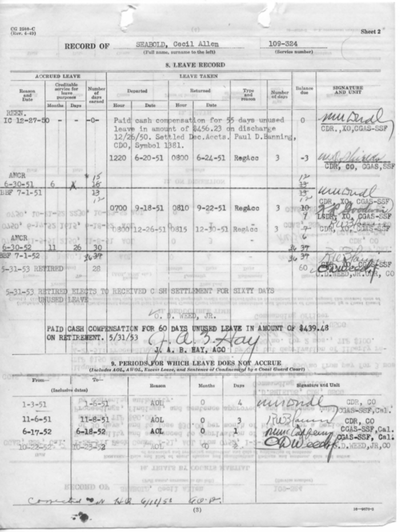 Seabold was discharged Sept. 21st 1934 while his vessel was at sea & he immediately reenlisted the next day Sept. 22nd for 3 years. 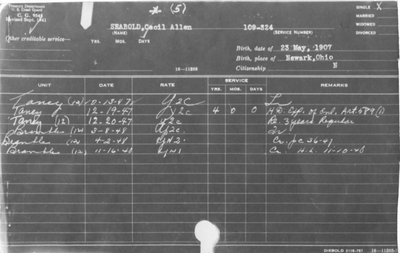 Seabold was promoted to Yeoman 2nd Class on Oct. 16th 1934. 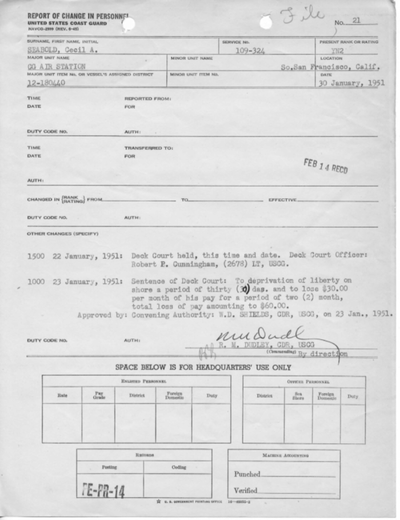 He served on the U.S.C.G.C. 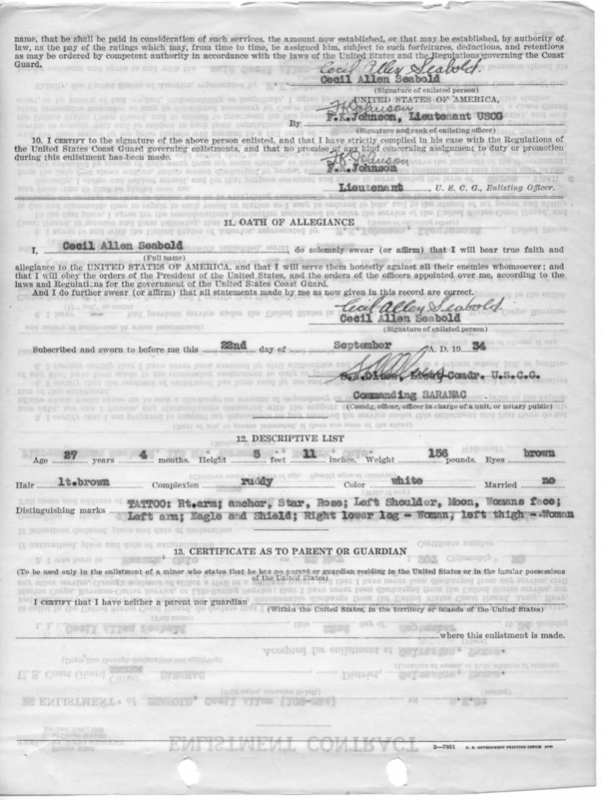 Saranac until Feb. 10th 1935. 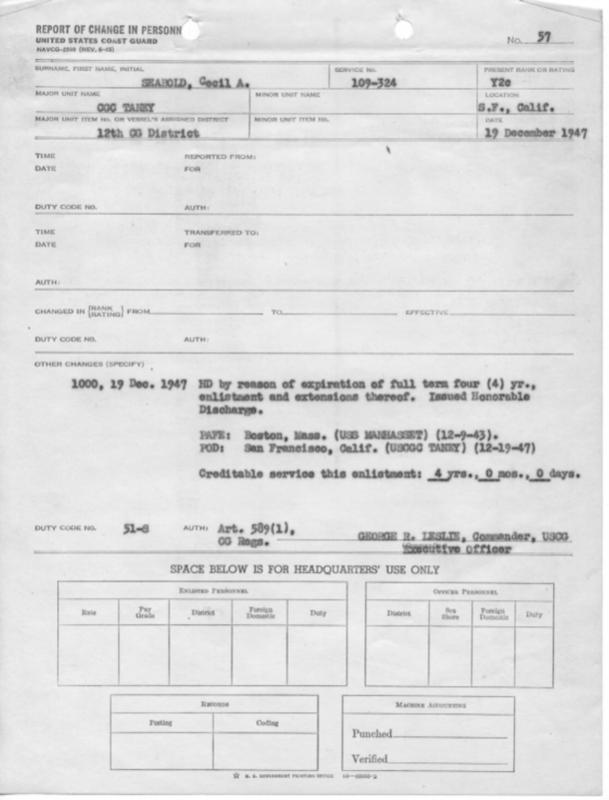 ​​​Y2c Seabold transferred to the U.S.C.G.C. 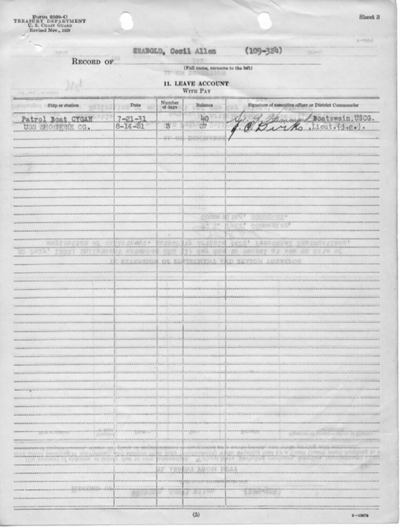 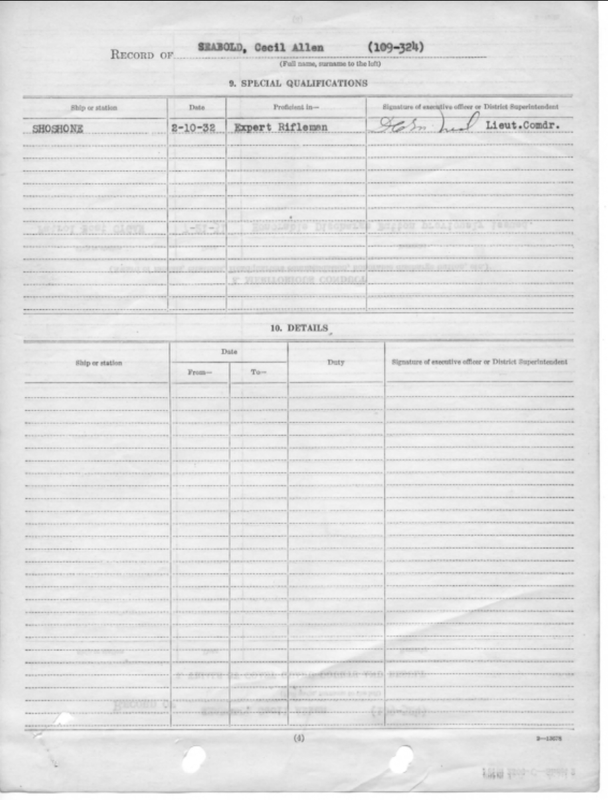 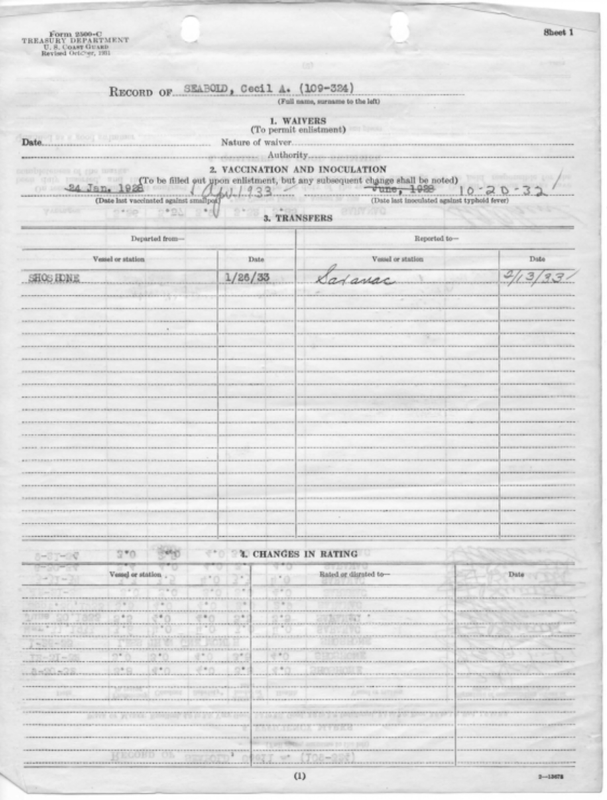 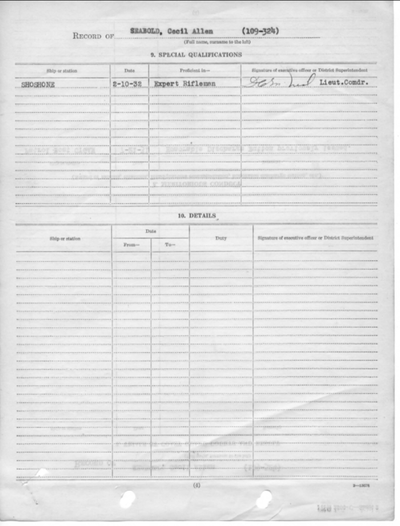 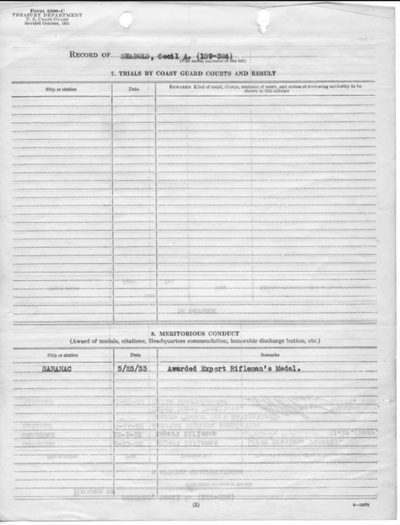 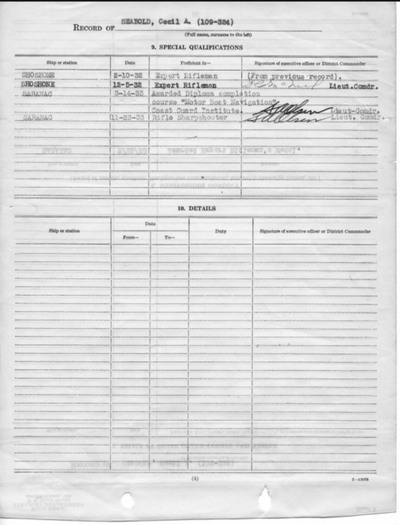 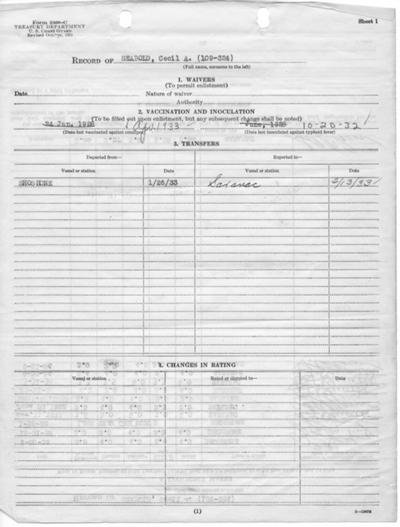 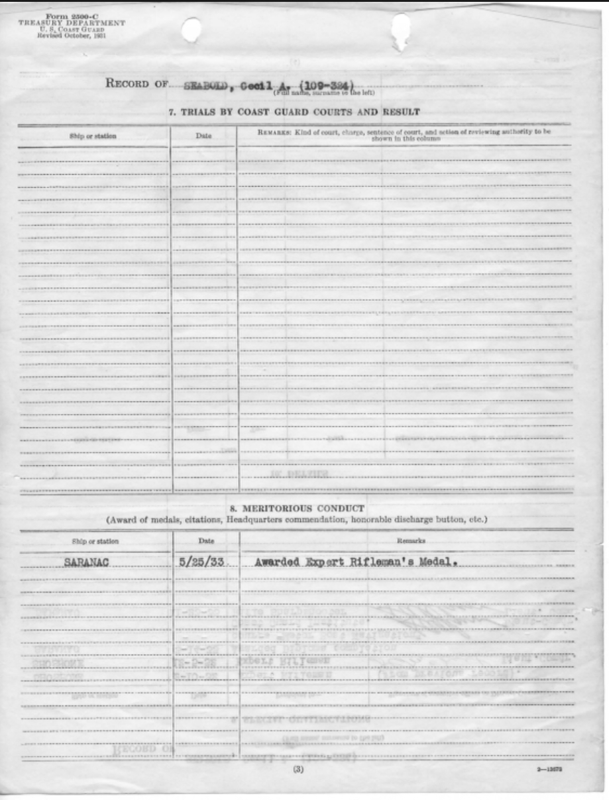 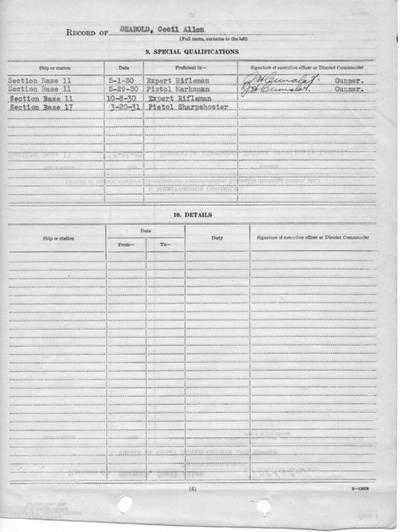 Active on March 31st 1935 where he served for the next 6 months until Sept. 27th 1935. 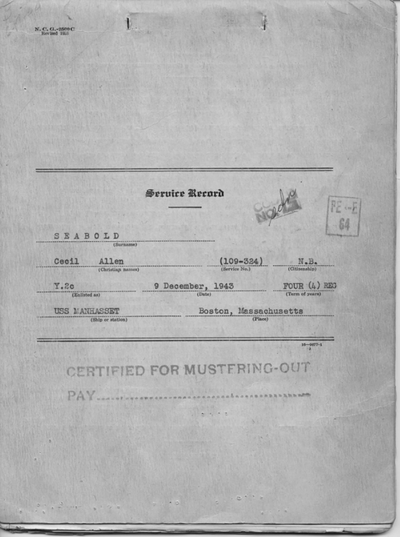 ​He was then temporarily served on the U.S.C.G.C. 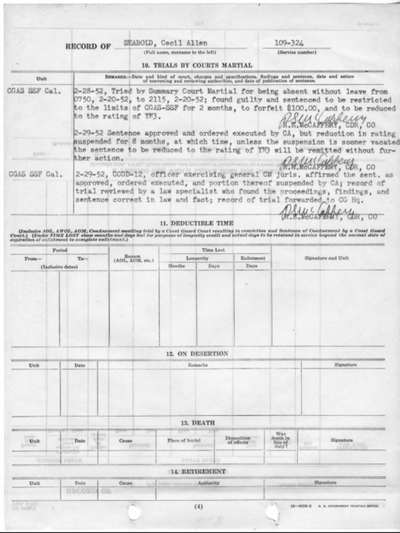 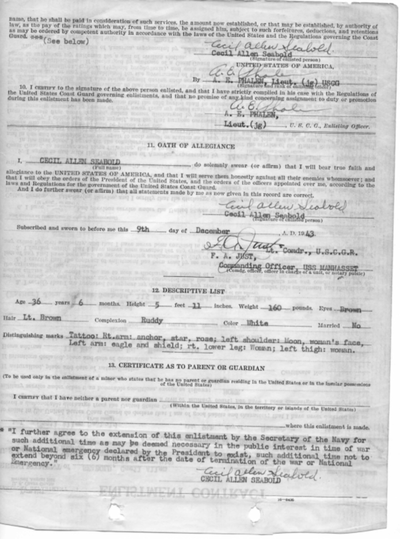 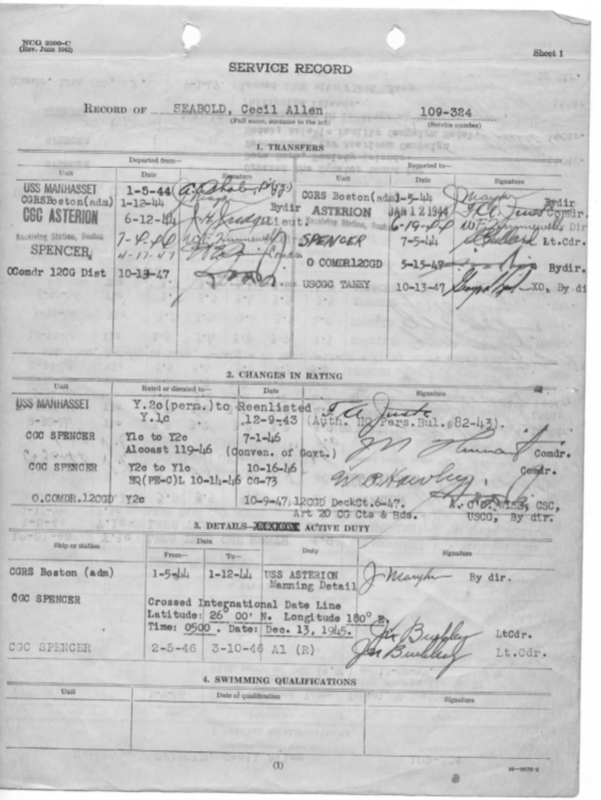 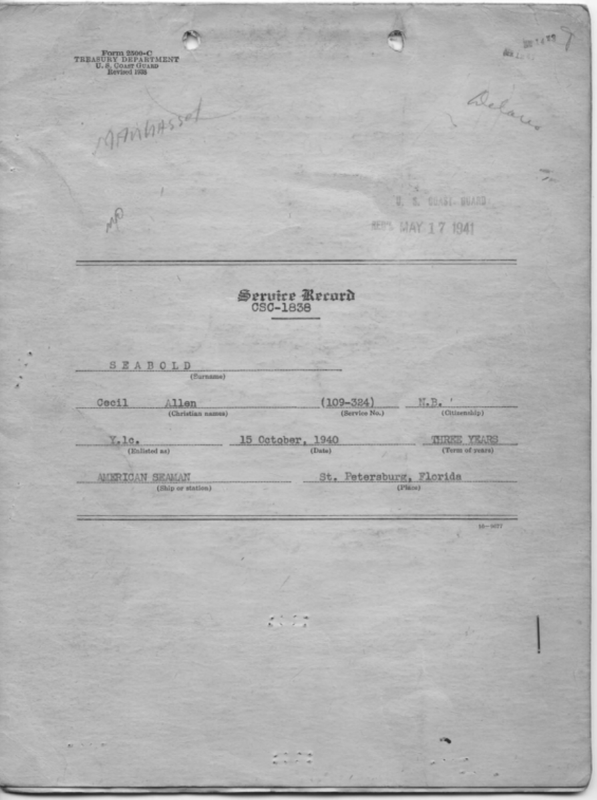 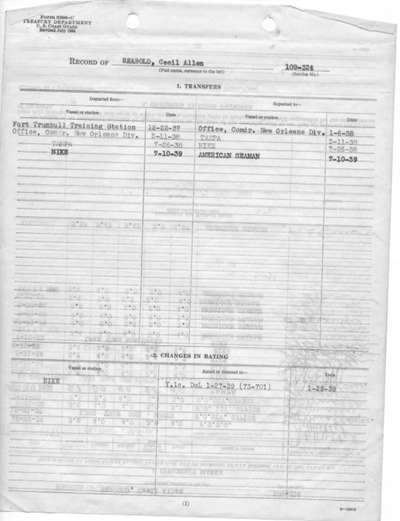 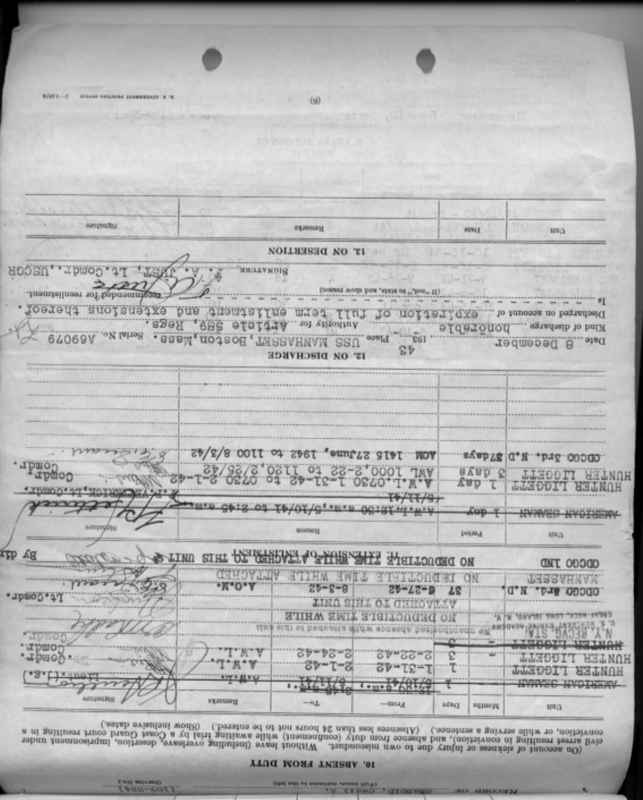 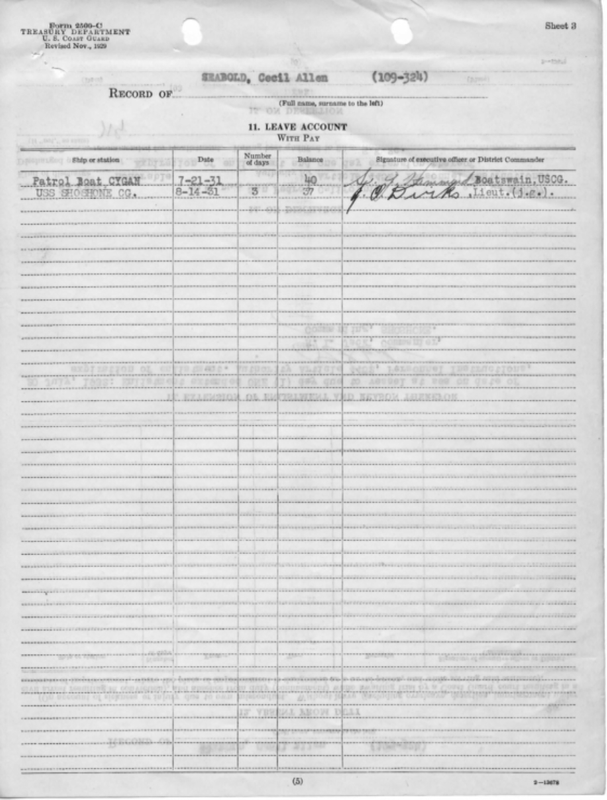 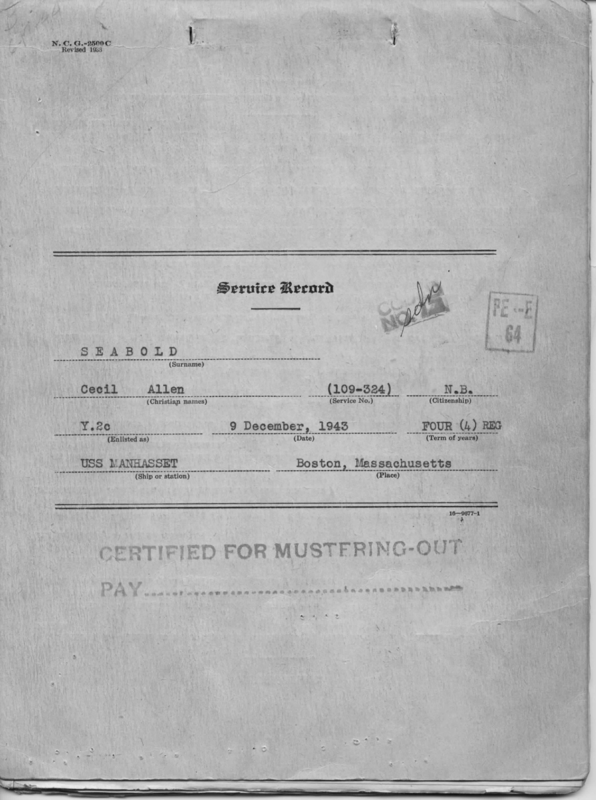 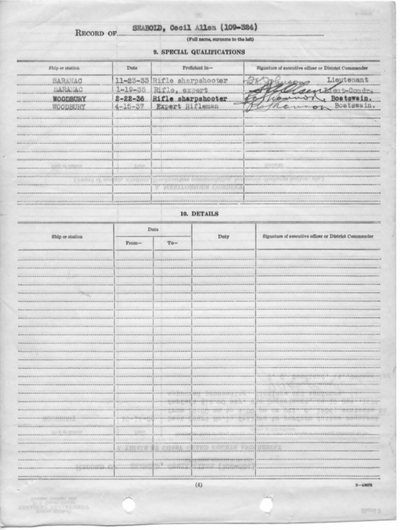 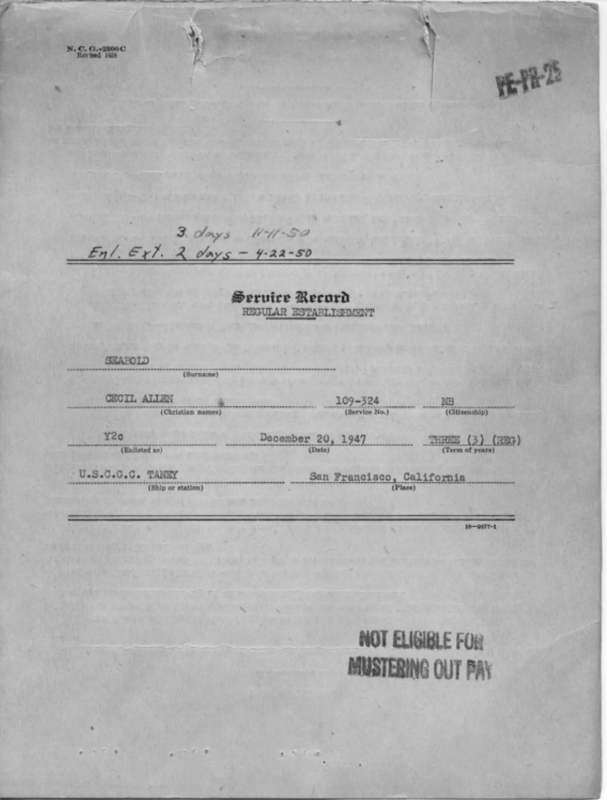 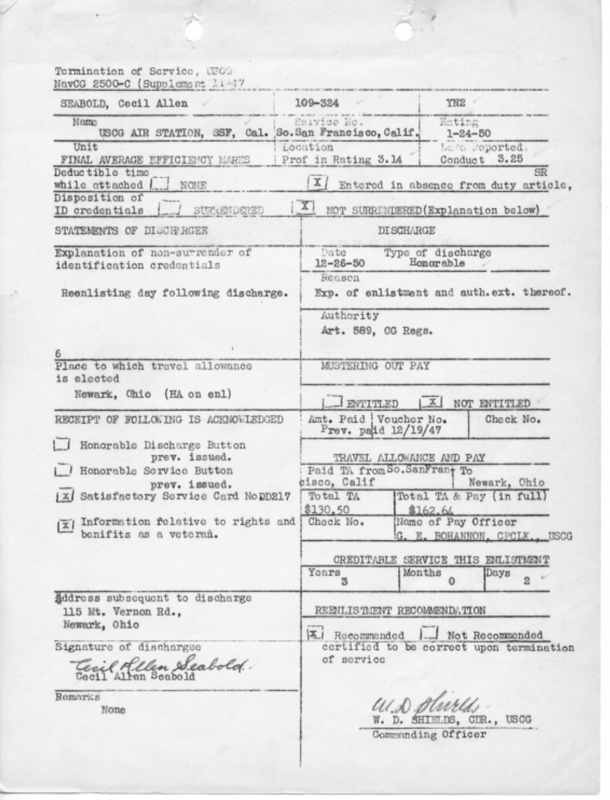 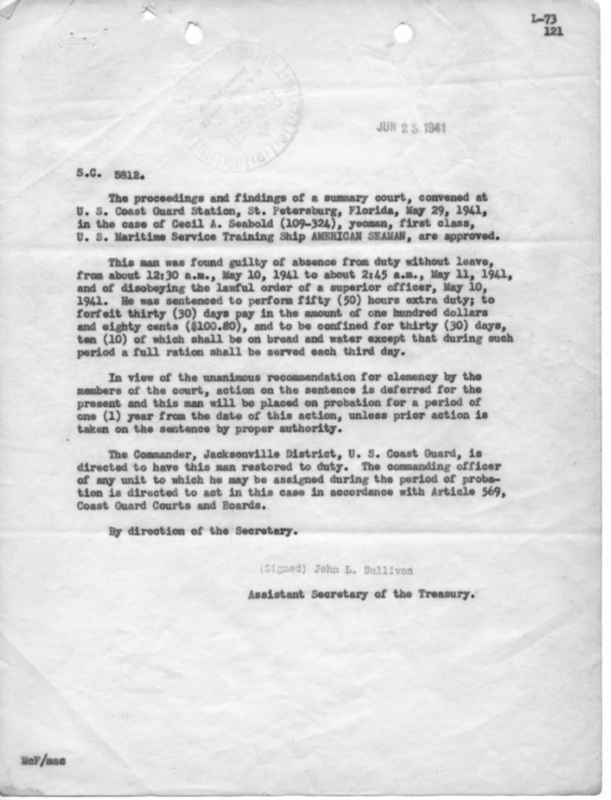 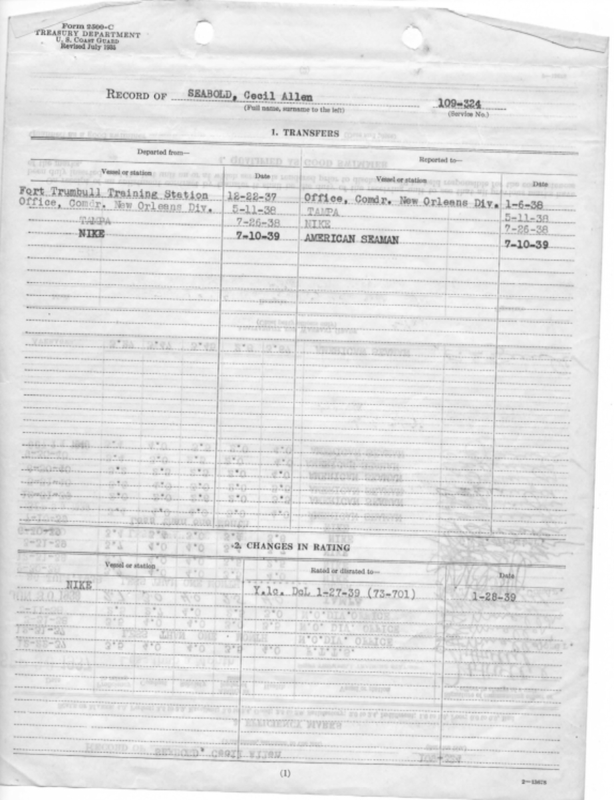 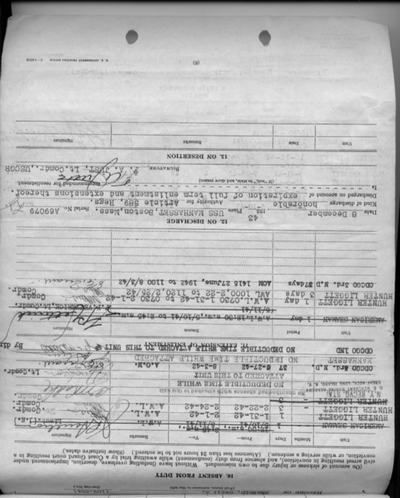 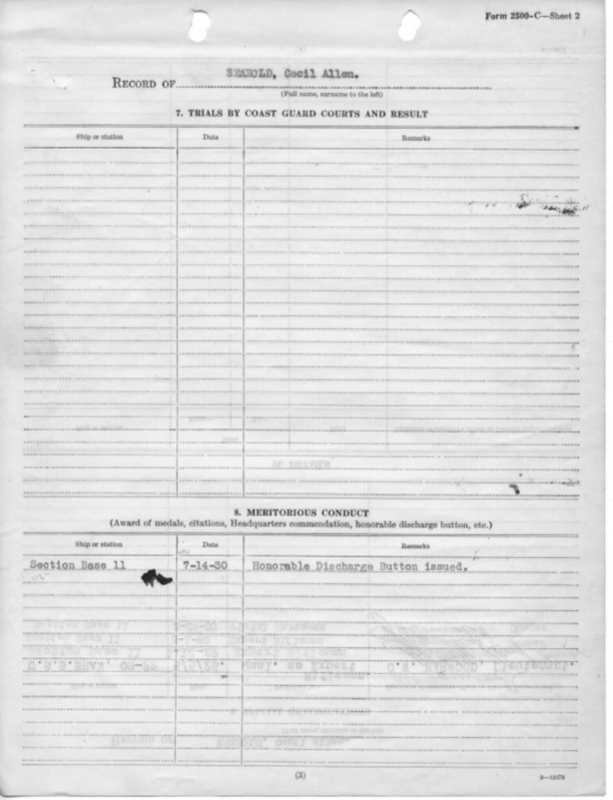 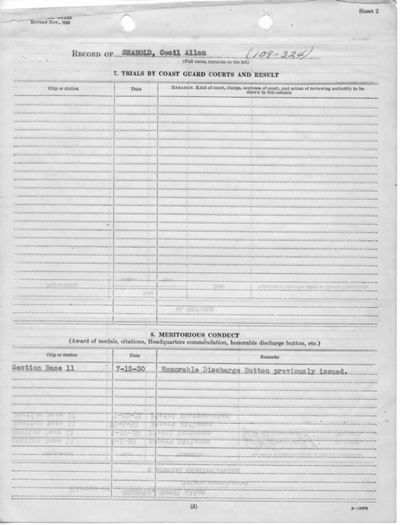 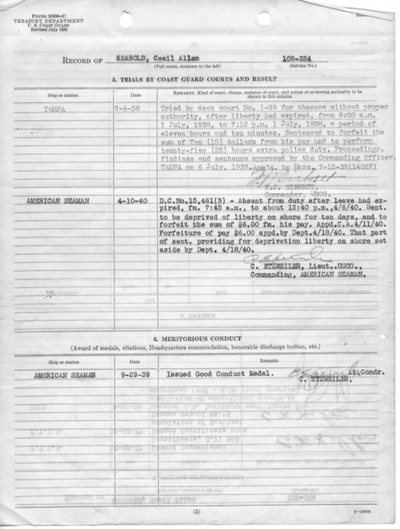 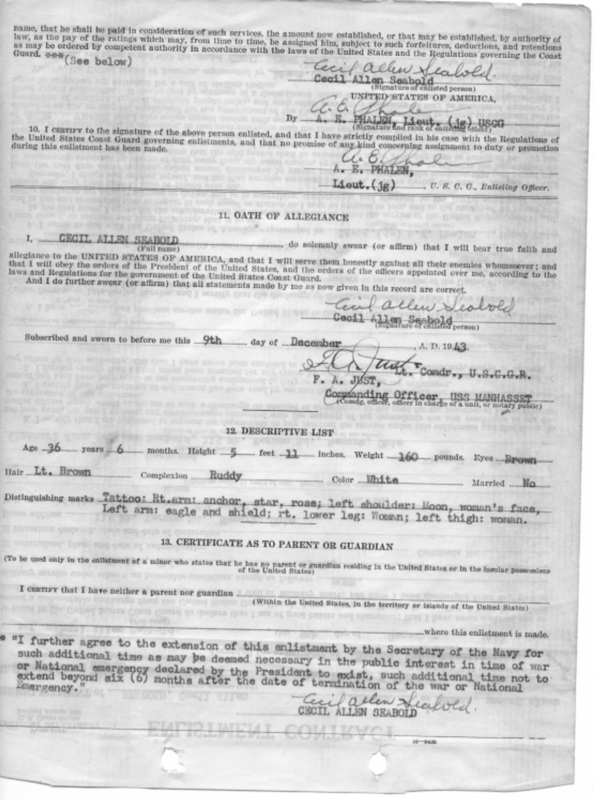 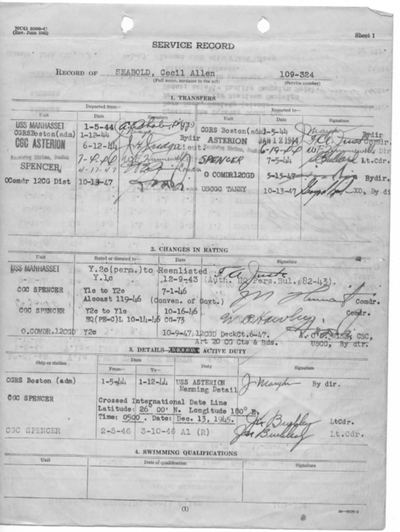 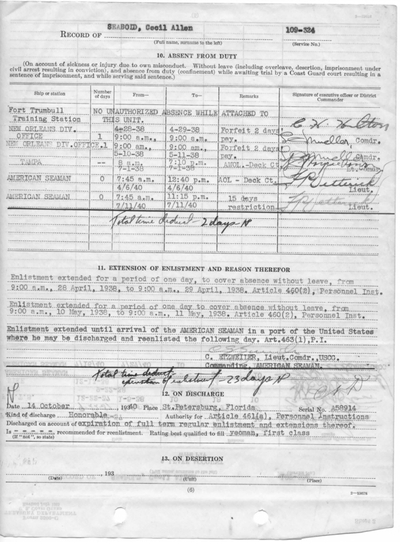 Dix from Sept 30th to Oct. 8th 1935 until he was transferred to the U.S.C.G.C. 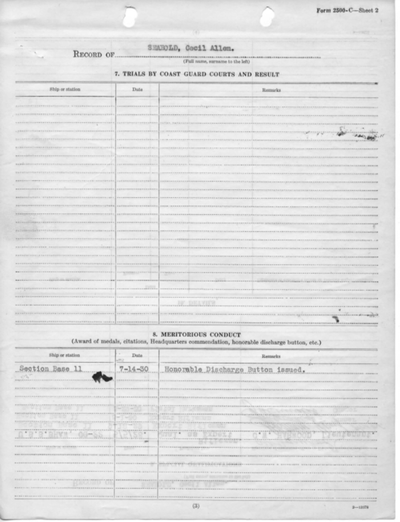 Woodbury on Oct. 8th 1935. 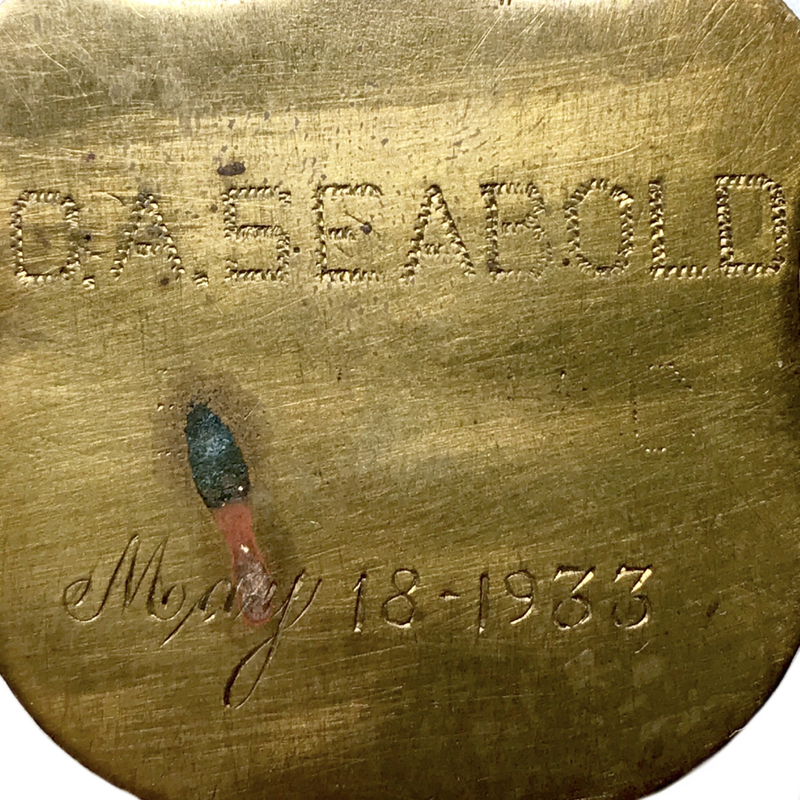 Seabold remained on this Cutter for the next year & a half until June 20th 1937. 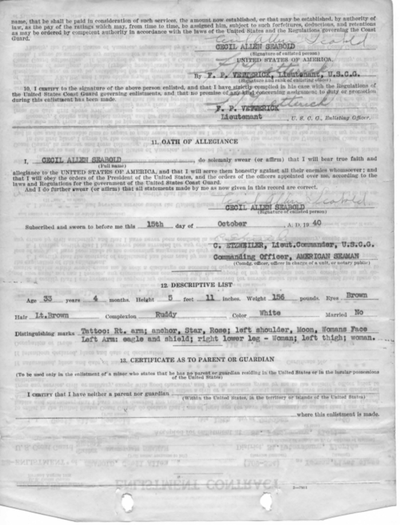 He was transferred to Yeoman School June 23rd 1937 & graduated Sept 21st 1937. 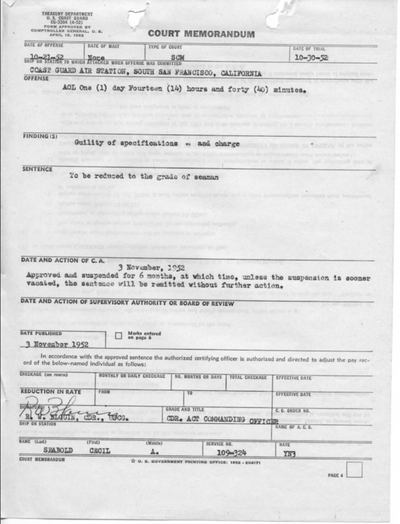 On Sept. 22nd Yeoman Seabold reenlisted for a 3 year term. He was issued Educational certificate, Chief Yeoman with a 96% score, & issued Certificate upon completion of Resident Yeoman School with a score of 94.7%. 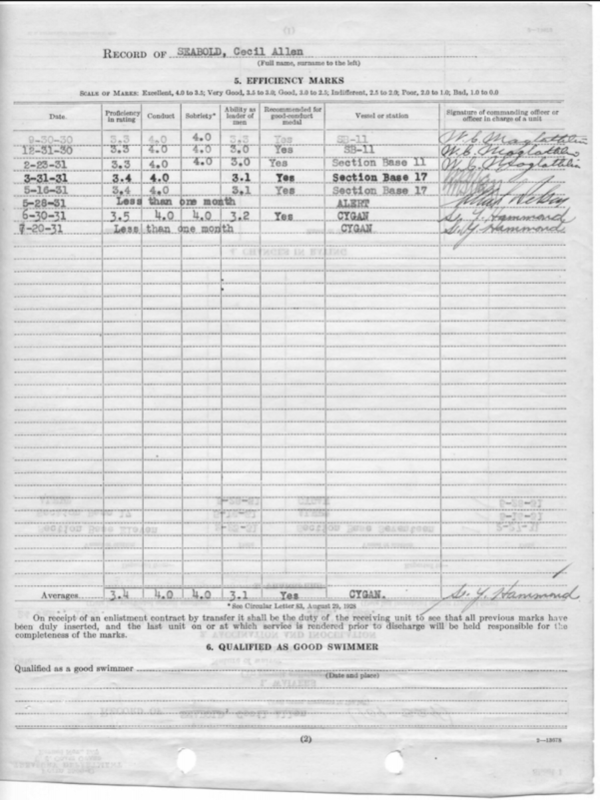 Yeoman 2nd Class Seabold was temporarily stationed at the Coast Guard Base New Orleans Division from Sept. 1937 to Jan. 6th 1937. 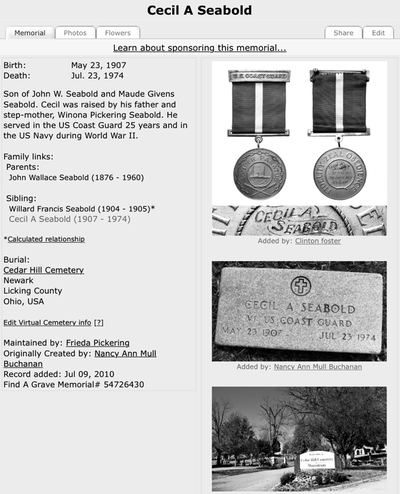 On May 11th 1938 Seabold was transferred to the U.S.C.G.C. 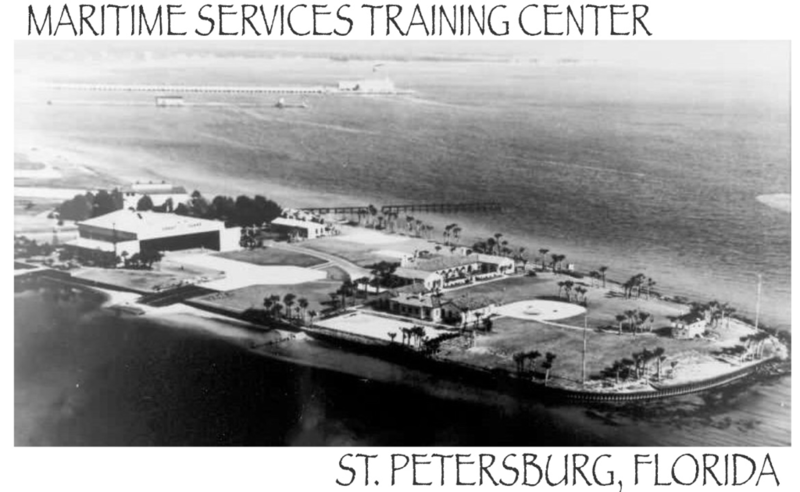 Tampa where he served for a few months until he was transferred to the U.S.C.G.C. Nike on July 26th 1938. 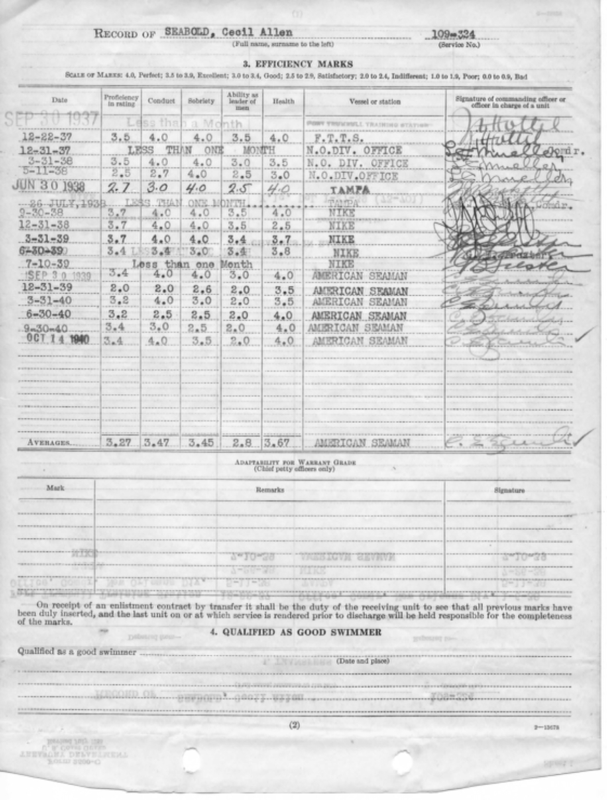 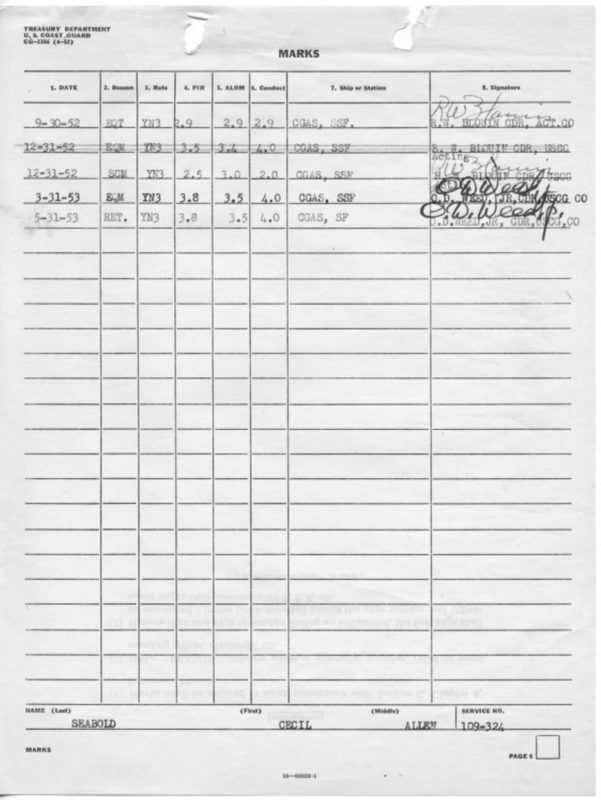 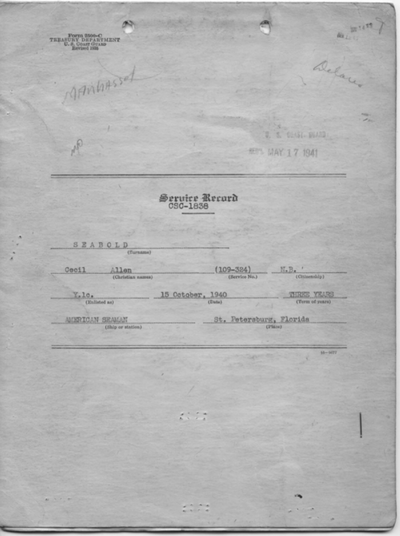 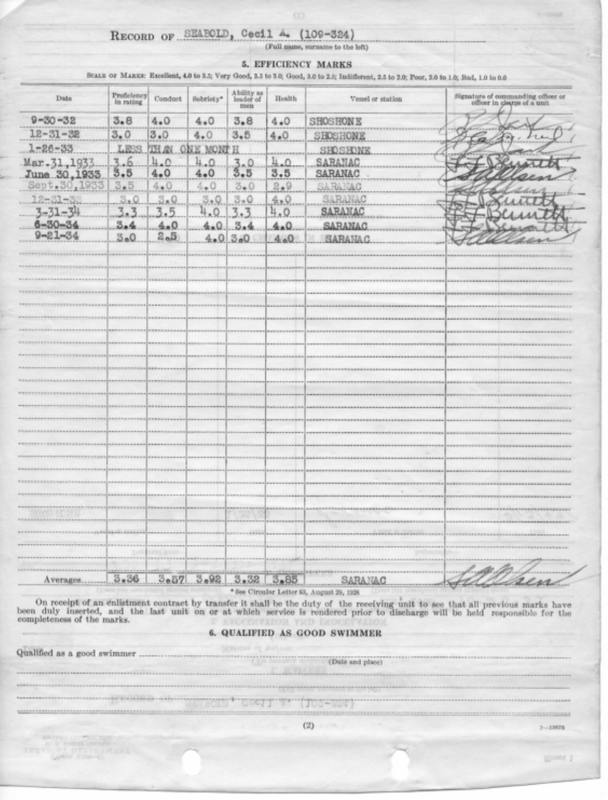 Seabold was issued the Coast Guard Institute Certificate for completion of educational course in shorthand with a score of 99% on Sept. 20th 1938. He served on the U.S.C.G.C. 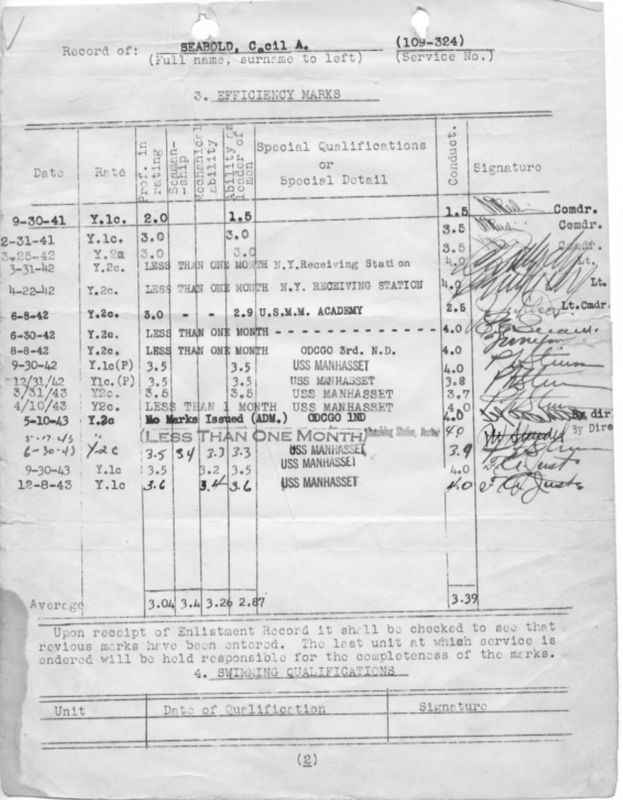 Nike until Jan. 28th 1939 when he was promoted to Yeoman 1st Class & transferred. 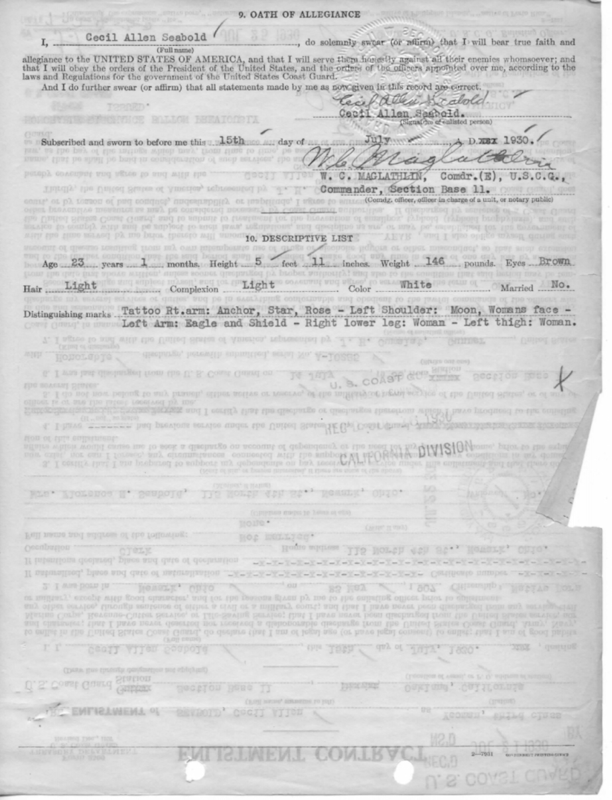 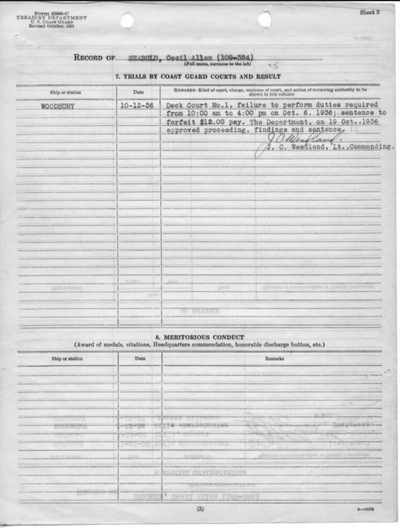 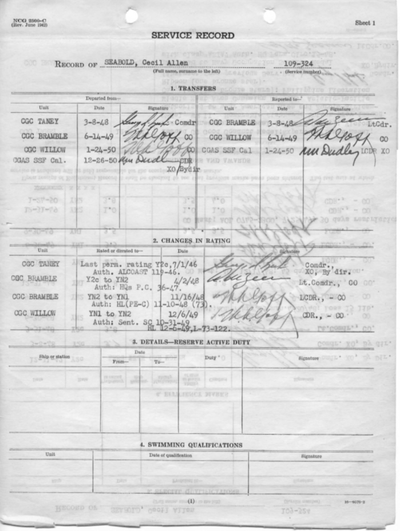 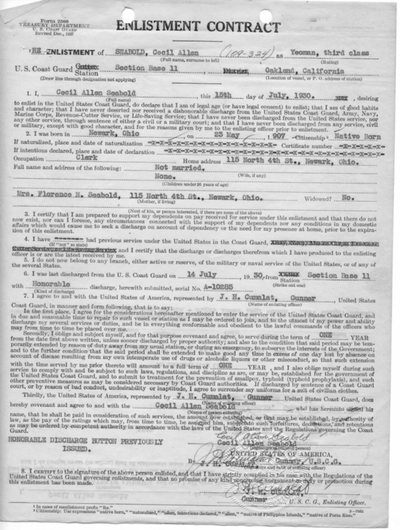 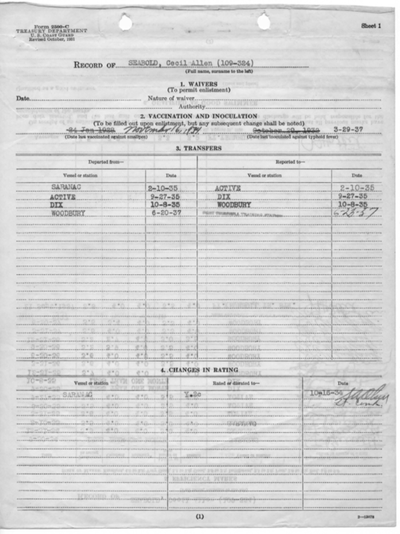 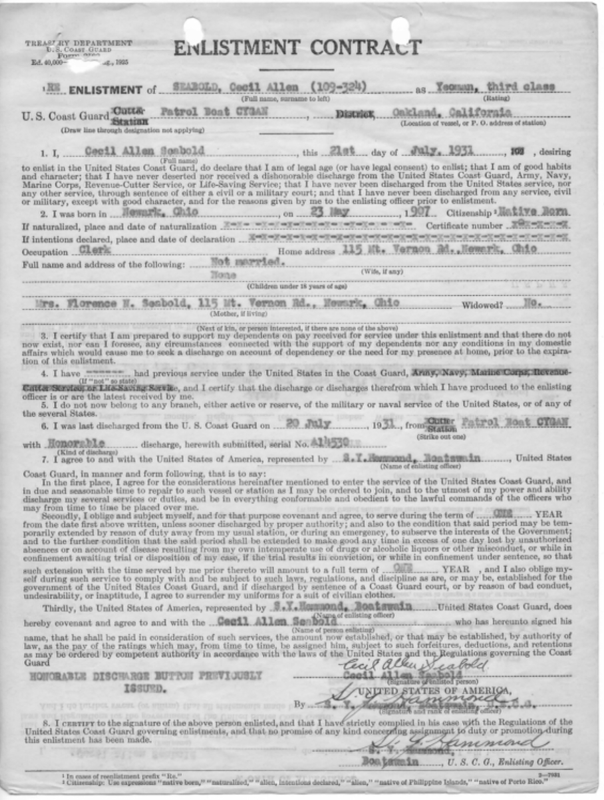 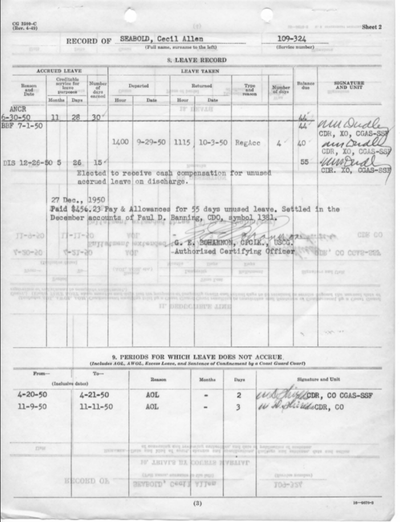 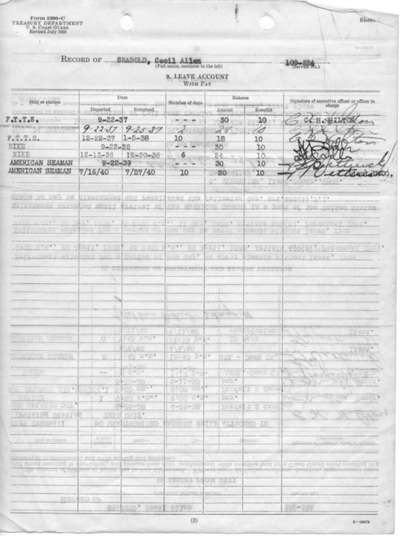 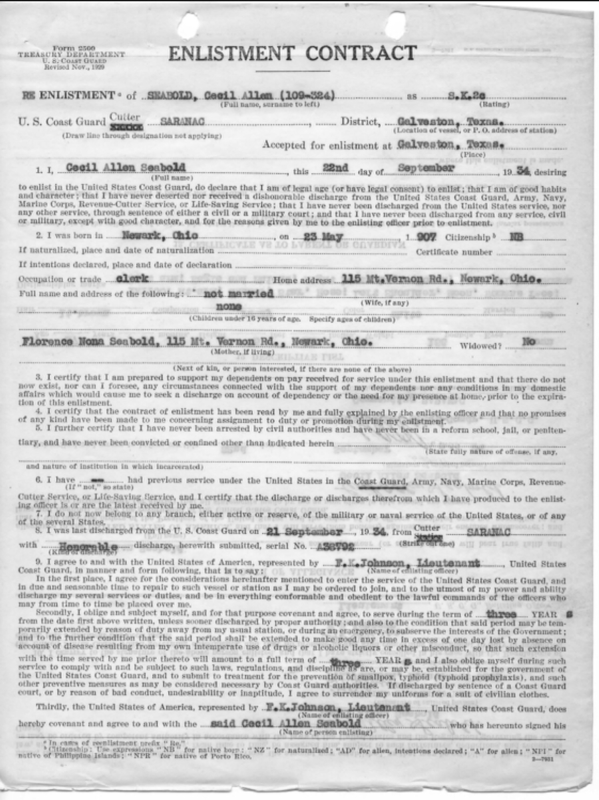 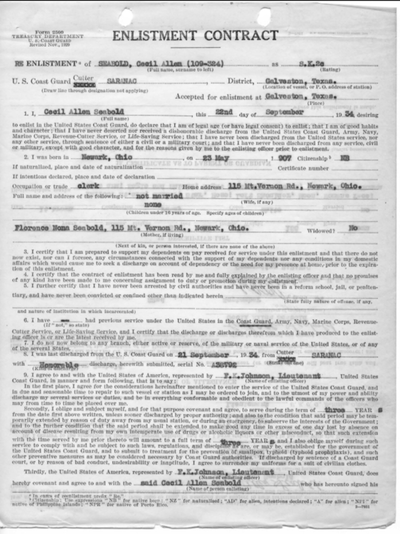 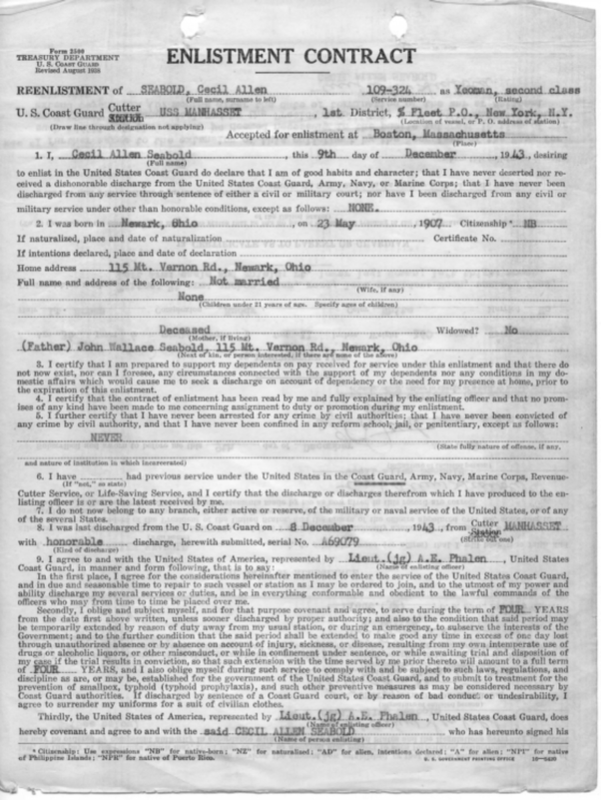 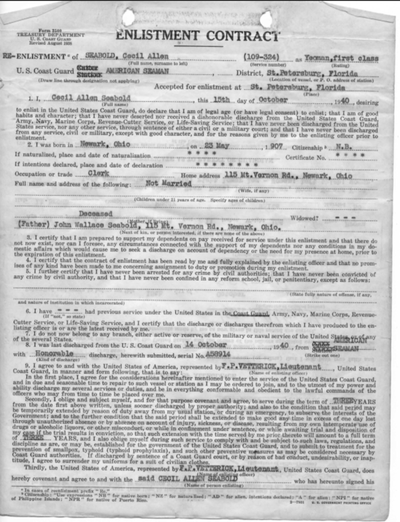 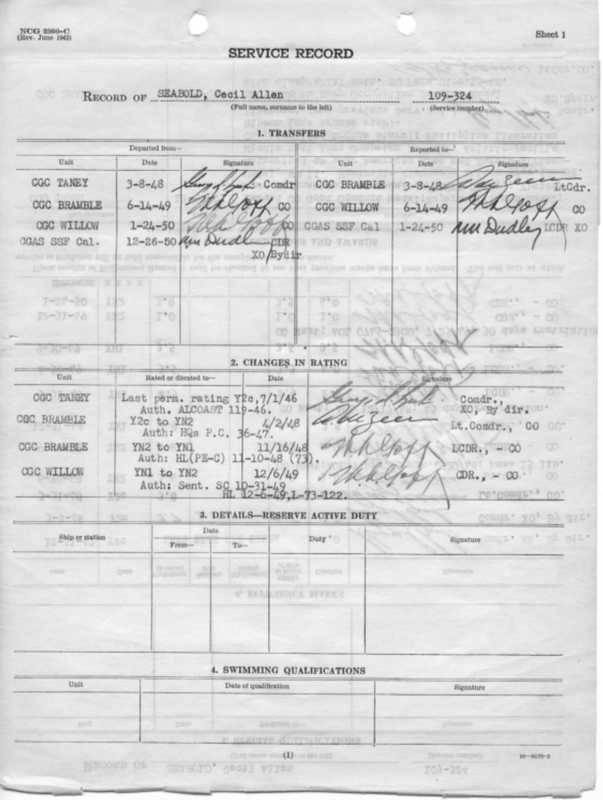 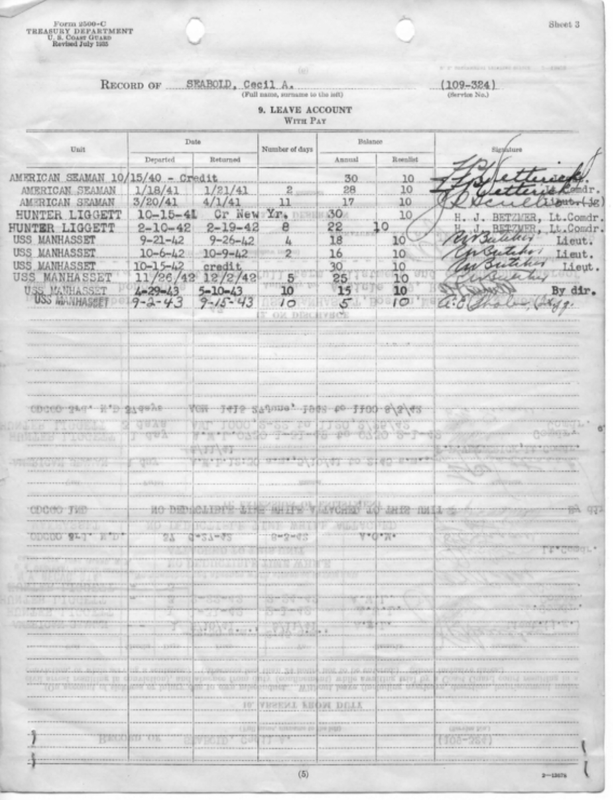 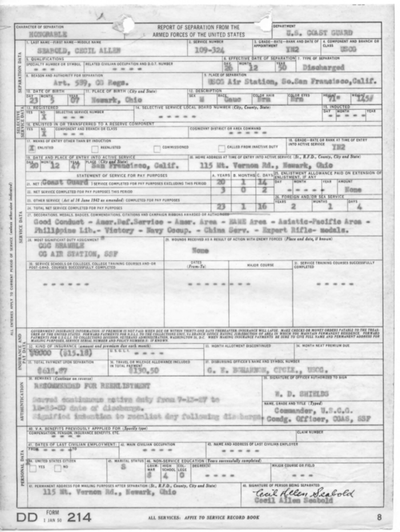 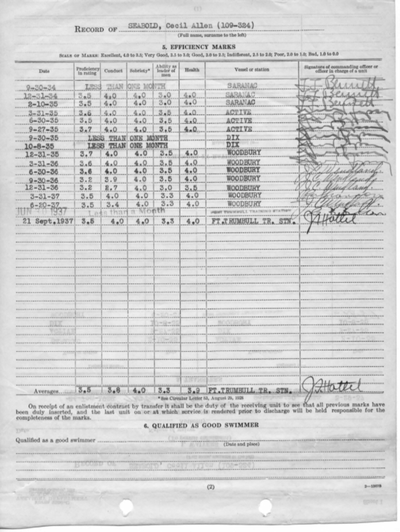 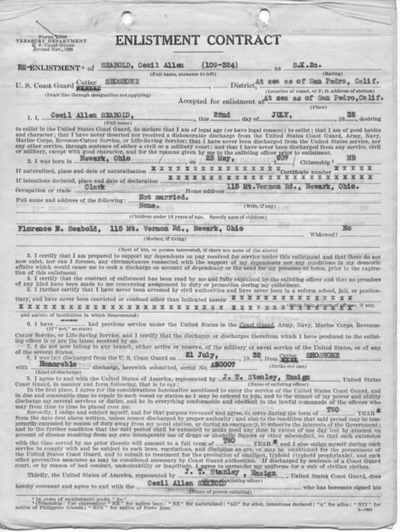 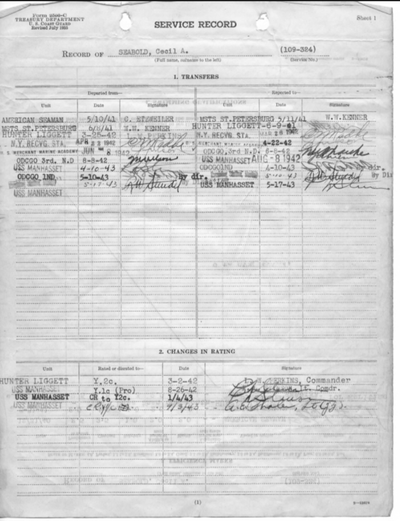 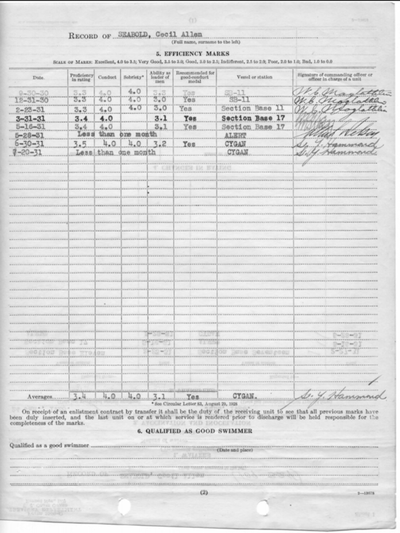 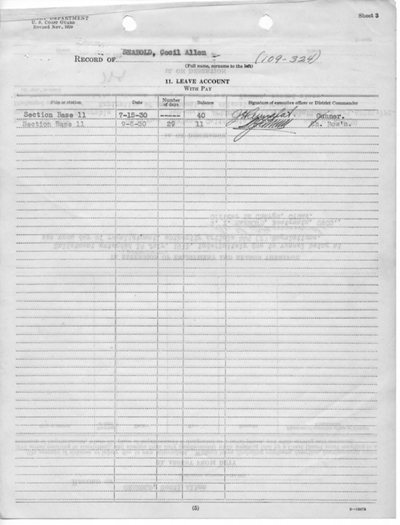 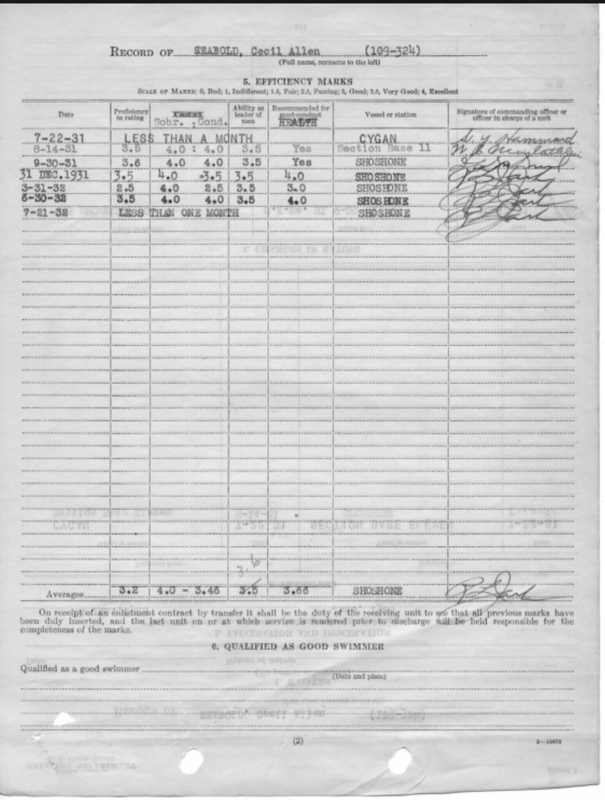 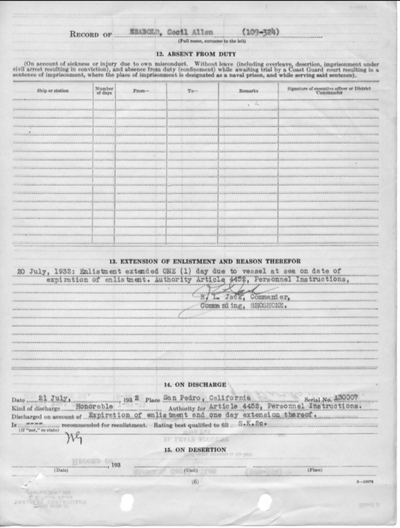 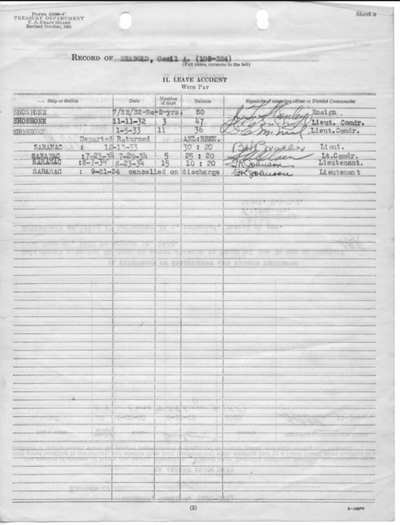 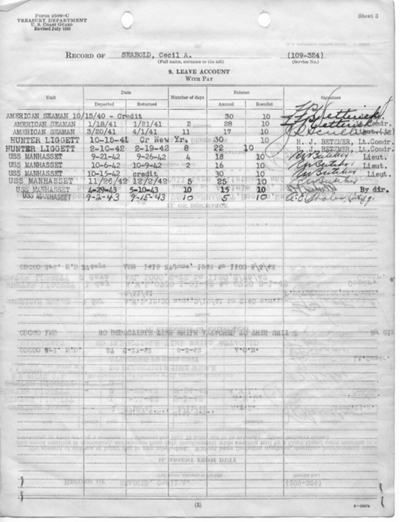 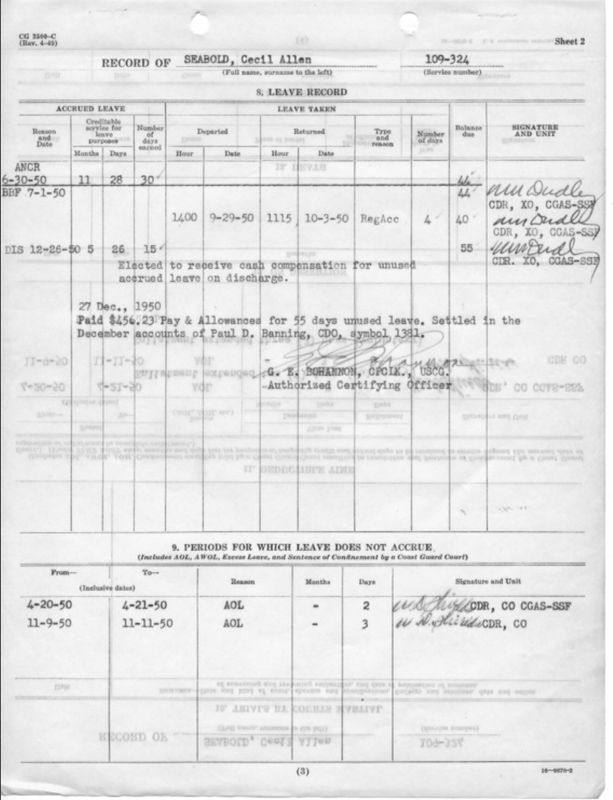 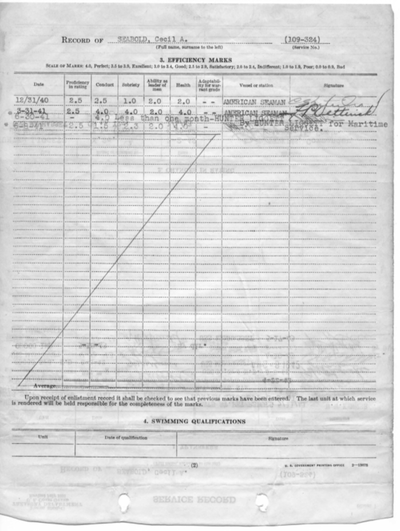 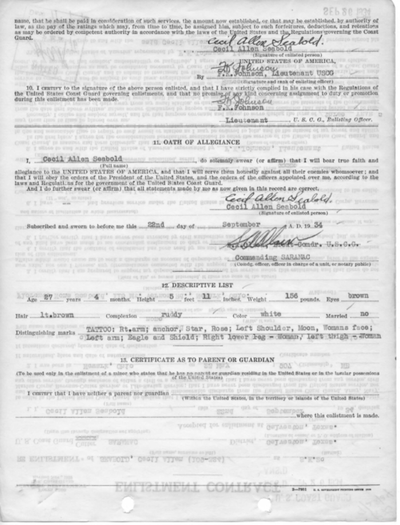 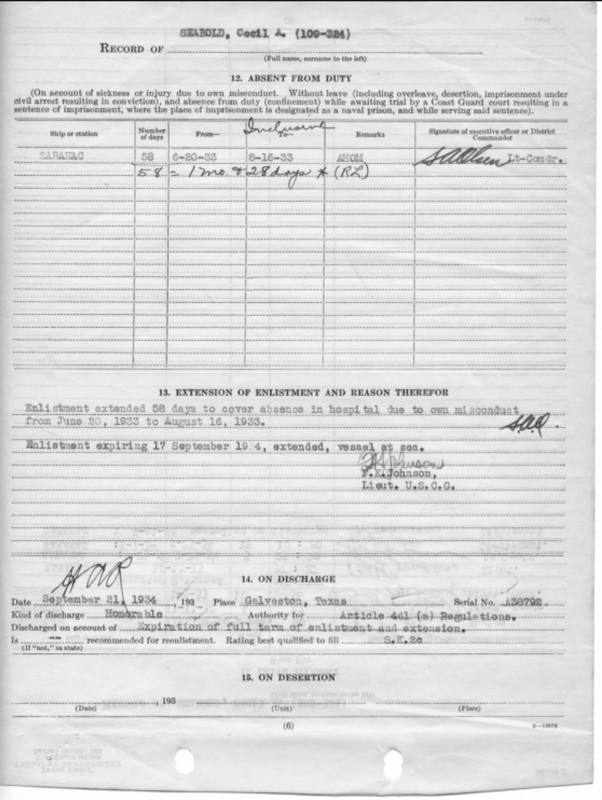 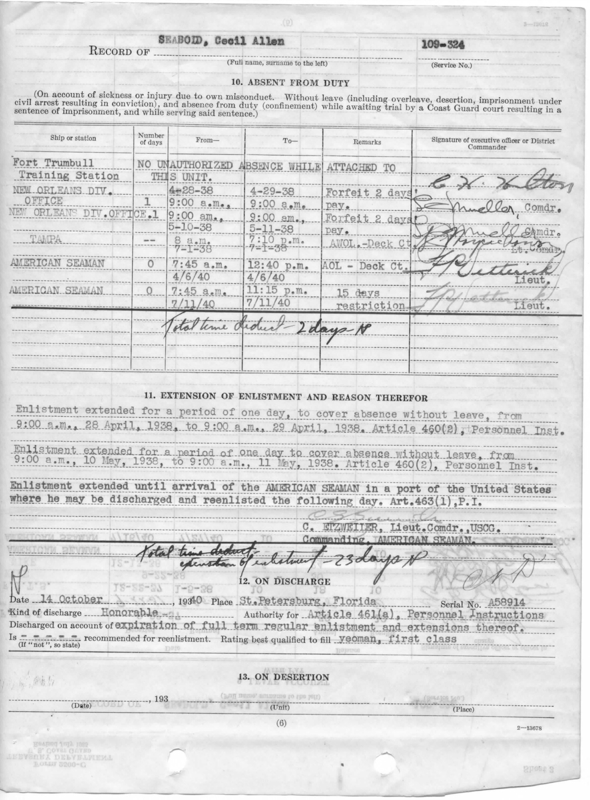 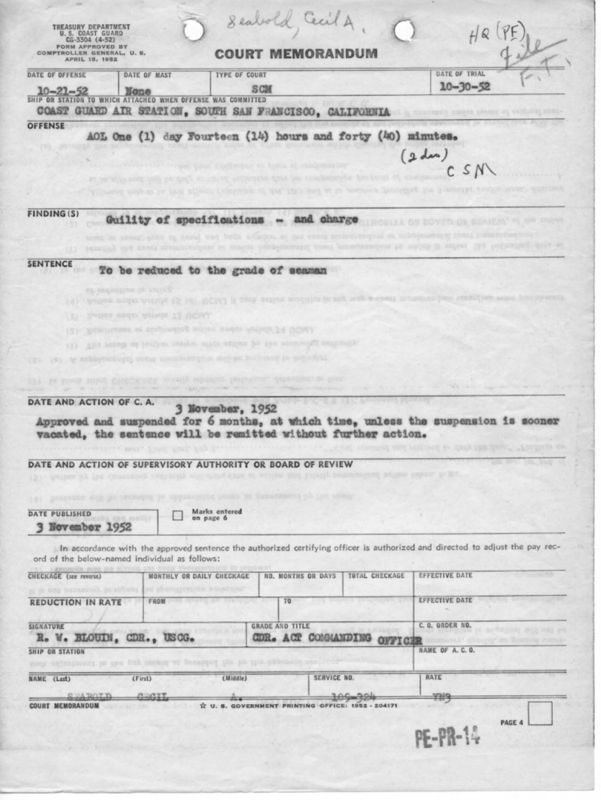 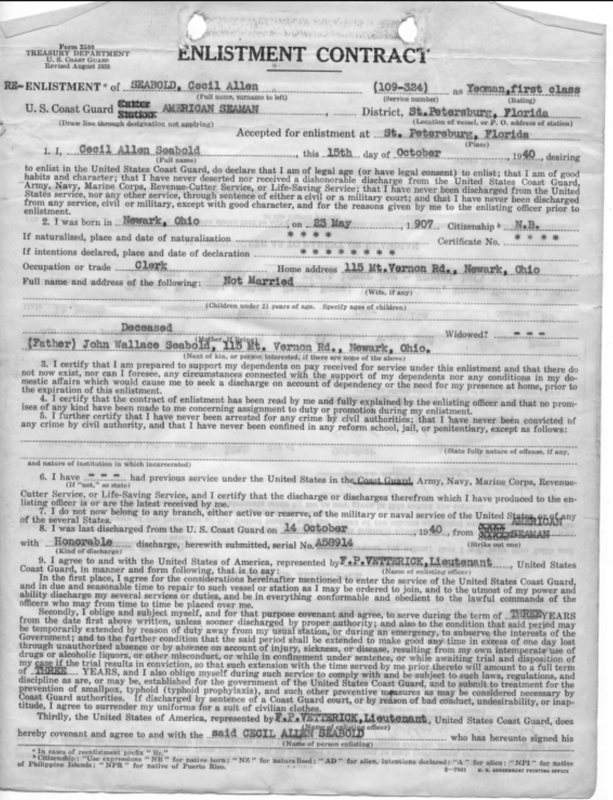 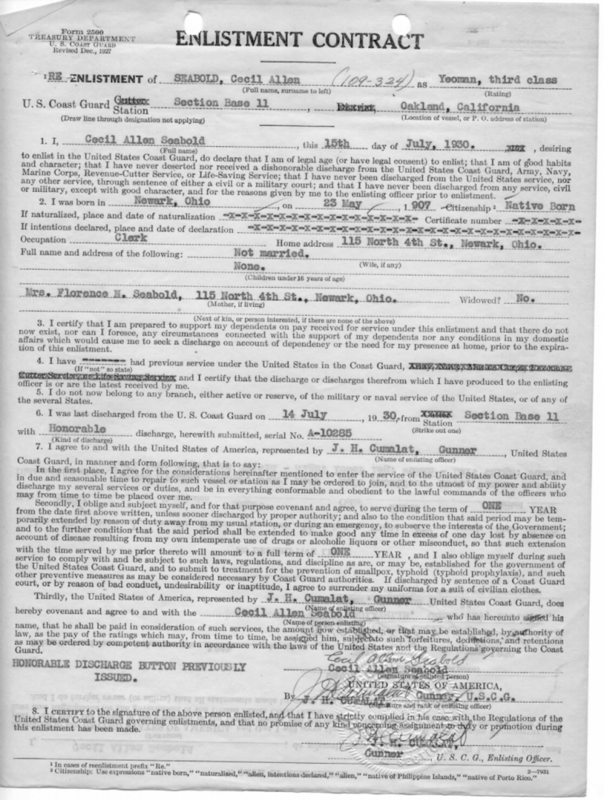 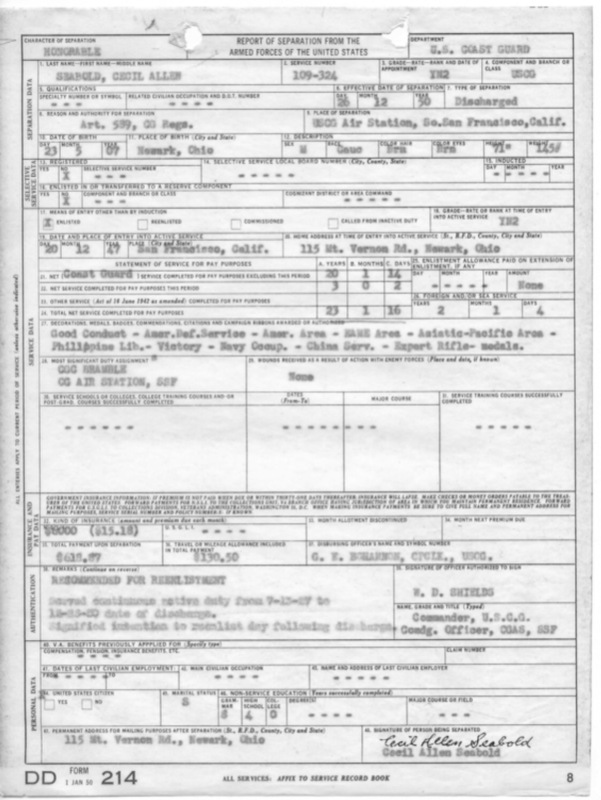 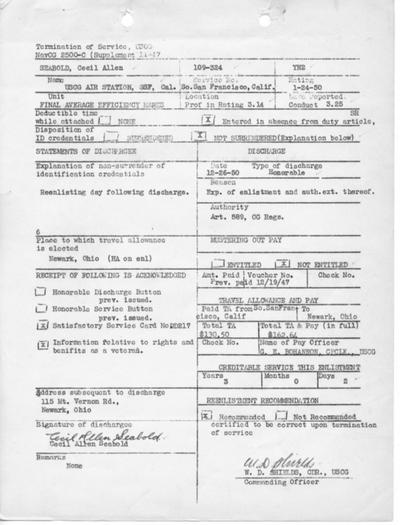 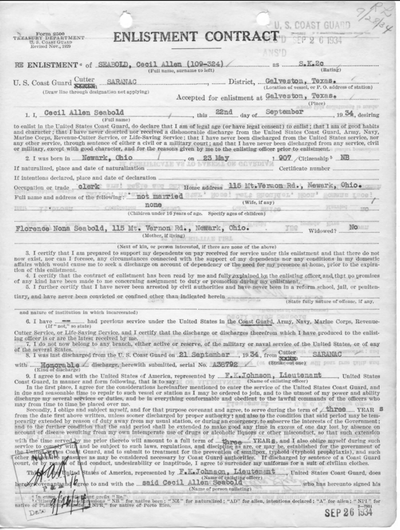 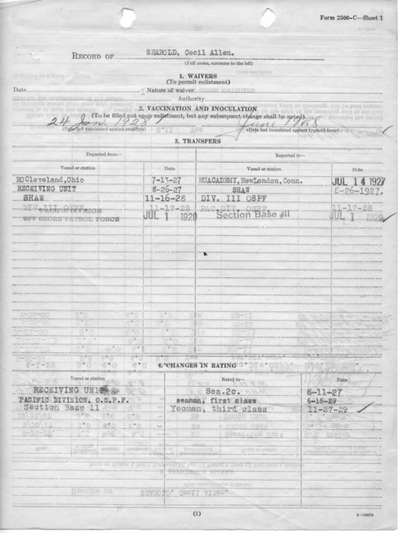 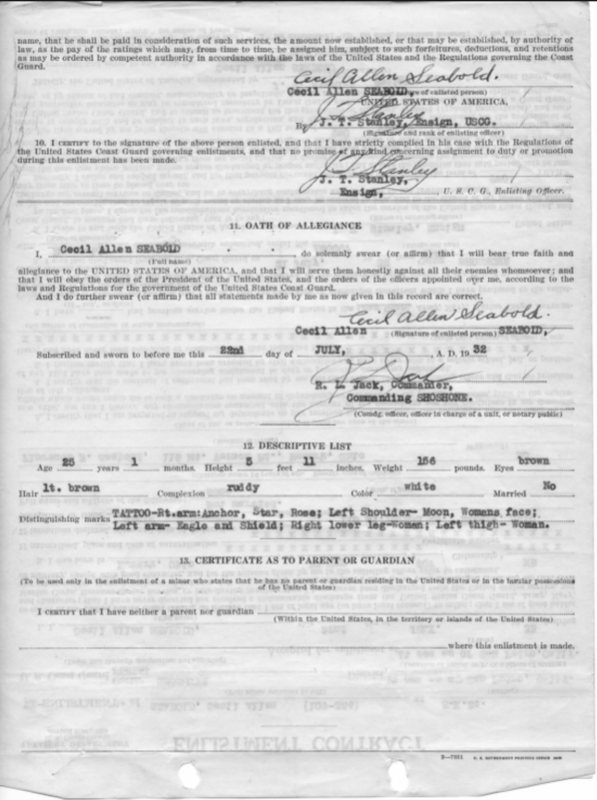 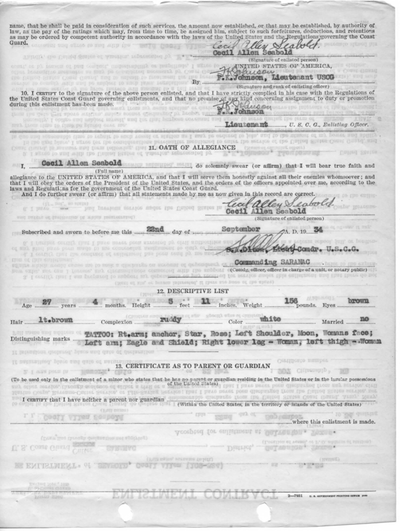 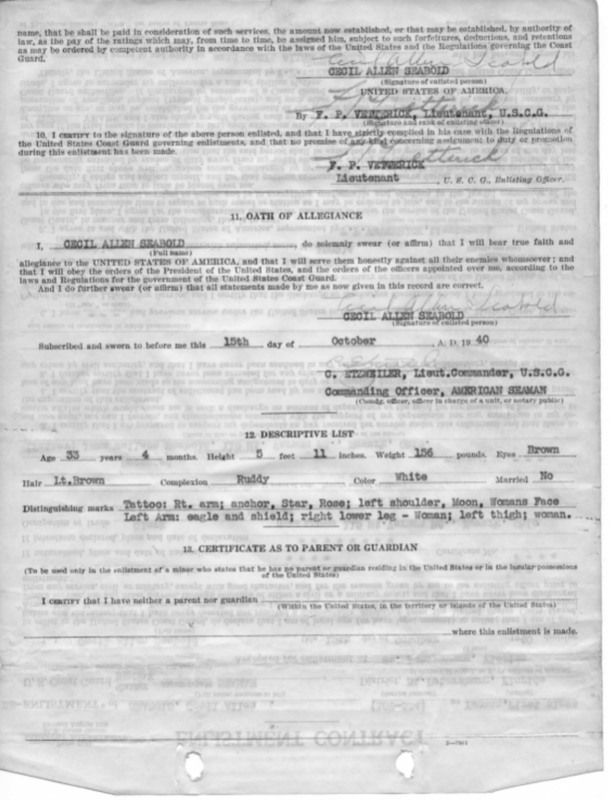 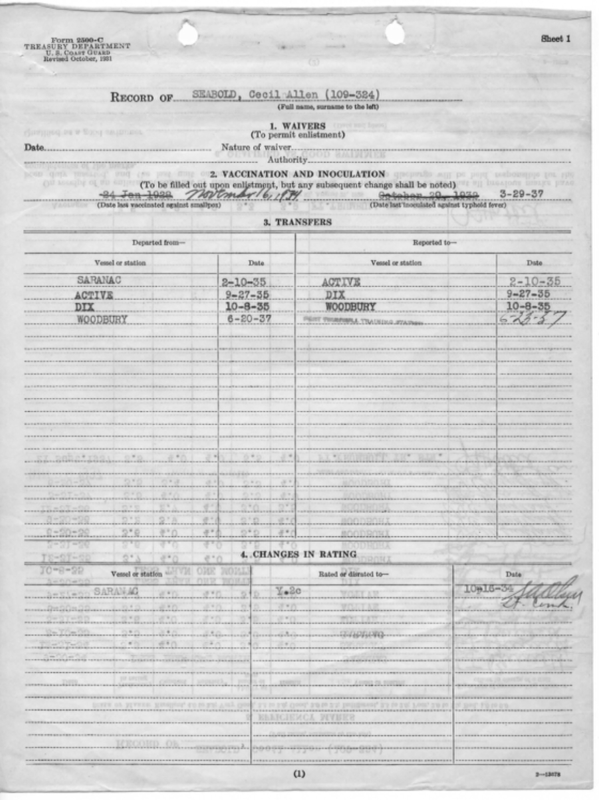 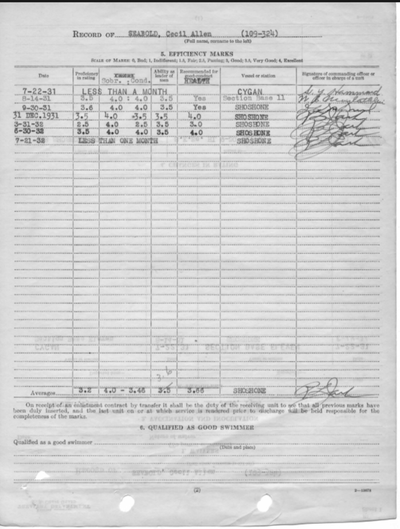 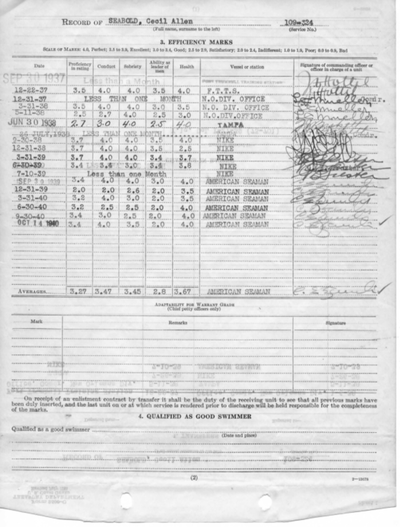 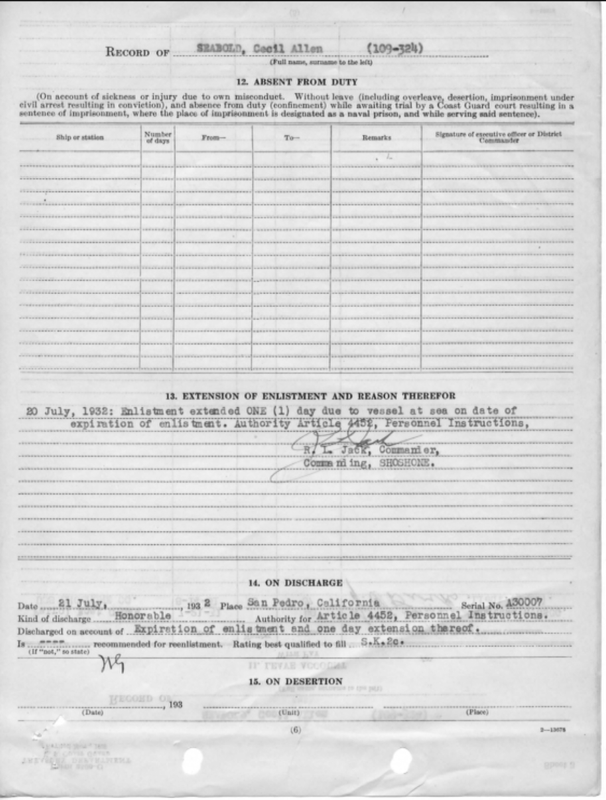 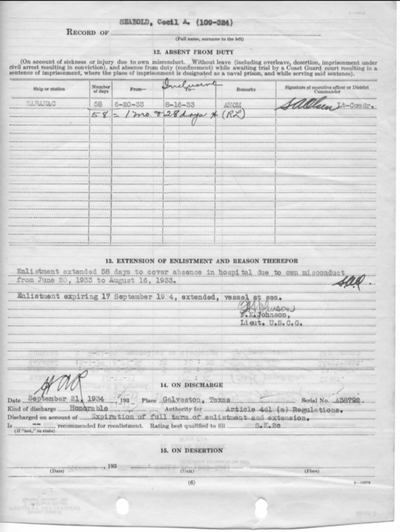 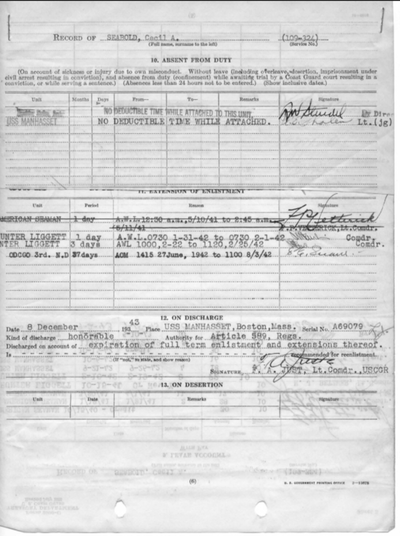 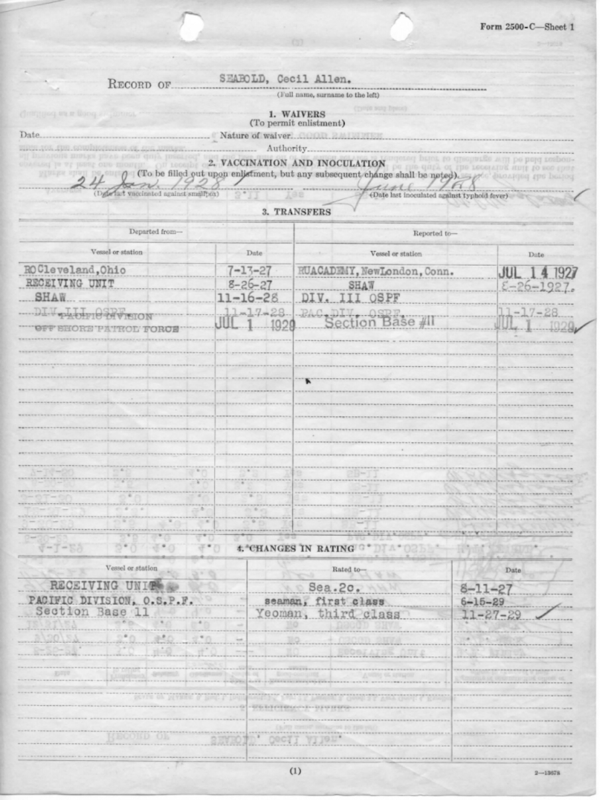 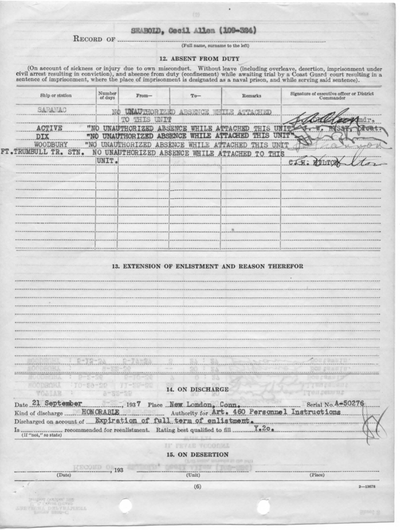 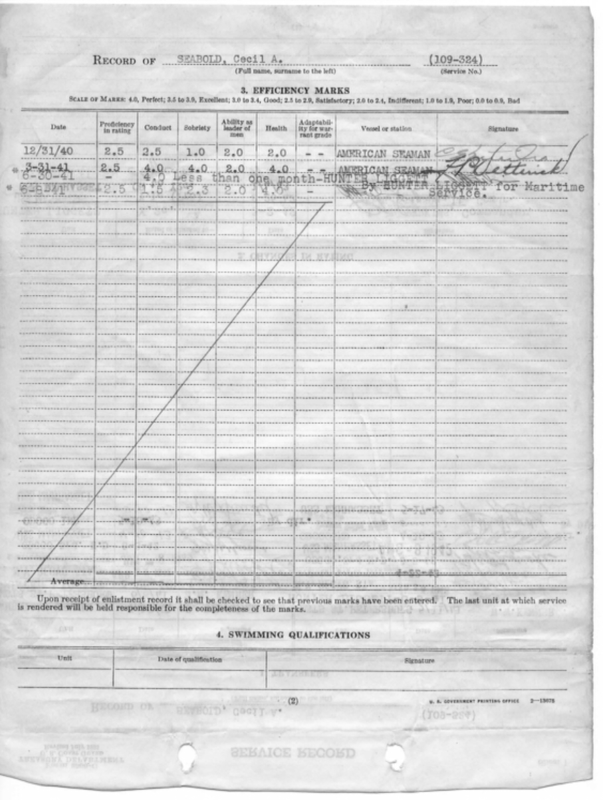 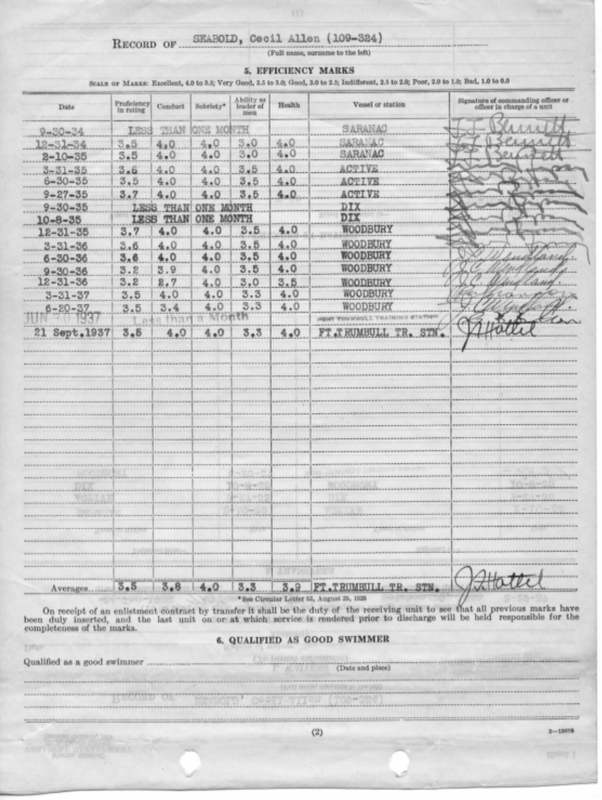 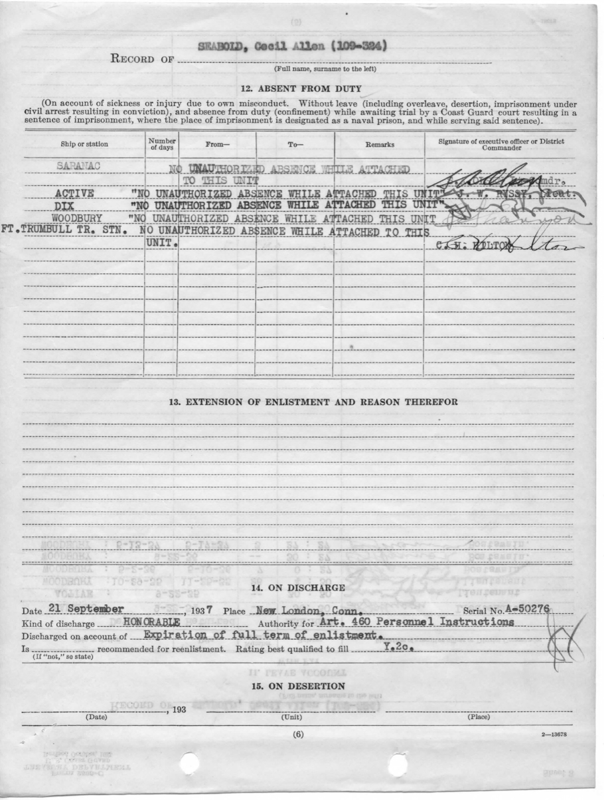 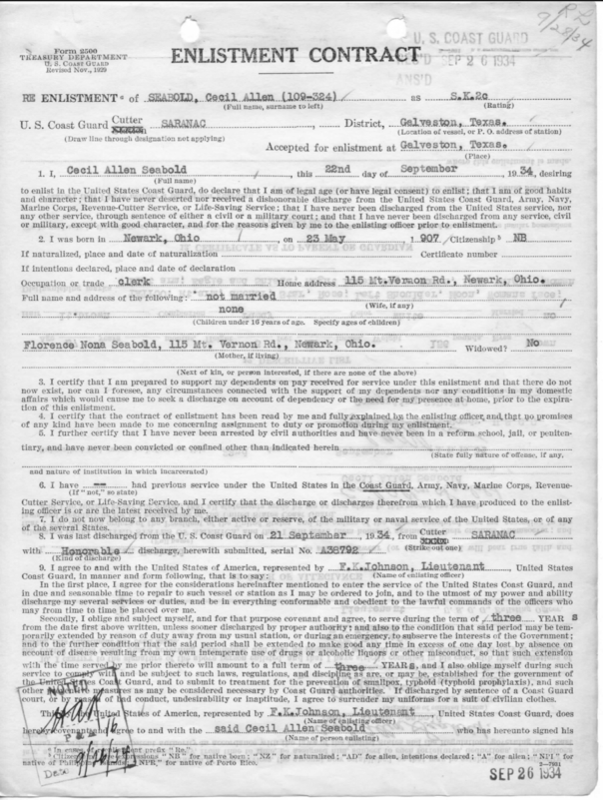 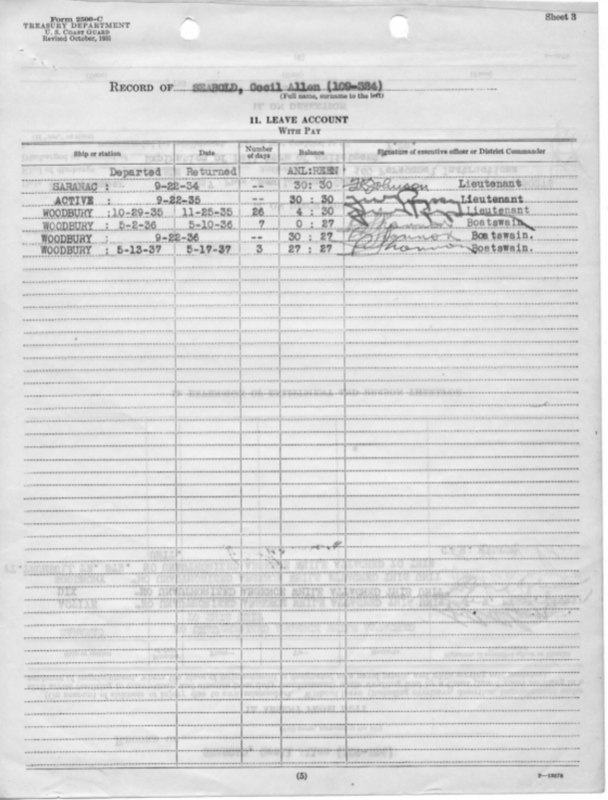 Y1c Seabold was transferred to the Maritime Services Training Center on the American Seaman, St. Petersburg, Florida on July 10th 1939 where he trained over the next year, he reenlisted Oct. 14th 1940 for 3 years while his vessel was at sea, Seabold completed training on Oct. 15th 1940. 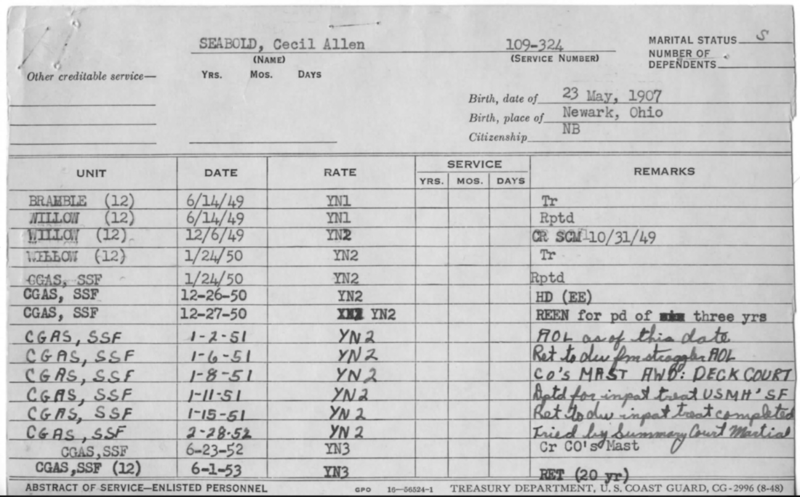 ​Yeoman 1st Class Seabold was transfer to the Army Transport U.S.S. 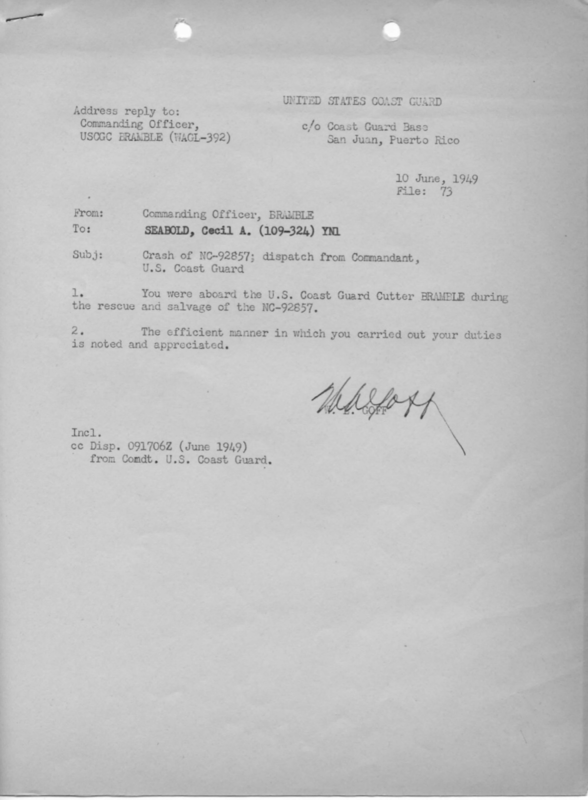 Hunter Liggett on June 9th 1941. 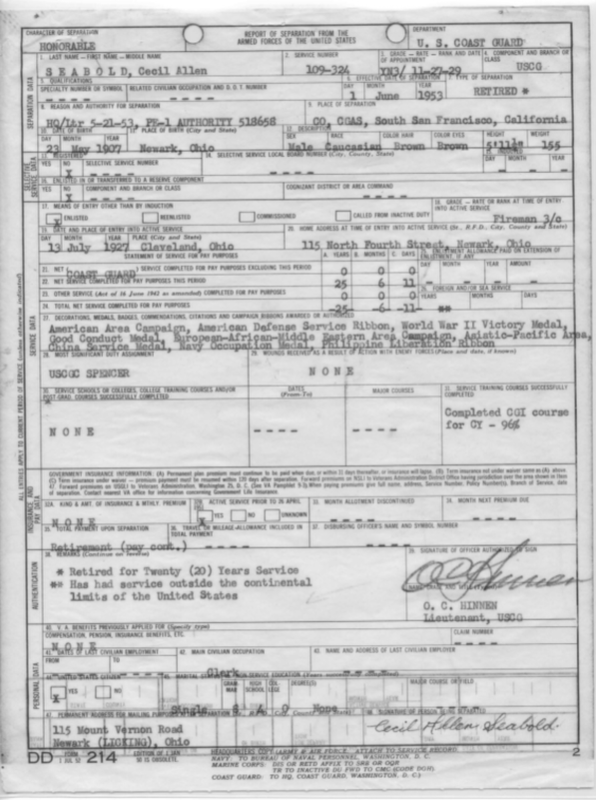 She was a transport who serviced between New York & San Fransisco. The U.S.S. 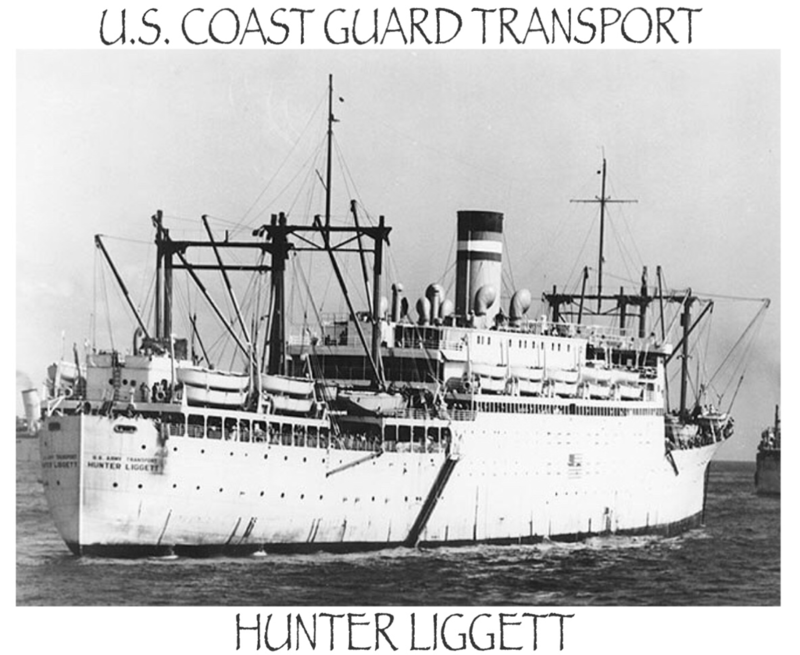 Hunter Liggett was Converted to Navy use at Brooklyn Navy Yard, she commissioned as AP-27 9 June 1941, Hunter Liggett and her U.S. Coast Guard crew were ordered to the Pacific in April 1942. 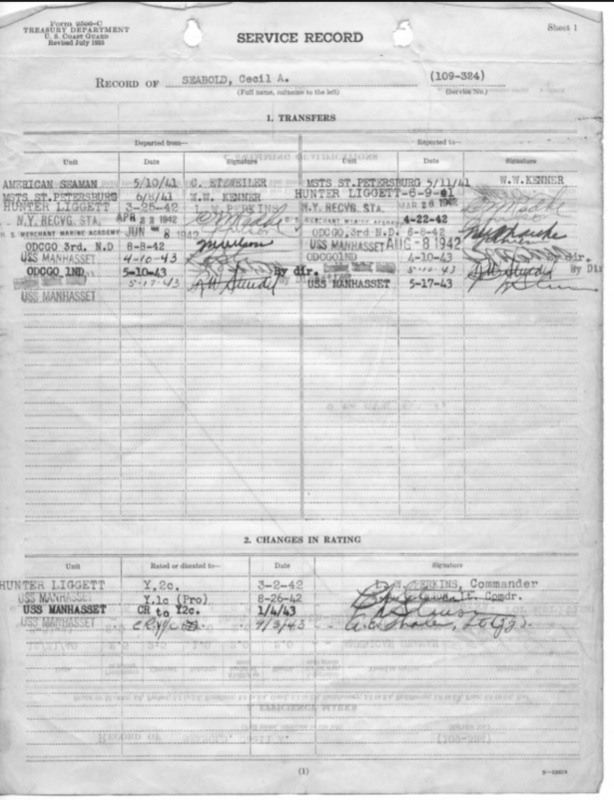 Yeoman Seabold transfer off the U.S.S. 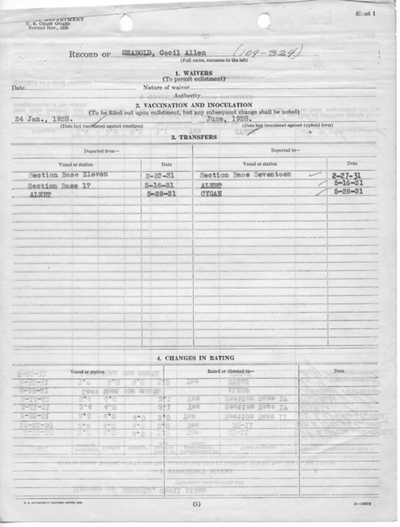 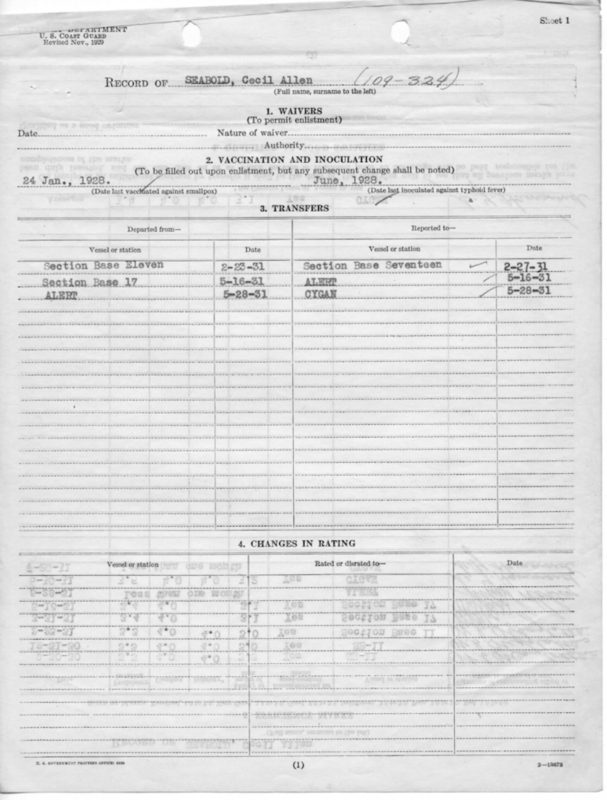 Hunter Liggett March 25th 1942. 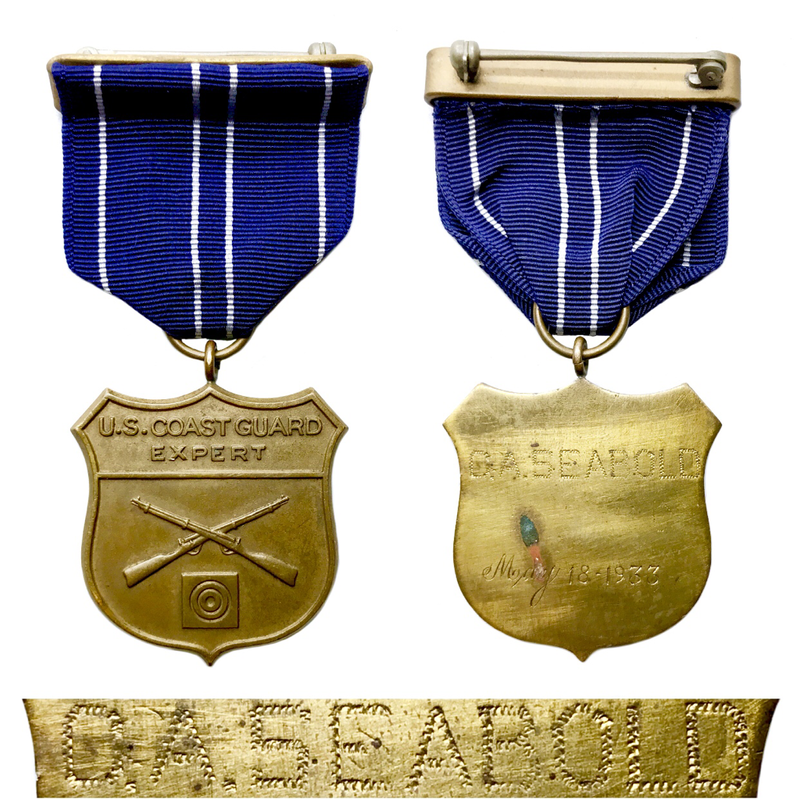 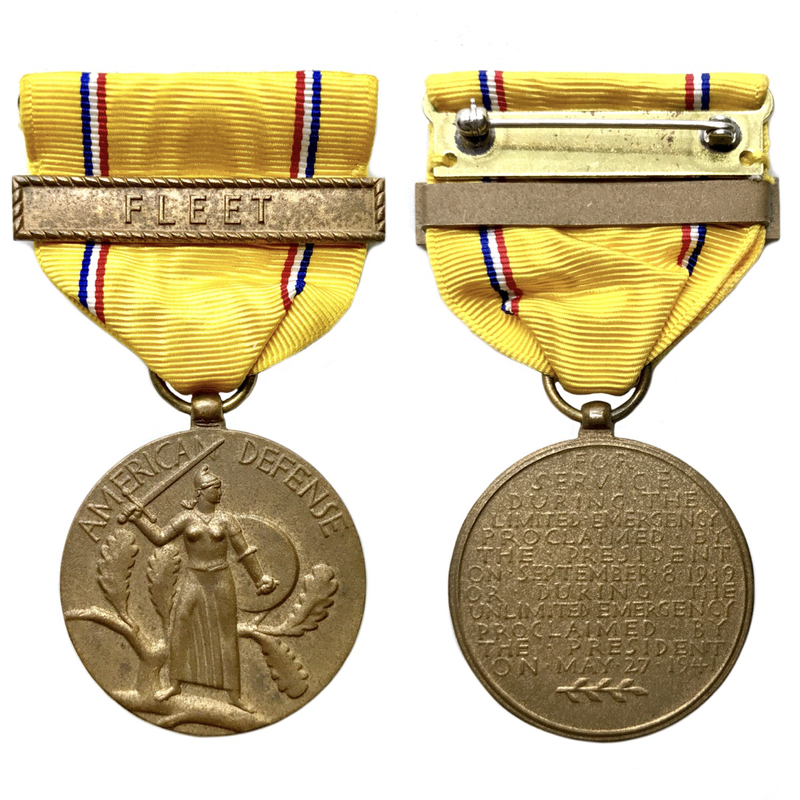 For his service aboard the this vessel Seabold was Issued the American Defense Medal with Fleet clasp. 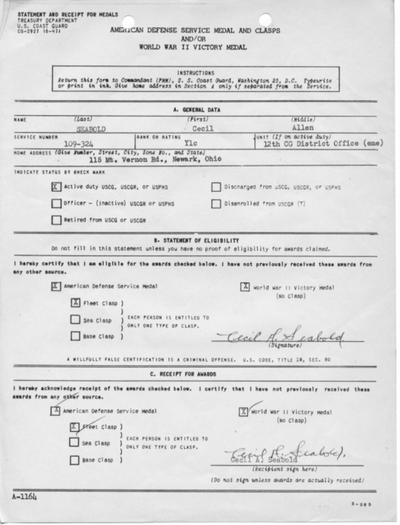 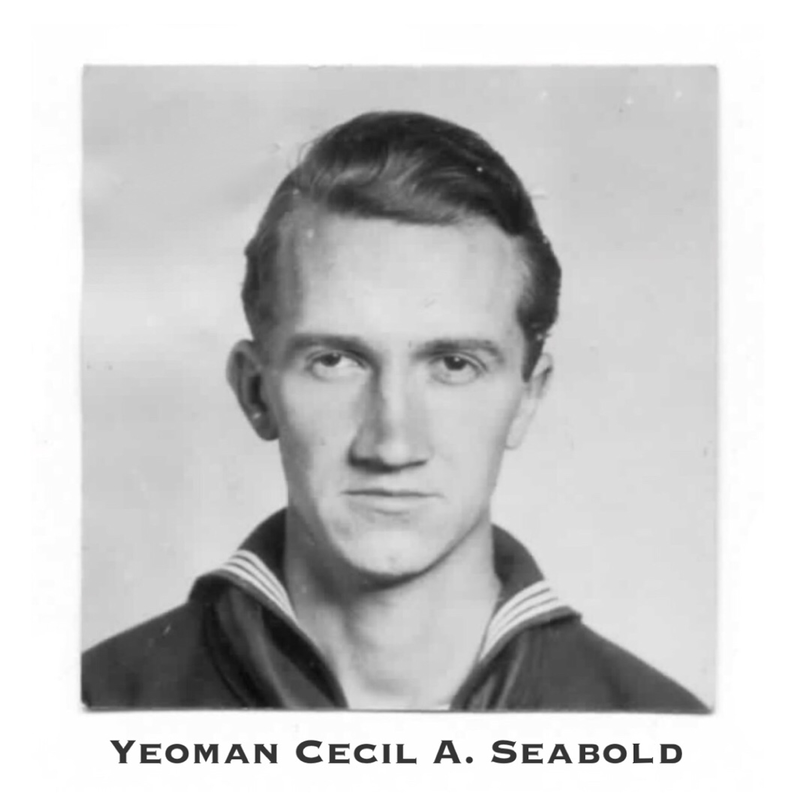 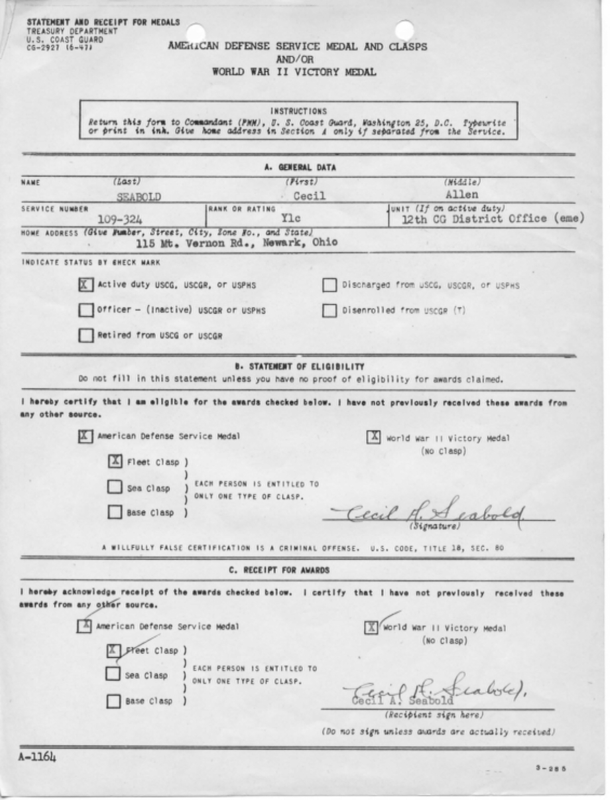 Yeoman Seabold was transferred to the New York Receiving Station March 26th 1942, he attended the Merchant Marine Academy, Long Island Sound, N.Y. from April 22nd 1942 through June 6th 1942 when he was transferred to the New York District. 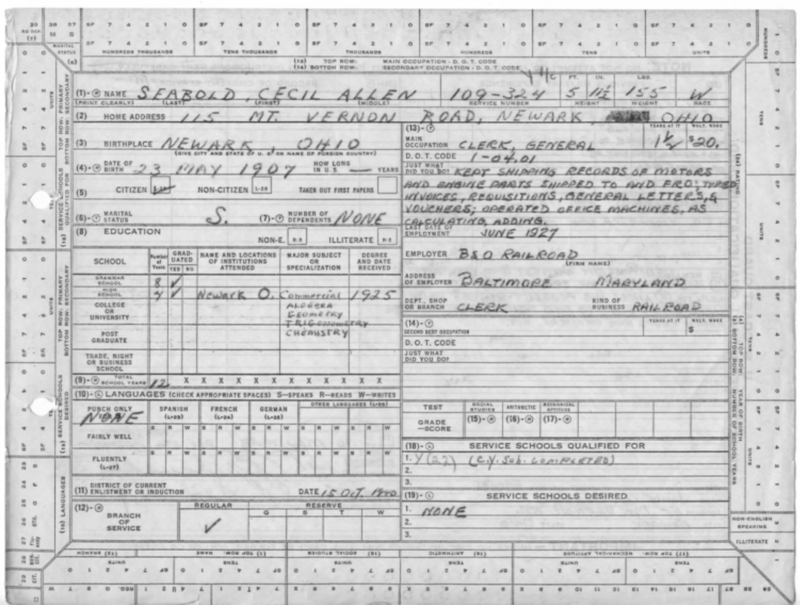 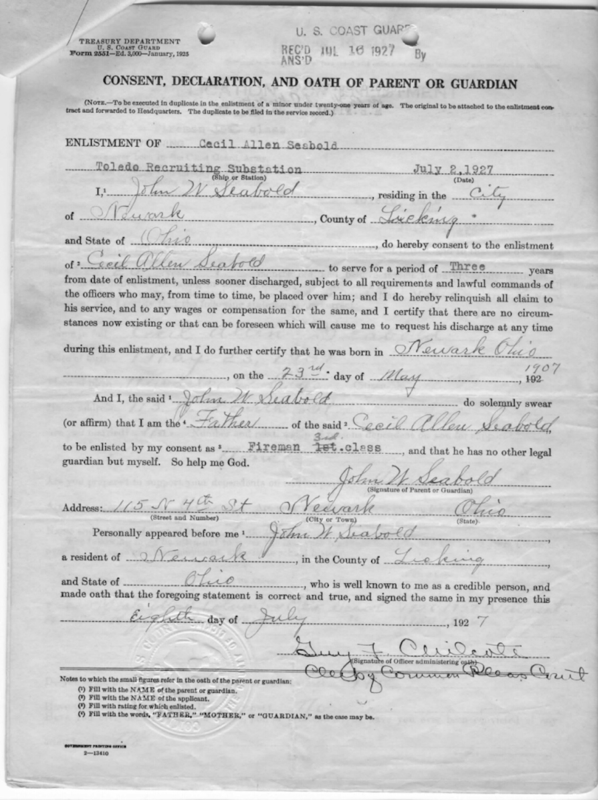 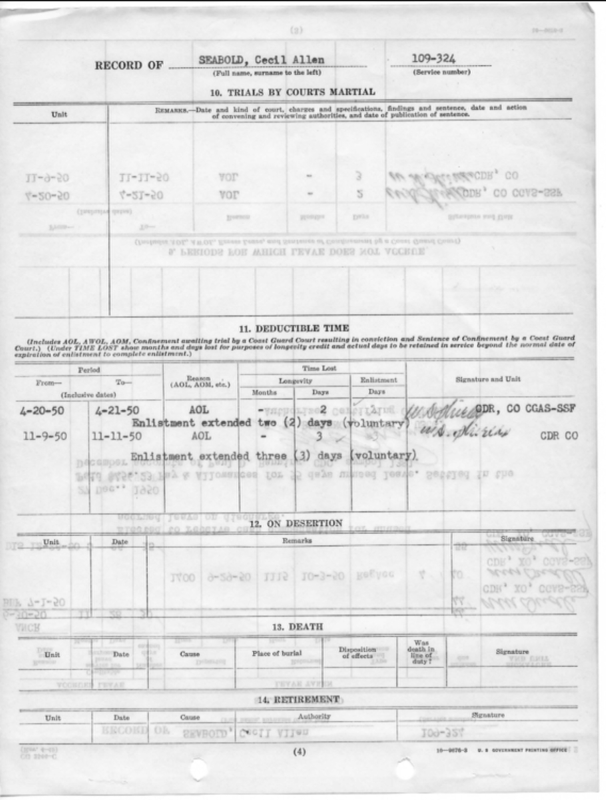 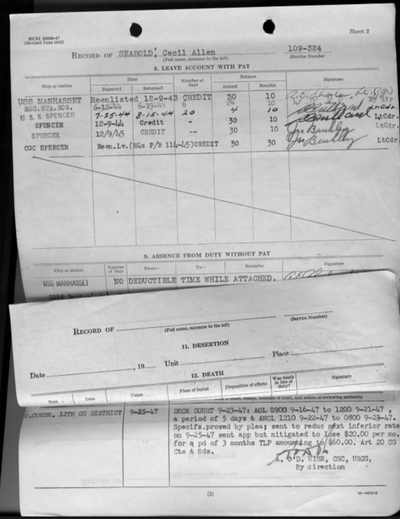 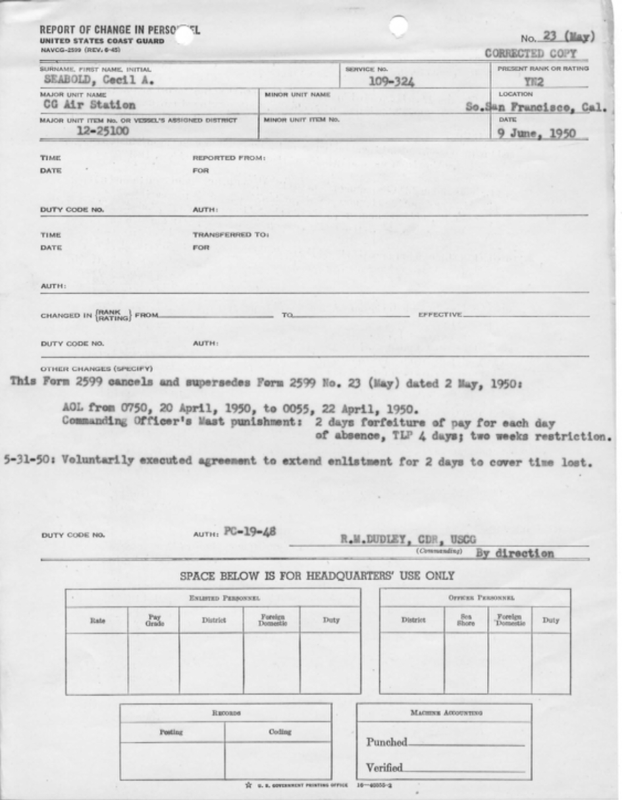 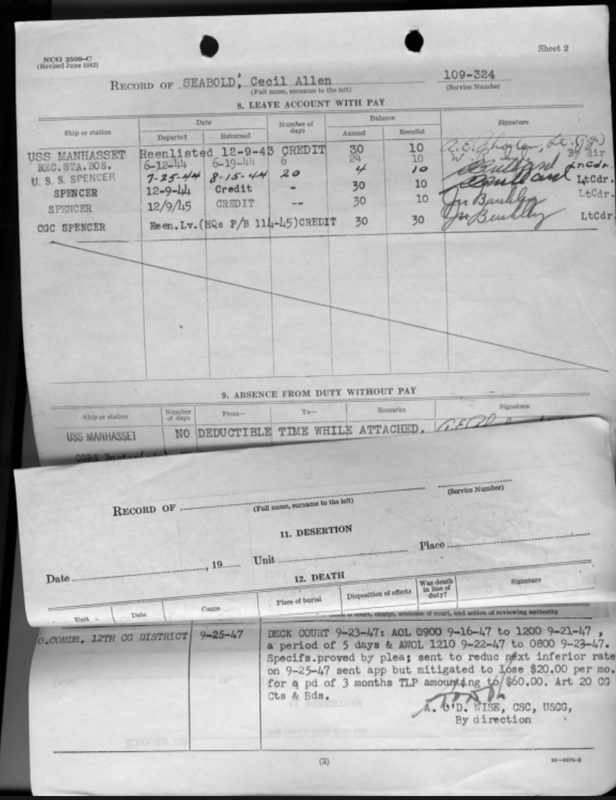 Yeoman Seabond was transferred to the U.S.S. 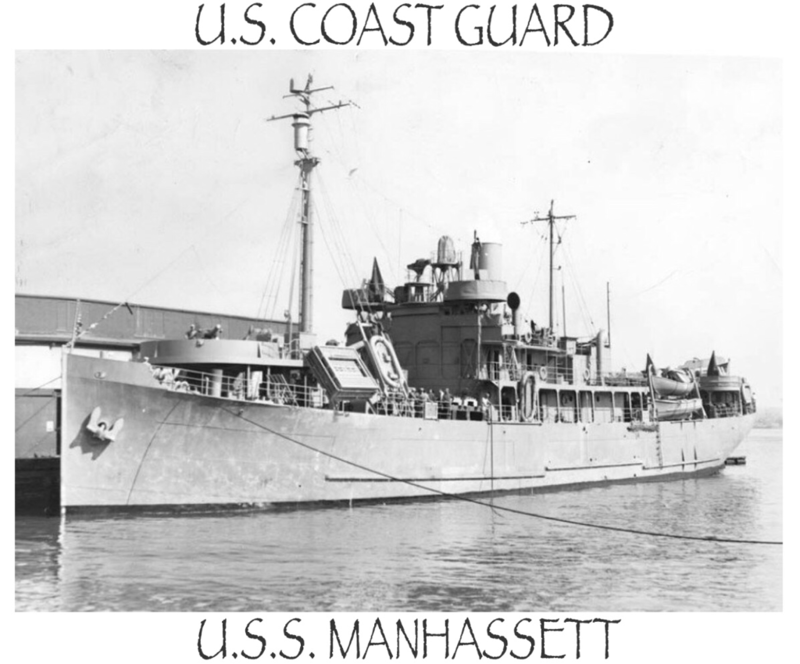 Manhasset Aug. 8th 1942, the Manhasset was equipped with specialized meteorological instruments, she joined the weather patrol in the North Atlantic Ocean to gather vital weather information used in compiling forecasts for Allied European operations against the Axis. 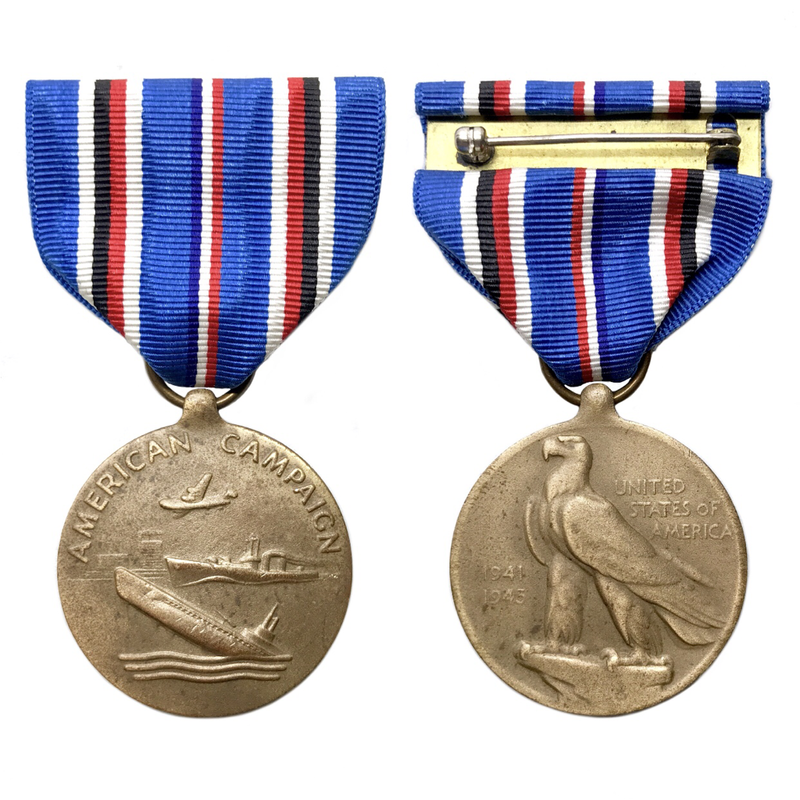 She braved the dangers of stormy seas and the menace of German U-Boats while operating her assigned and isolated patrol areas out of Argentia, Newfoundland, and Goston, Massachusetts. 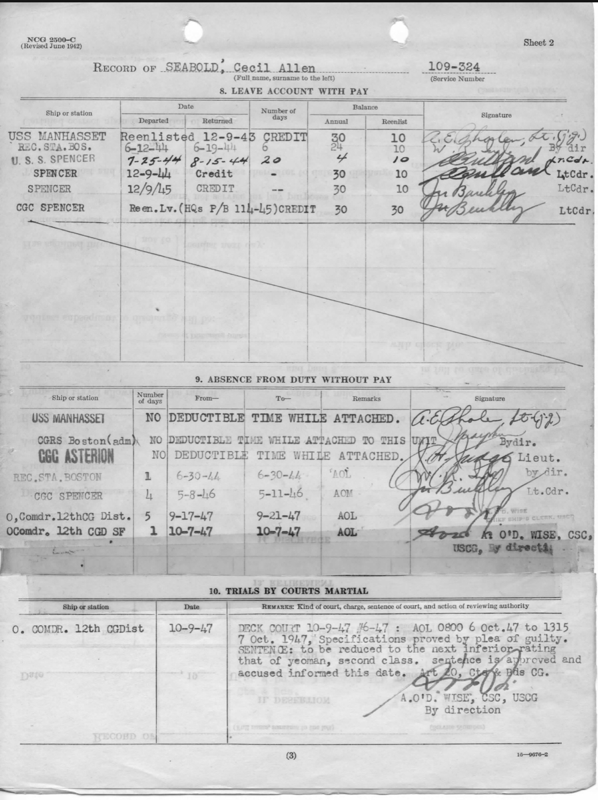 She averaged about one patrol a month, usually about three weeks long. U.S.S. 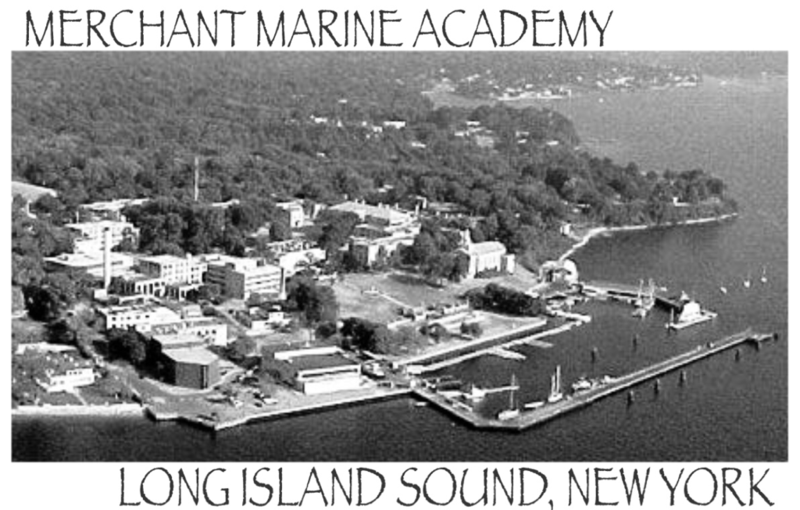 Manhasset also patrolled and searched for German submarines. 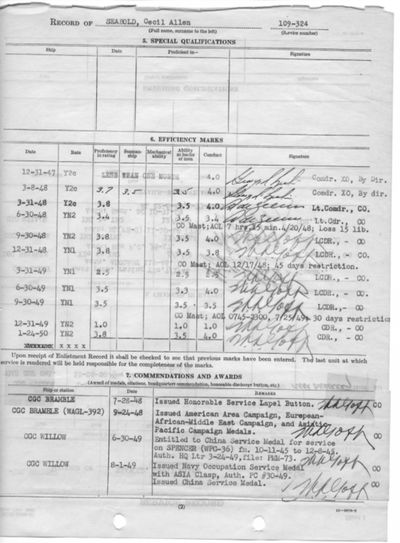 While cruising midway between Flemish Cap & Cape Farewell, Greenland, she depth charged a suspected U-boat, with no positive results on April 27th 1943. The following week convoy ONI-5 steamed through her patrol station, and on May 5th she provided support during one of the most savage convoy battles of World War II. 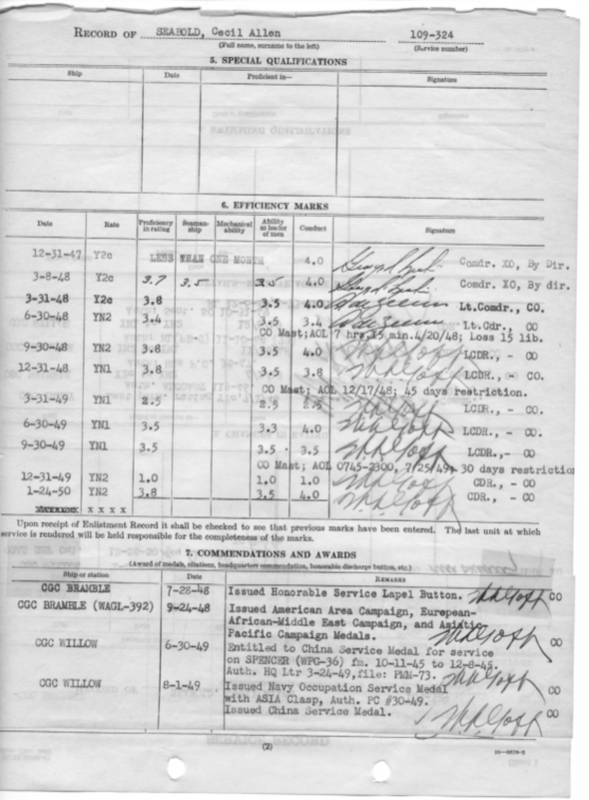 The slow 43 ship convoy was attacked by U-boats between late May 4th & early May 6th. 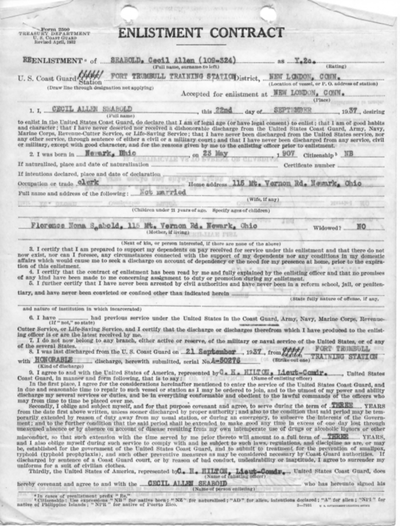 Although the convoy lost 13 ships during the hazardous passage from the United Kingdom to New York City, courageous escorts sank five submarines and repulsed the remainder. 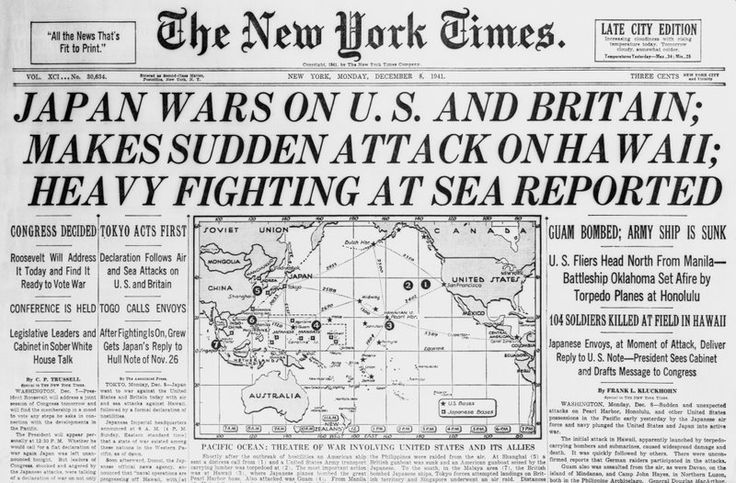 Never again did German submarines attack in such force. As Manhasset patrolled near the British merchant ship Dolius, torpedoed and abandoned earlier in the day but still afloat, she made sound contact with a submarine late in the afternoon. 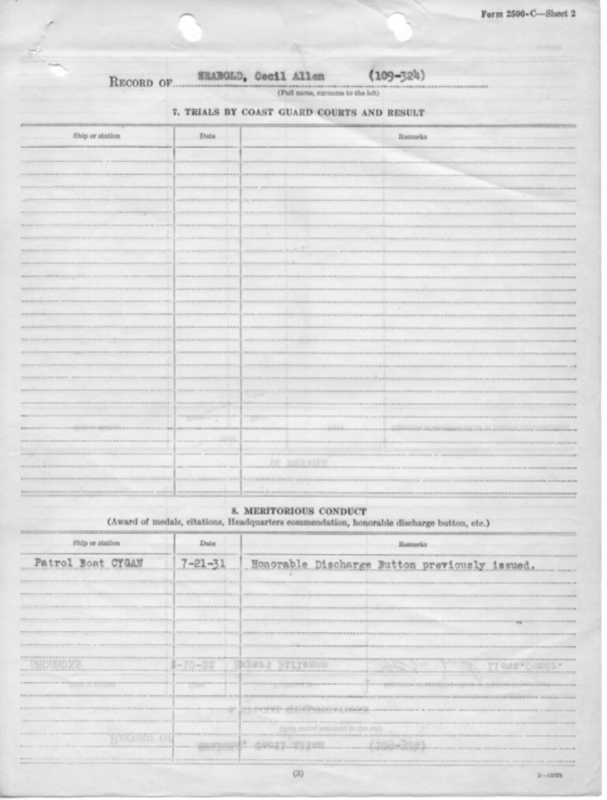 She made six vigorous depth charge attacks and sighted first a periscope wake followed by an oil slick. 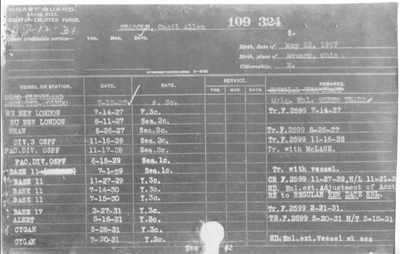 However, she sighted no wreckage and broke off attack to guard the torpedoed ship after more than 2 hours of searching. 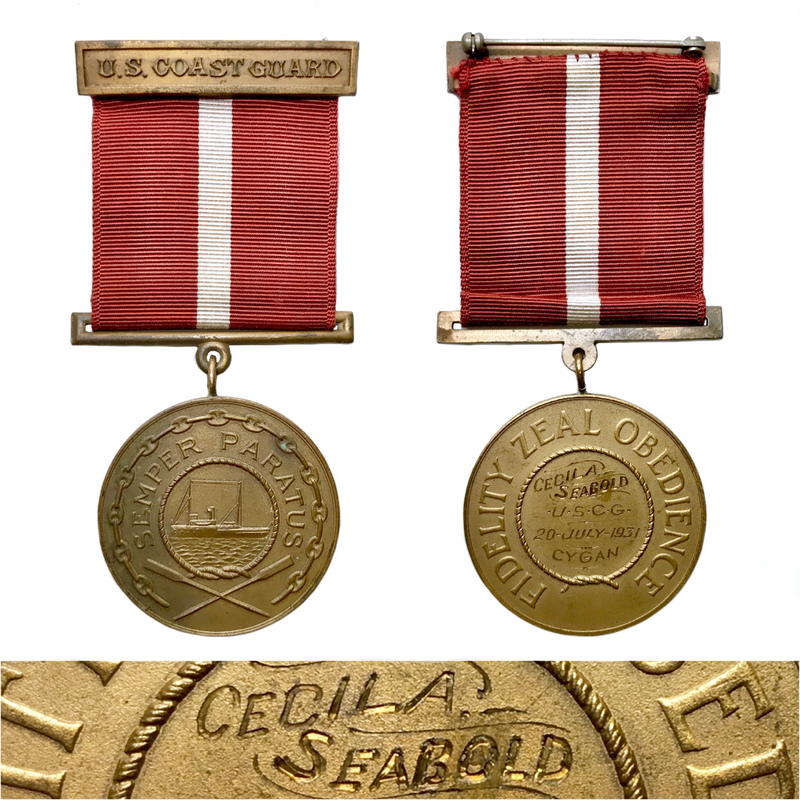 For his service aboard the this vessel Seabold Qualified the American Campaign & European African Middle Eastern Campaign Medal. 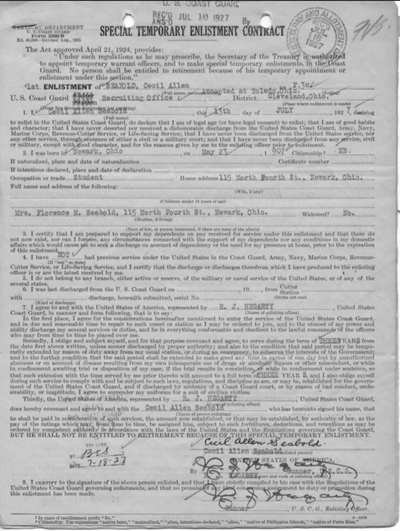 On Jan. 12th 1944 Yeoman Seabold was transferred to the U.S.C.G. 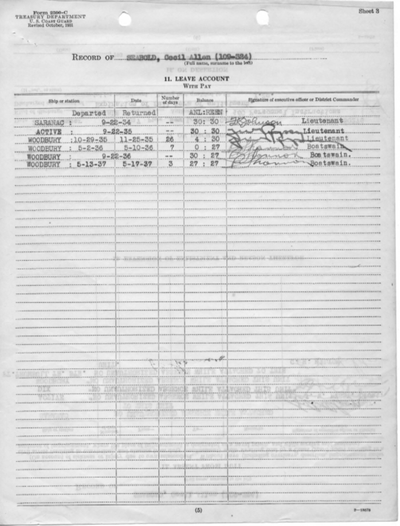 Asterion WAK-123. 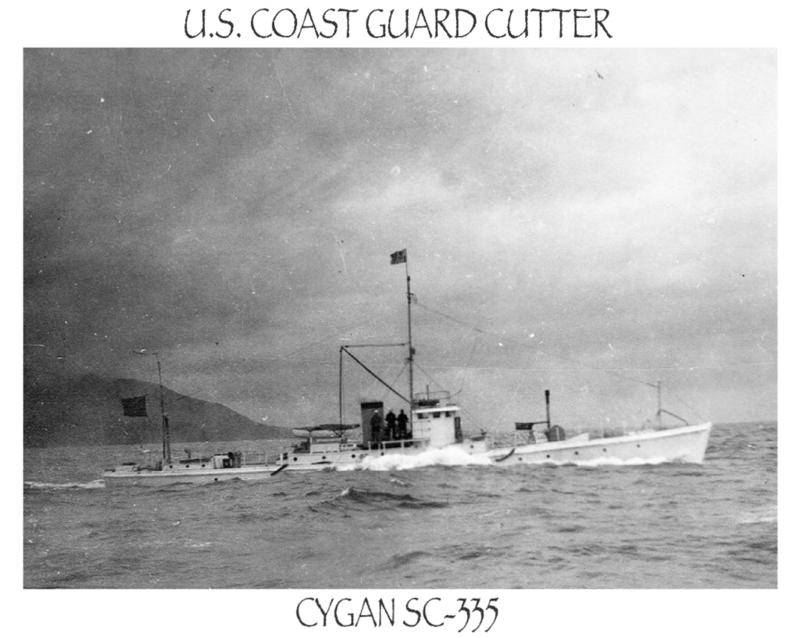 The ship was fitted out as a "Q" ship, whose appearance as a helpless freighter was expected to lure German submarines into range of her concealed battery of guns and depth charges. 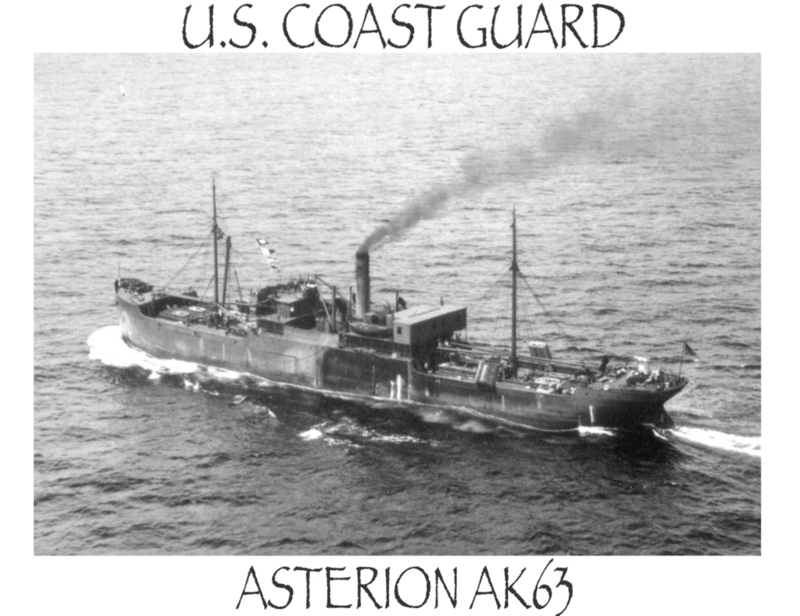 Asterion cruised extensively in this guise, rescuing survivors of other ships that had fatally encountered U-Boat torpedoes. 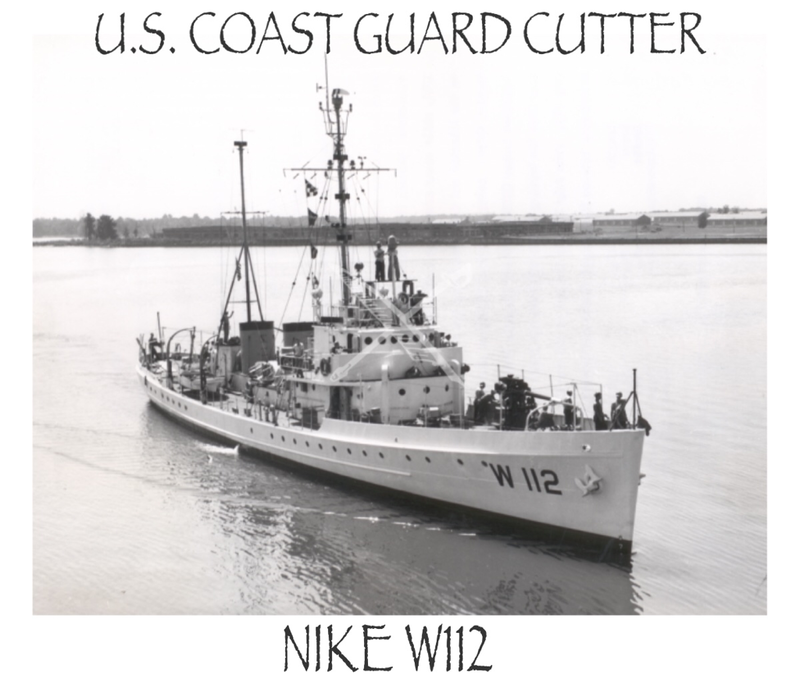 Transferred to the U.S. Coast Guard in January 1944, Asterion retained her Navy name but was redesignated WAK-123. 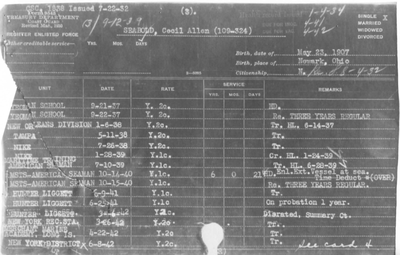 She served as a weather ship in the north Atlantic until July 1944, when her advanced age led to her decommissioning. 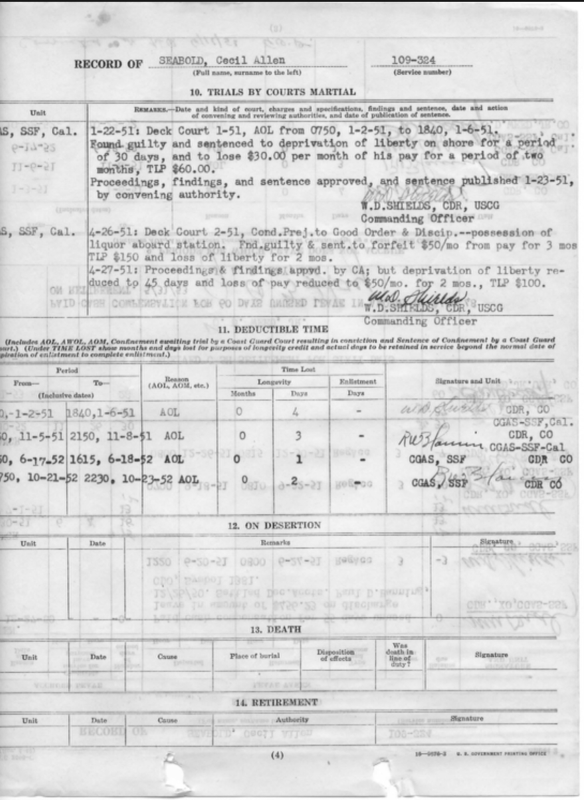 Seabold transferred off the U.S.C.G. 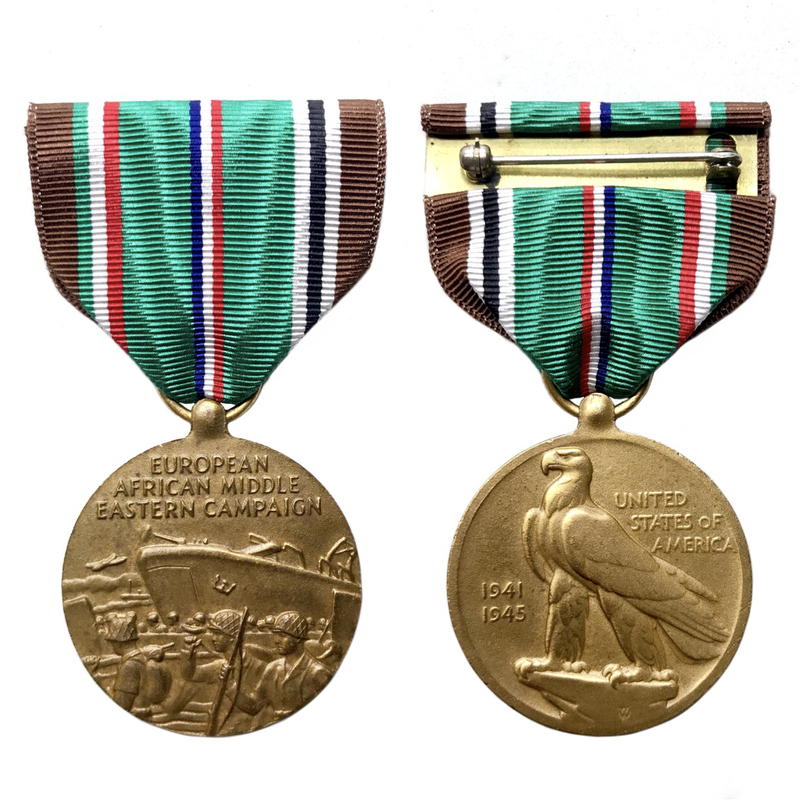 Asterion June 12th 1944, for his service aboard this vessel Seabold Qualified the American Campaign & European African Middle Eastern Campaign Medal. 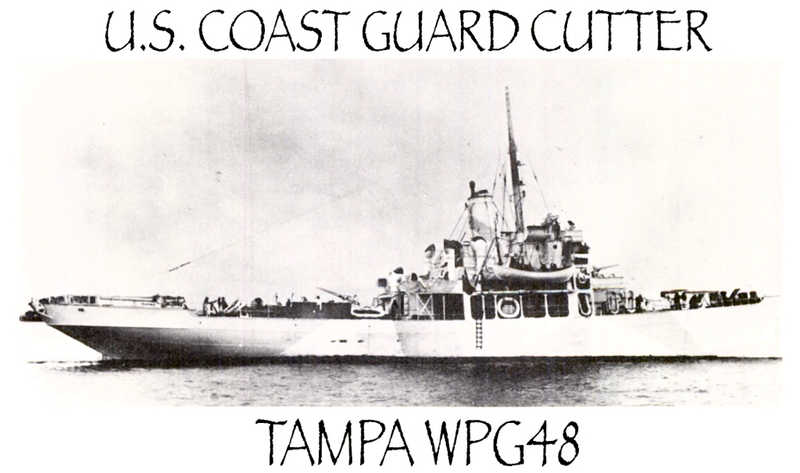 On July 5th 1944 Yeoman Seabold was transferred to the Treasury Class Coast Guard Cutter Spencer as it underwent conversion to an Amphibious Force Flagship, she was re-designated WAGC-36. 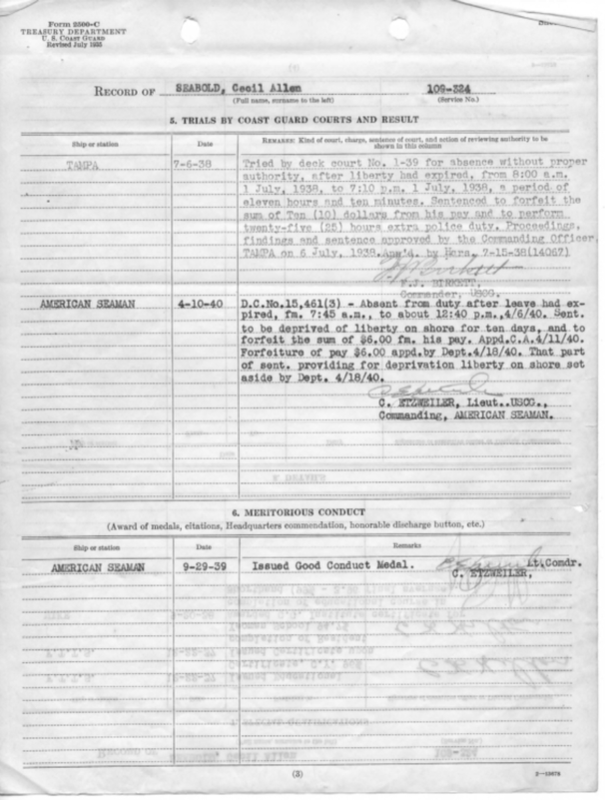 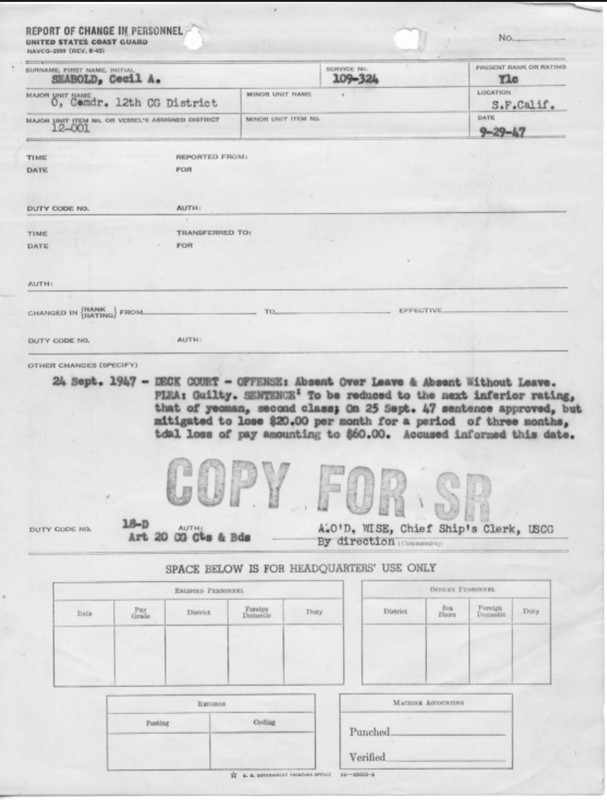 In September 1944 U.S.C.G.C. 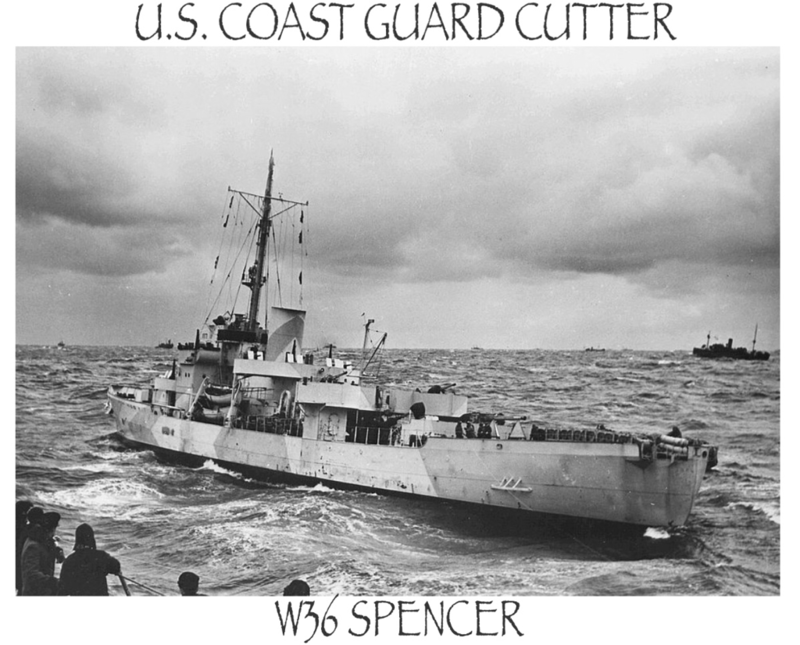 Spencer sailed to join the Pacific fleet, arriving at Hollandia, New Guinea on 1 November 1944. 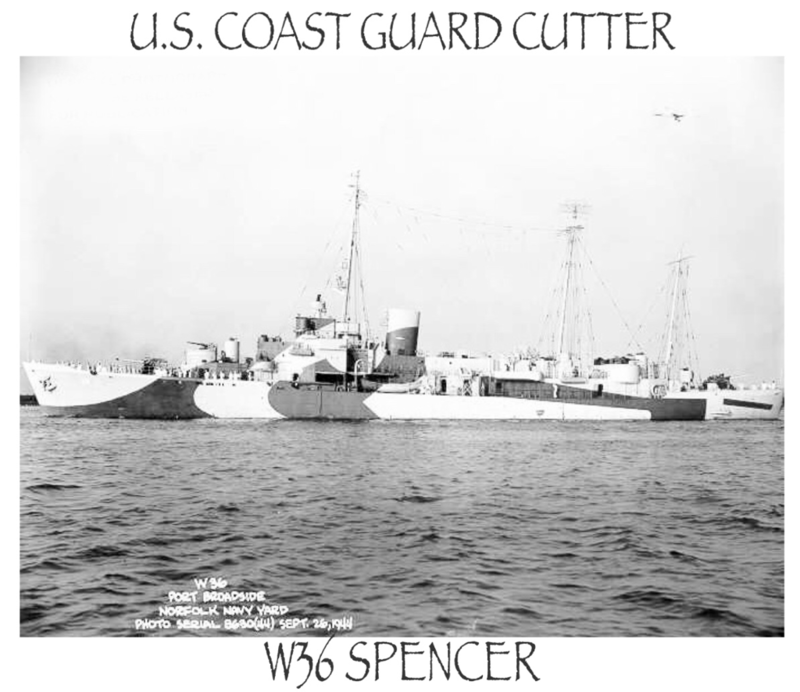 Spencer moved to the Philippines where, on December 7th, she became grounded on a reef in San Pedro Bay, Leyte and sustained moderate hull damage. 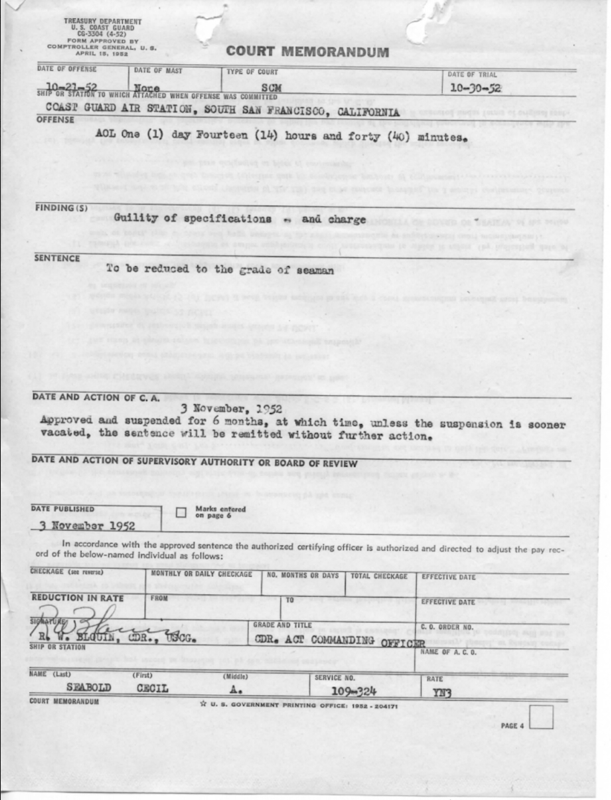 On Dec. 20th 1944 U.S.C.G.C. Spencer came under direct enemy air attack while in Leyte. 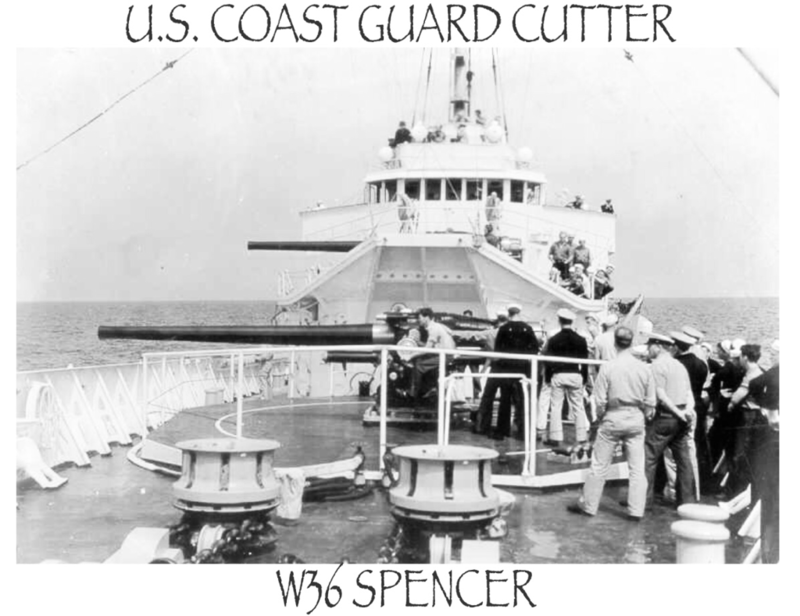 Spencer also served as flagship for other Seventh Fleet Task Groups made up of cruisers, escorts carriers, and elements of the Royal Australian Navy, and the Dutch Navy. 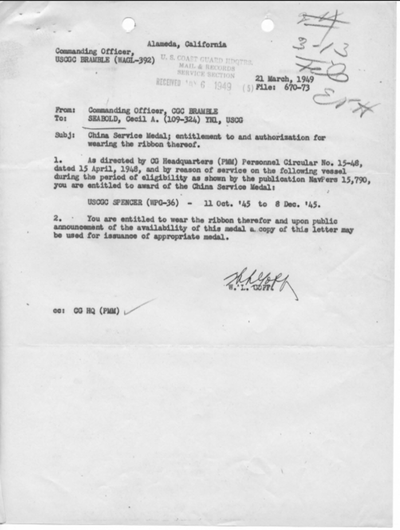 When August 1945 brought news of the Japanese desire to surrender, almost immediately U.S.C.G.C. 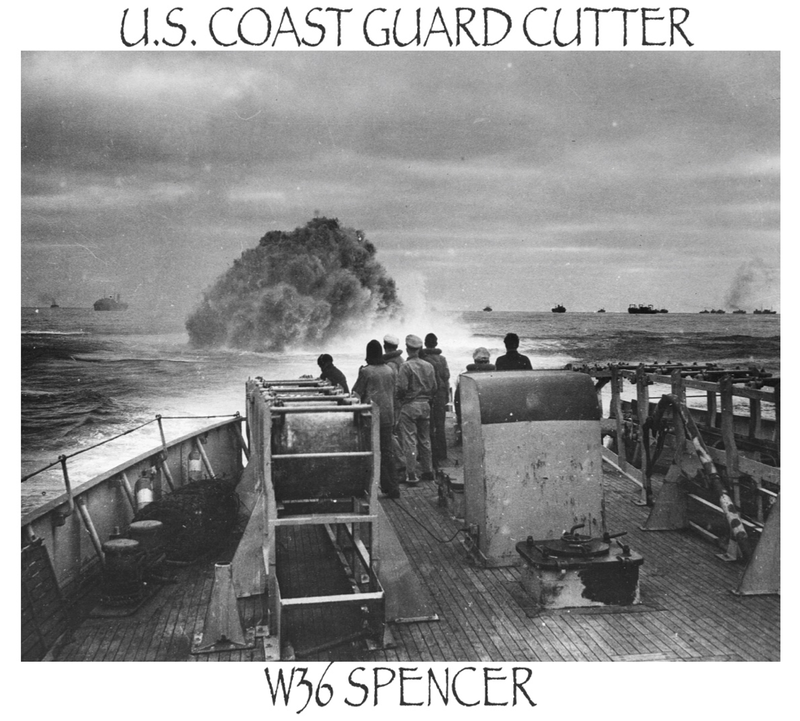 Spencer's role began to shift back toward her peacetime mission. 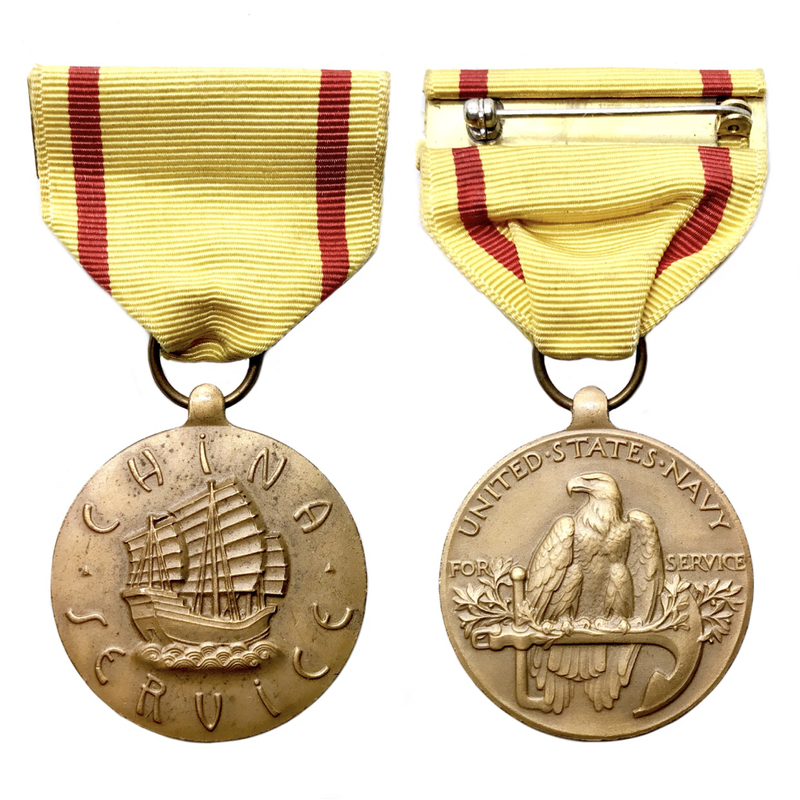 For his service aboard this vessel Seabold Qualified for the Asiatic Pacific Campaign Medal with 4 Bronze Battle Stars, & the Philippine Liberation ribbon with Bronze Star. 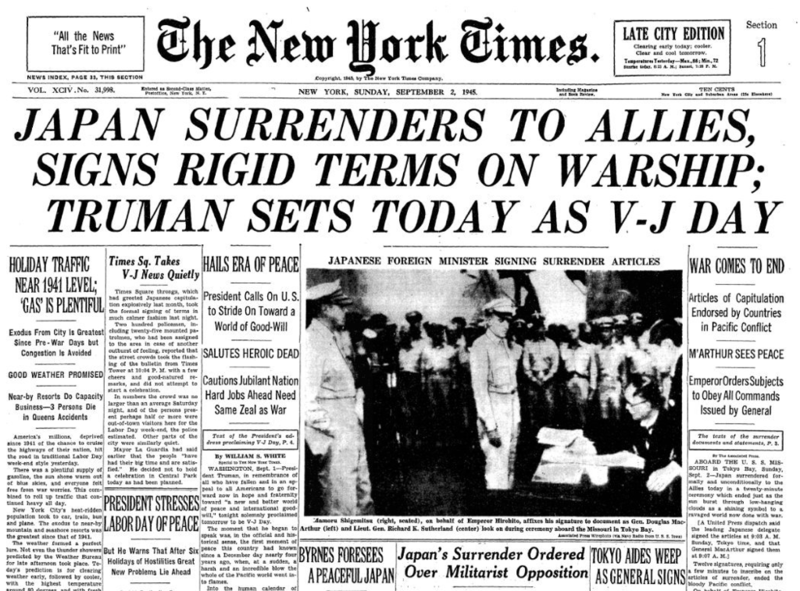 On September 2, 1945, the Japanese representatives signed the official Instrument of Surrender, prepared by the War Department and approved by President Truman. 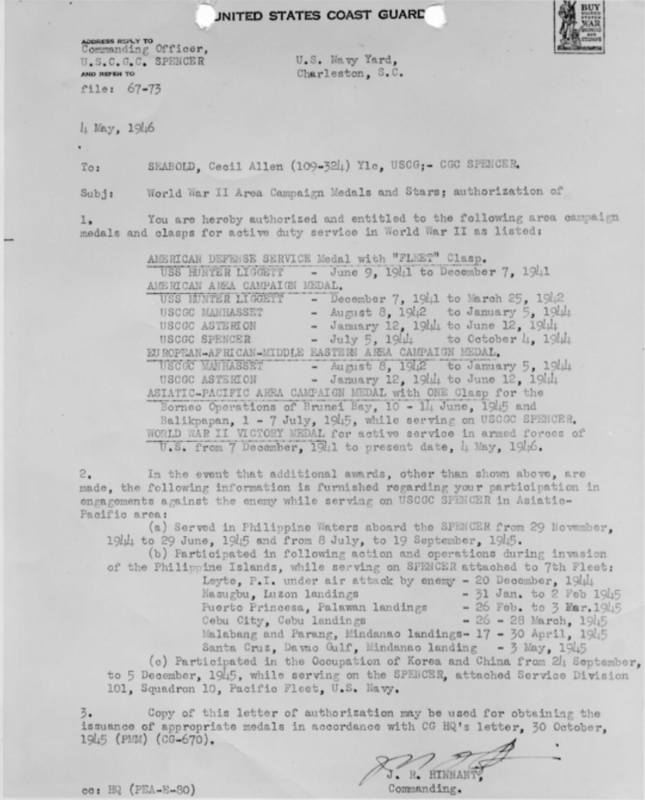 It set out in eight short paragraphs the complete capitulation of Japan. The opening words, "We, acting by command of and in behalf of the Emperor of Japan," signified the importance attached to the Emperor's role by the Americans who drafted the document. The short second paragraph went straight to the heart of the matter: "We hereby proclaim the unconditional surrender to the Allied Powers of the Japanese Imperial General Headquarters and of all Japanese armed forces and all armed forces under Japanese control wherever situated." 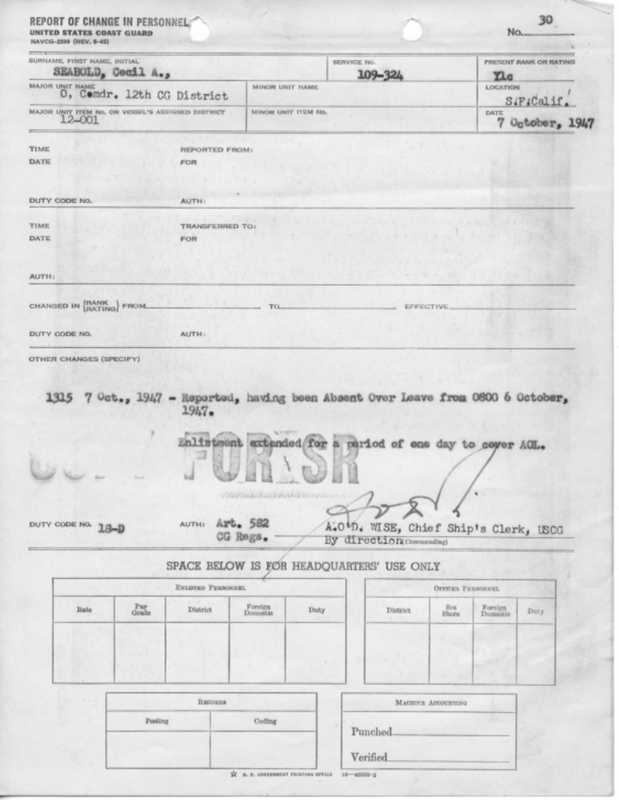 That morning, on the deck of the U.S.S. 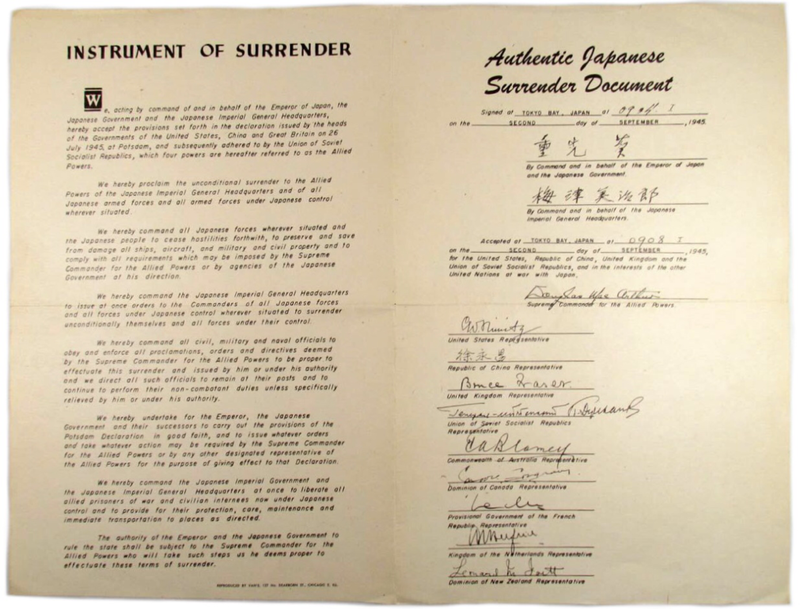 Missouri in Tokyo Bay, the Japanese envoys Foreign Minister Mamoru Shigemitsu and Gen. Yoshijiro Umezu signed their names on the Instrument of Surrender. 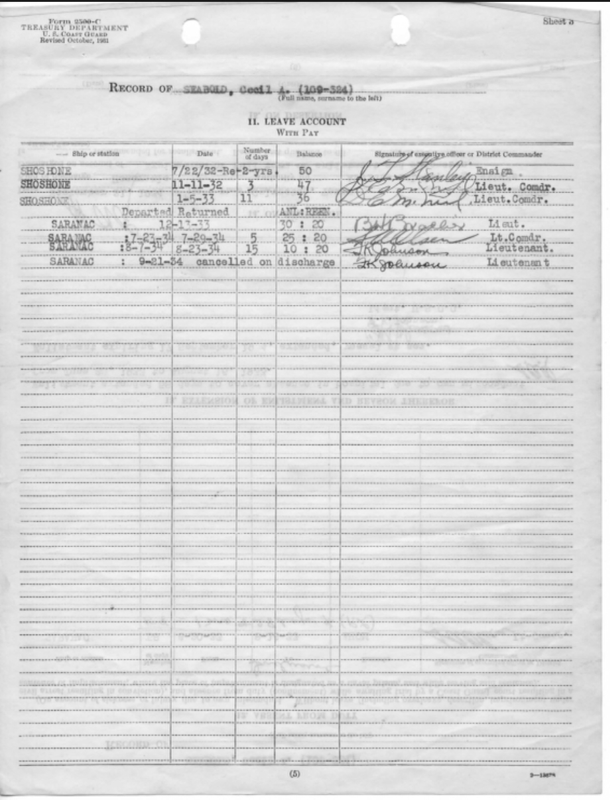 The time was recorded as 4 minutes past 9 o'clock. Afterward, Gen. Douglas MacArthur, Commander in the Southwest Pacific and Supreme Commander for the Allied Powers, also signed. 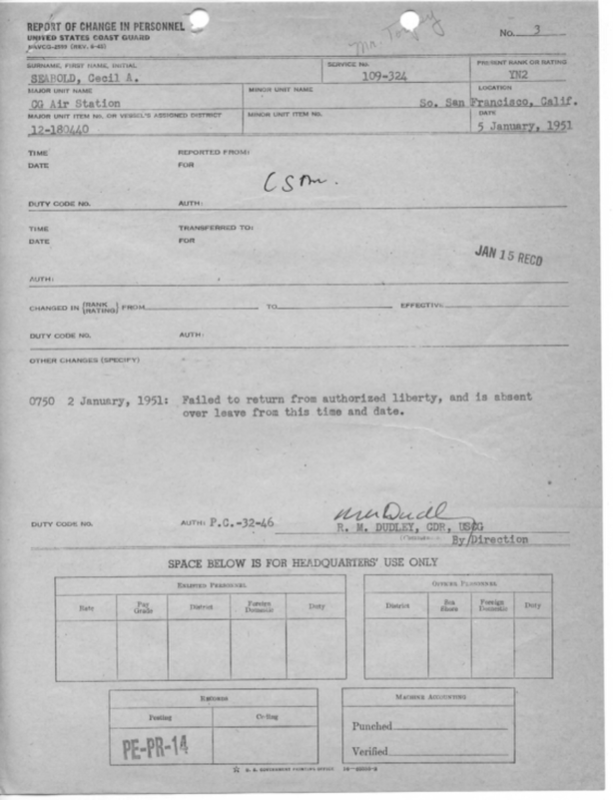 He accepted the Japanese surrender "for the United States, Republic of China, United Kingdom, and the Union of Soviet Socialist Republics, and in the interests of the other United Nations at war with Japan." 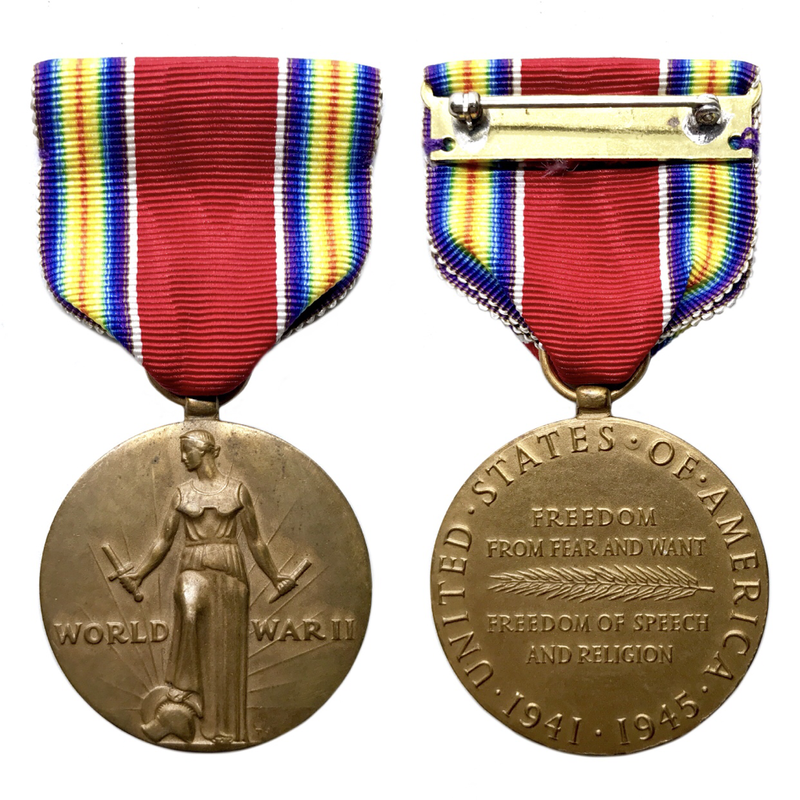 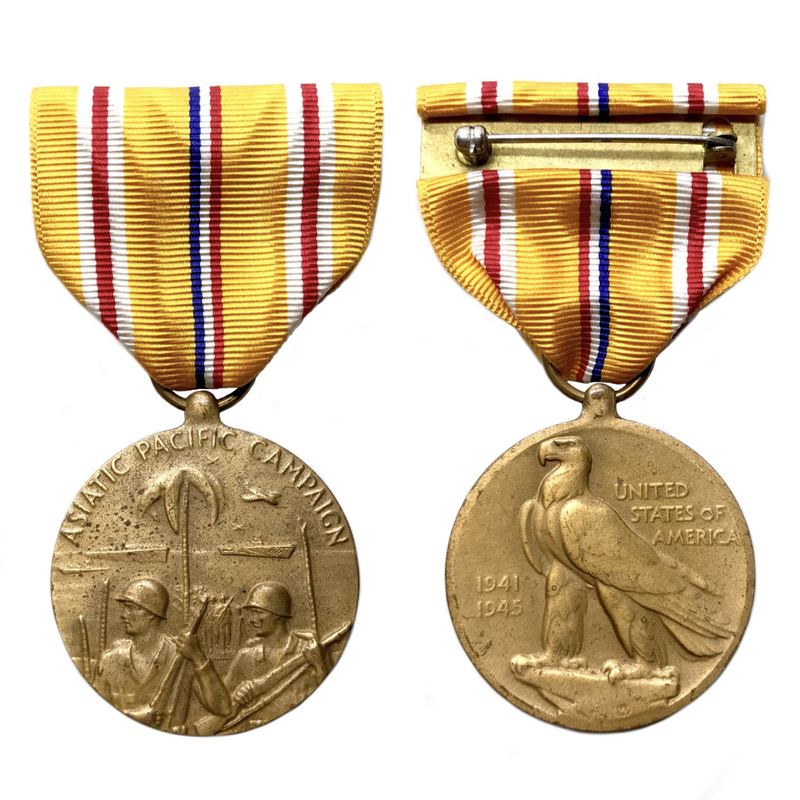 For Yeomam Seabold's service in World War II, he qualified for the WWII Victory Medal. 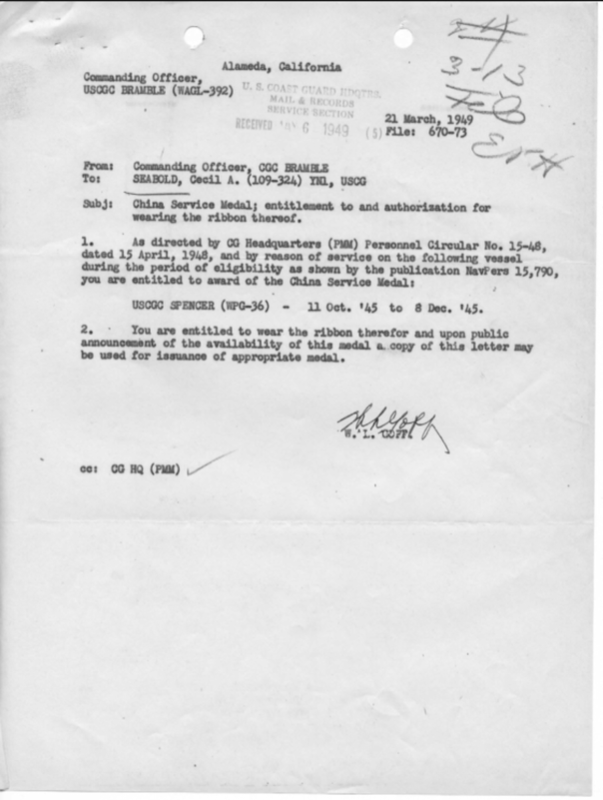 On Oct. 22nd 1945, Yeoman Seabold was authorized to wear the Amphibious Force Insignia. 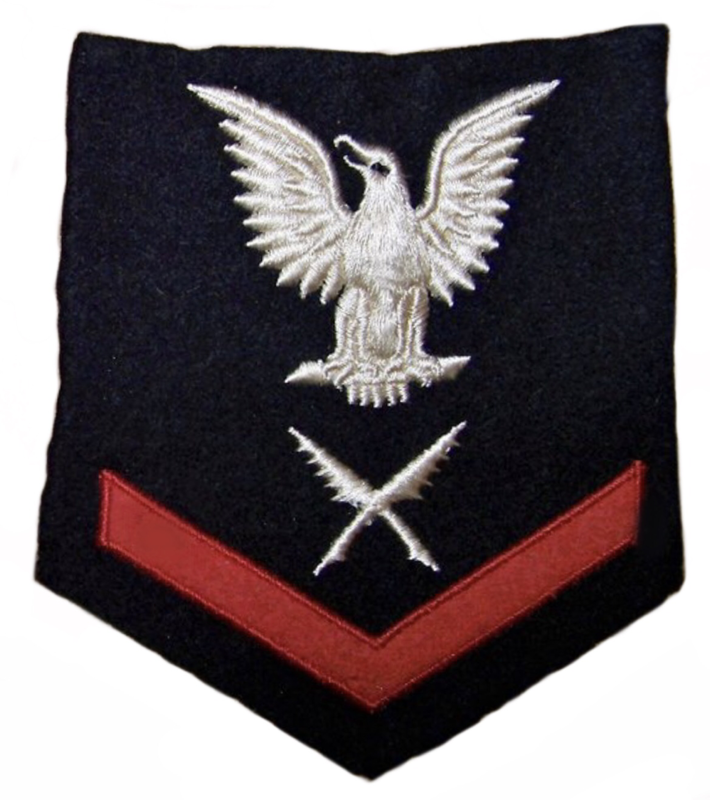 The U.S.C.G.C. 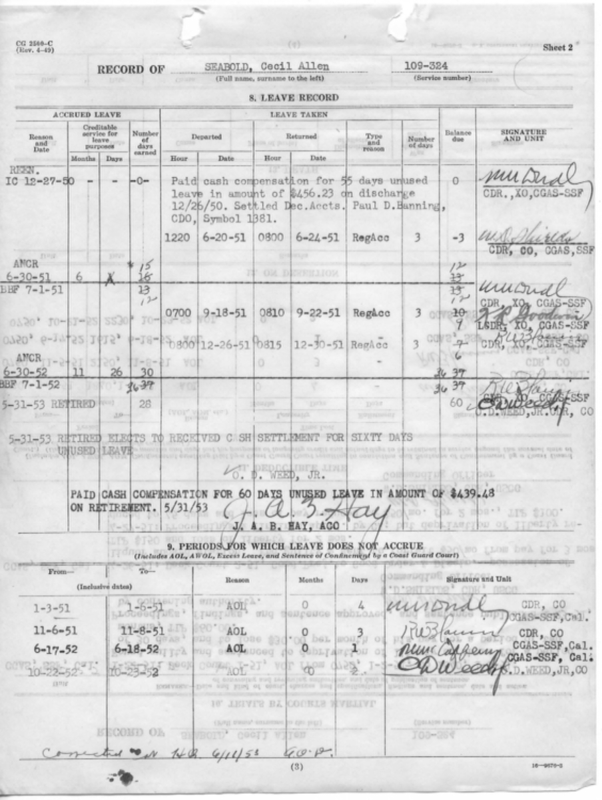 Spencer sailed to Jinsen, Korea, & China where she briefly served as auxiliary communication ship, Communication Service Division 101, Service Squadron 10, Pacific Fleet, before being ordered back to San Diego, & then New York. 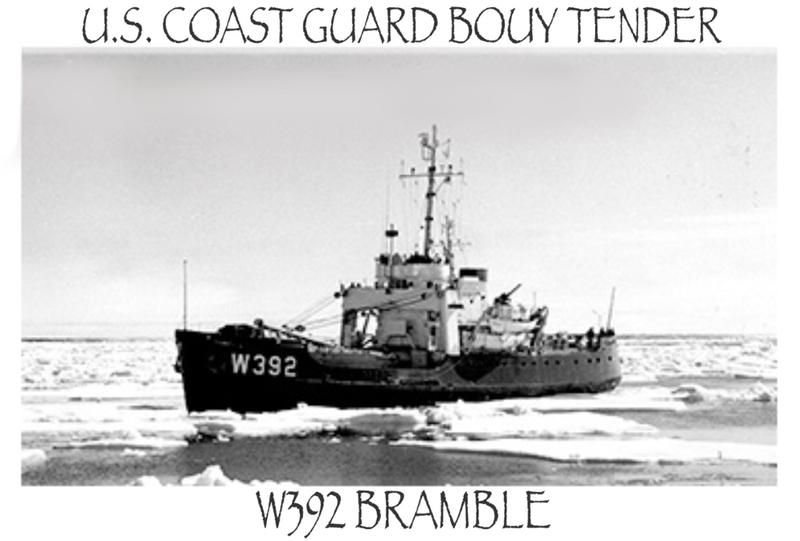 After she was returned to her peace-time configuration, in 1946 she returned to her traditional Coast Guard duties of law enforcement, search & rescue, & weather station patrols. 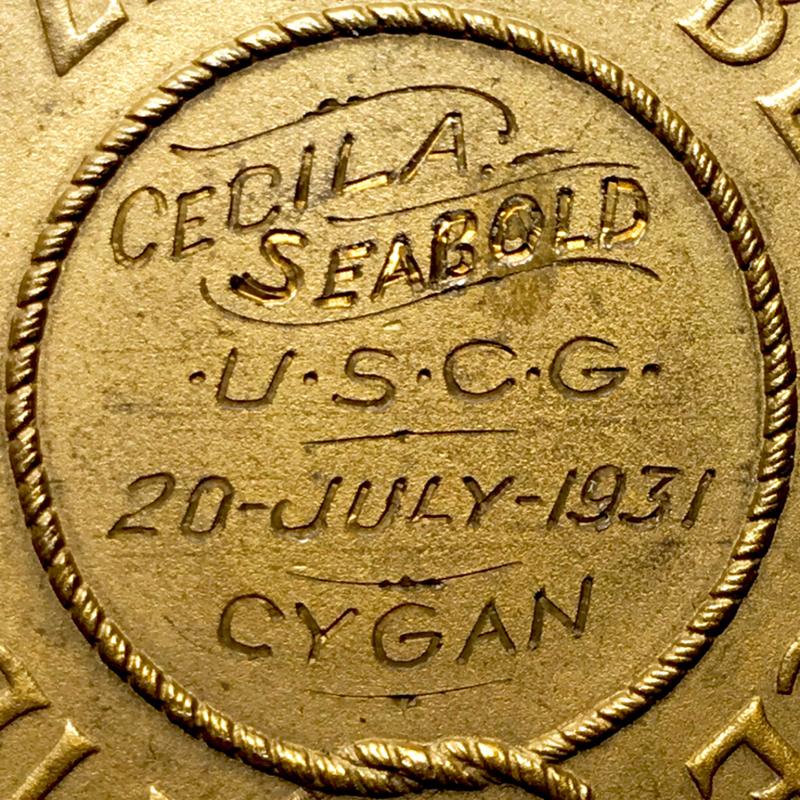 Yeoman Seabold continued to serve aboard the U.S.C.G.C. 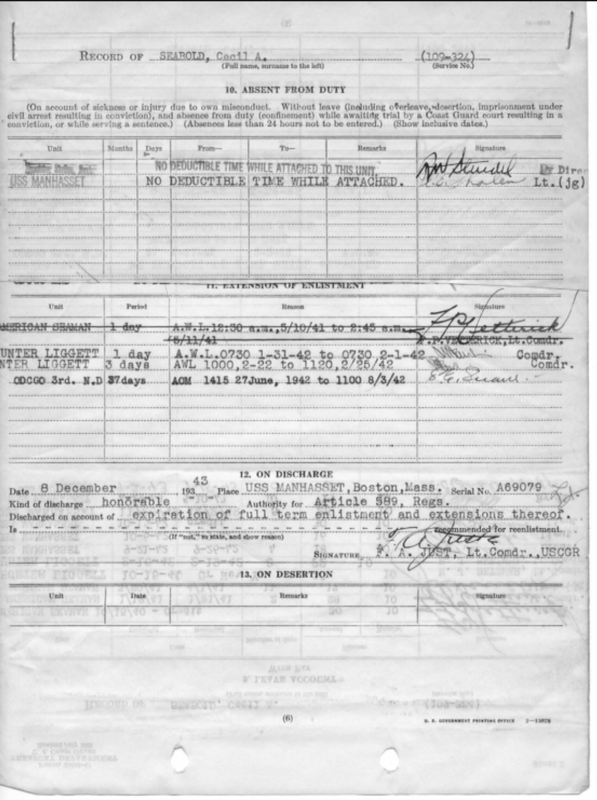 Spencer until April 17th 1947, when he was transferred to the Coast Guard 12th District, Anacortes, Washington on May 15th 1947. He remained stationed at 12th District until Oct. 9th 1947. 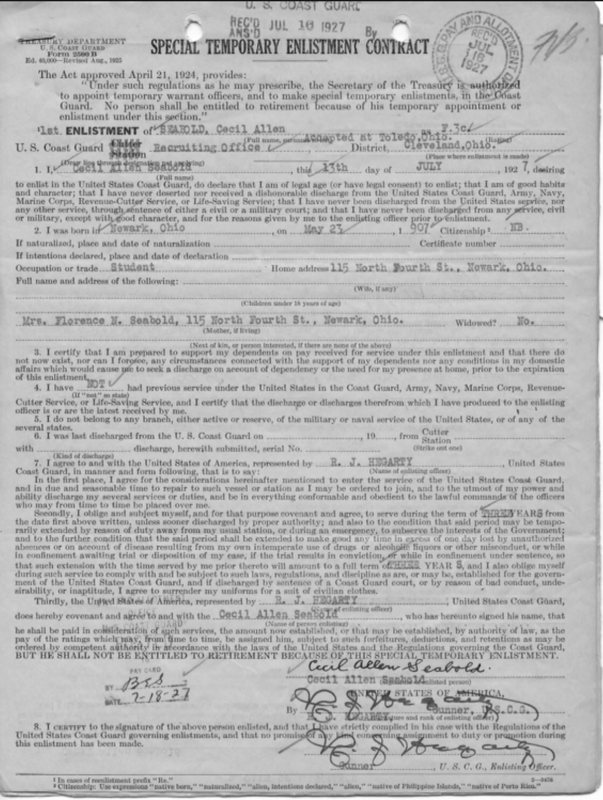 Seabold was temporarily transferred to the U.S.G.G. 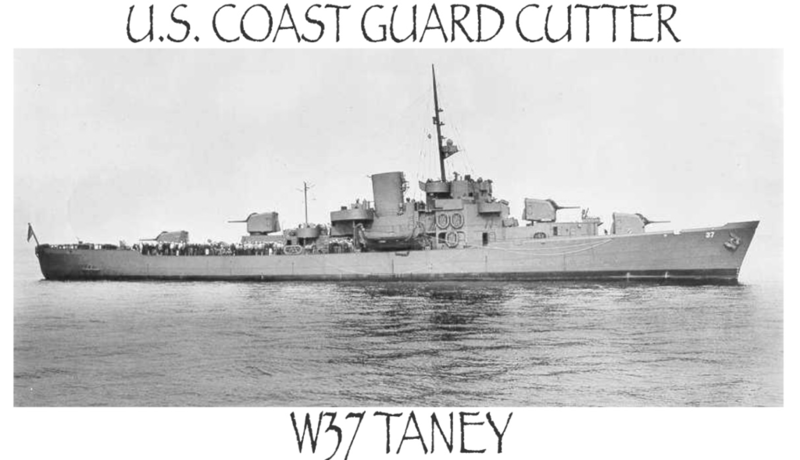 Cutter Taney on Oct. 13th 1947, & he was Honorably Discharge Dec. 19th 1947 while aboard the Cutter Taney. 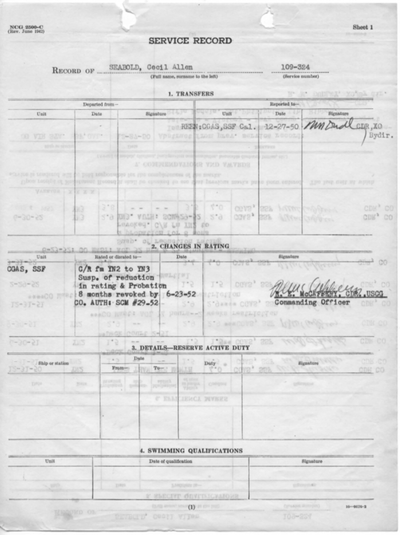 He immediately reenlisted Dec. 20th 1947. 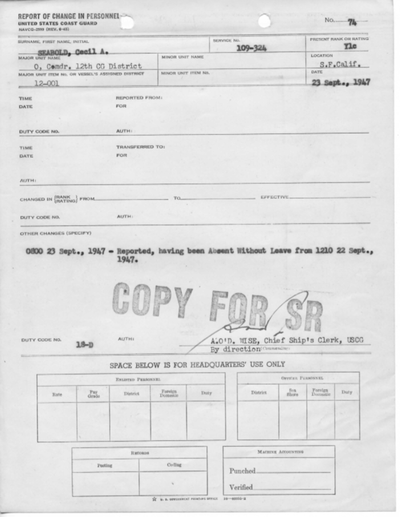 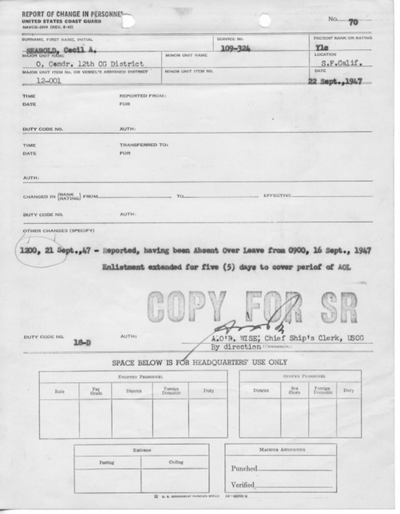 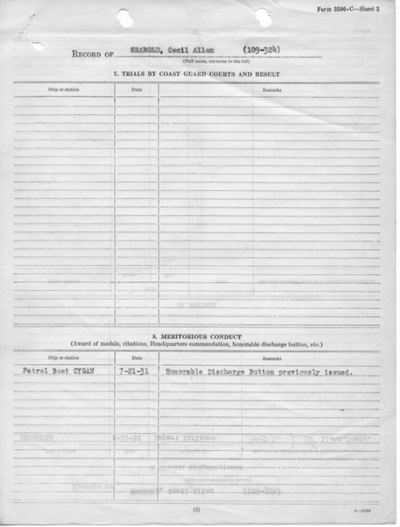 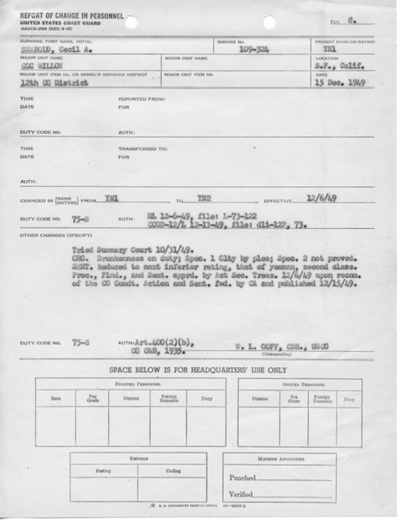 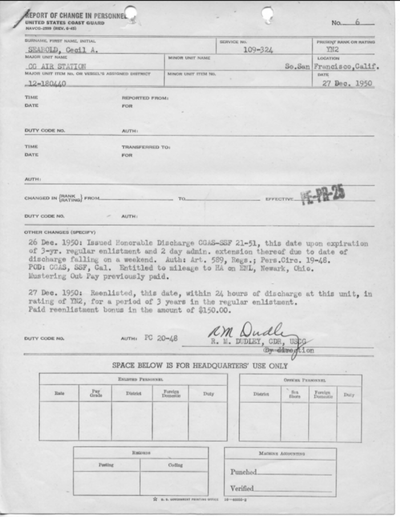 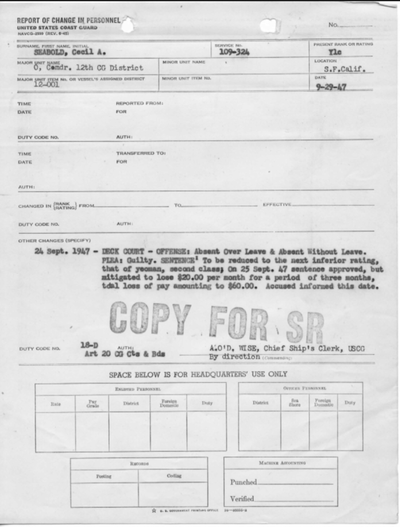 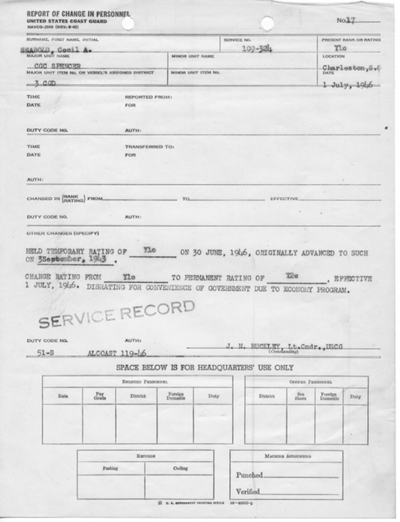 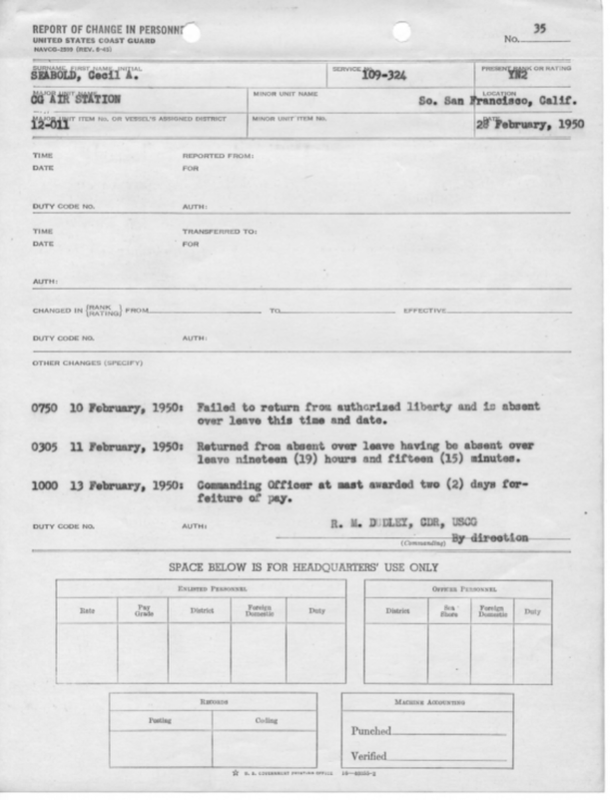 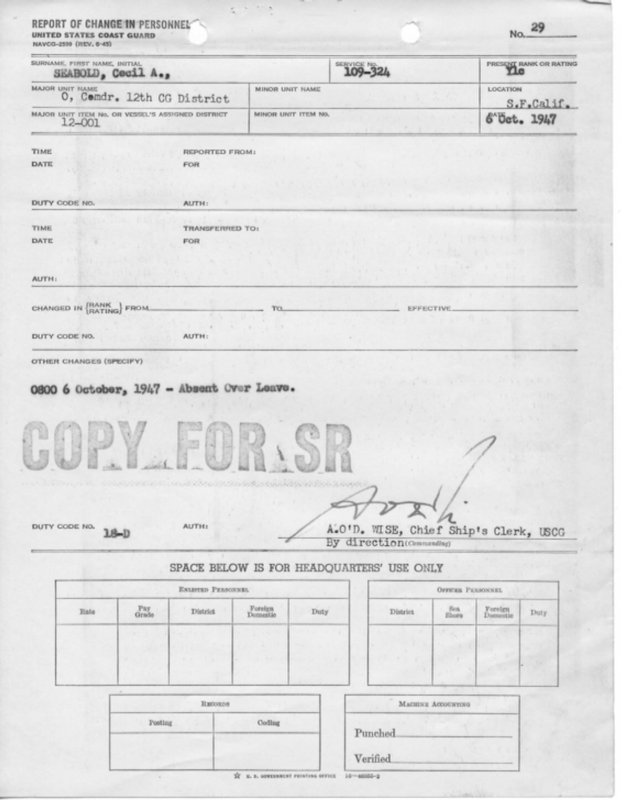 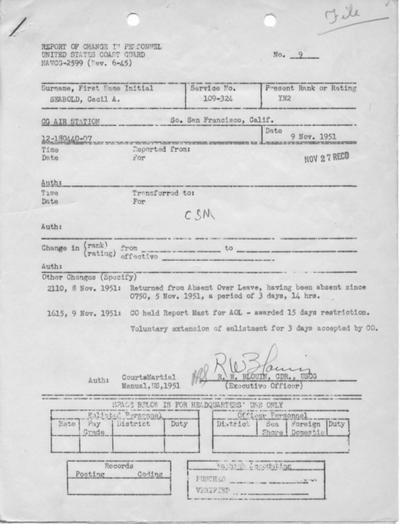 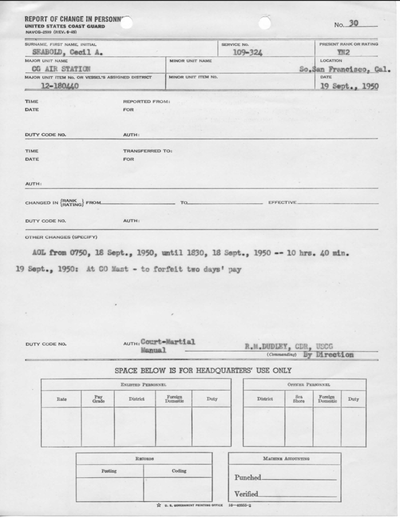 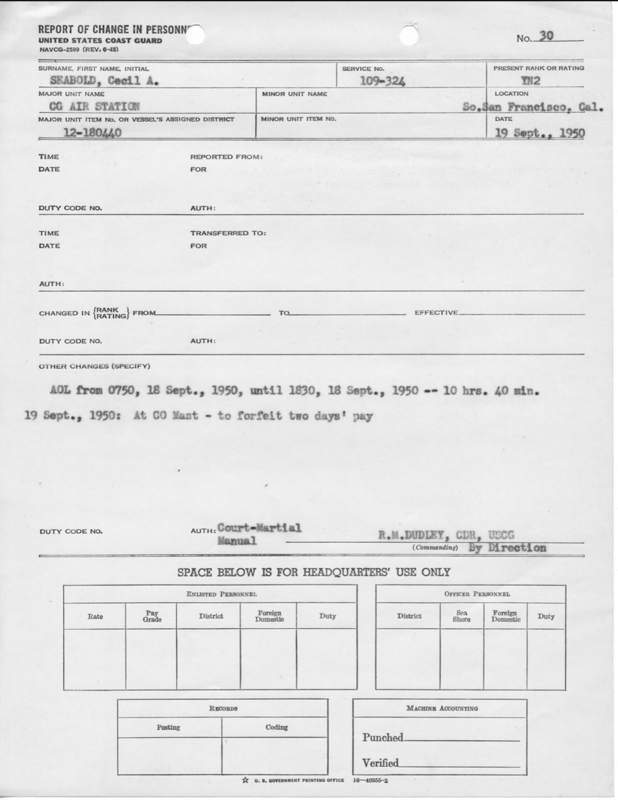 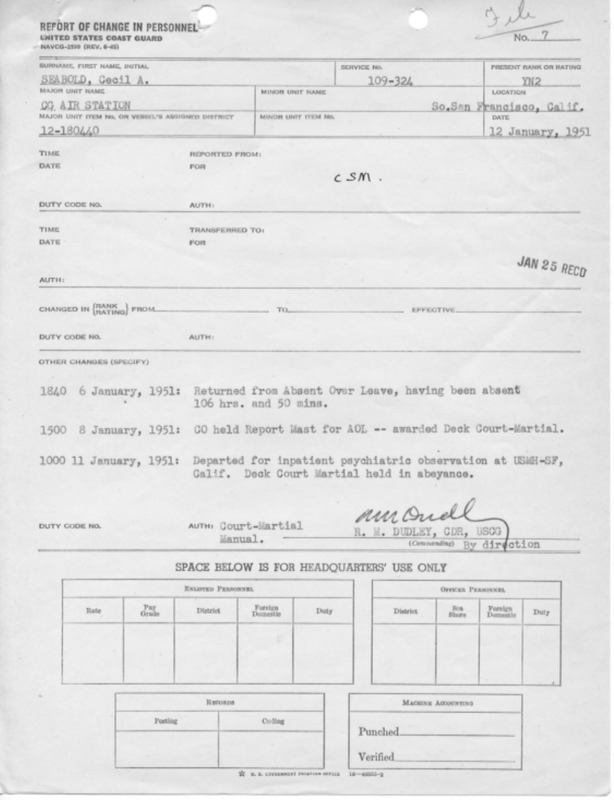 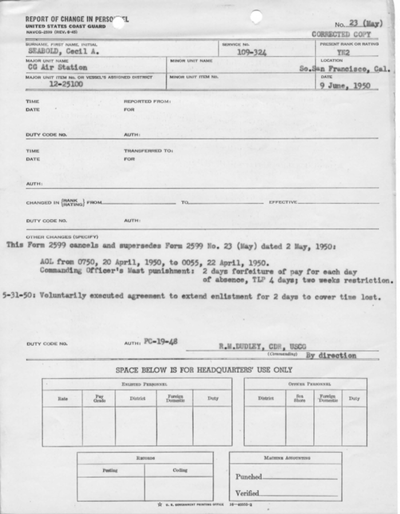 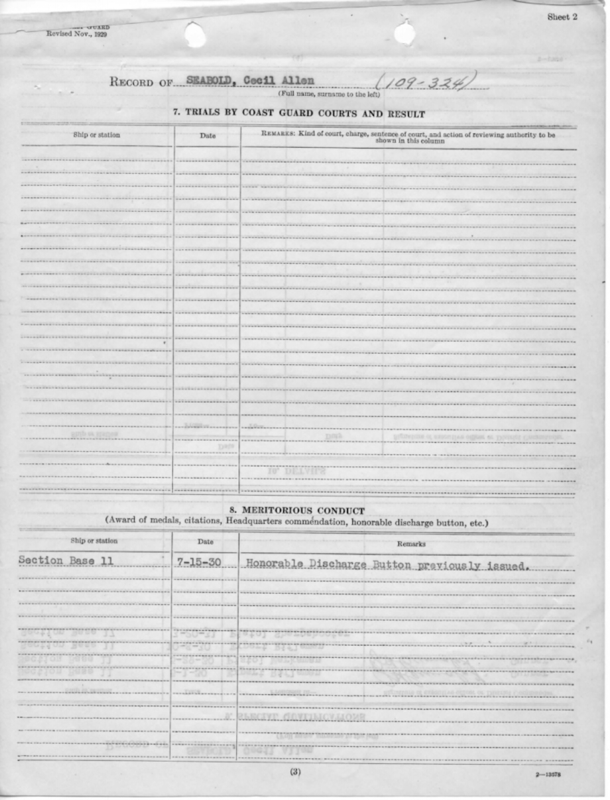 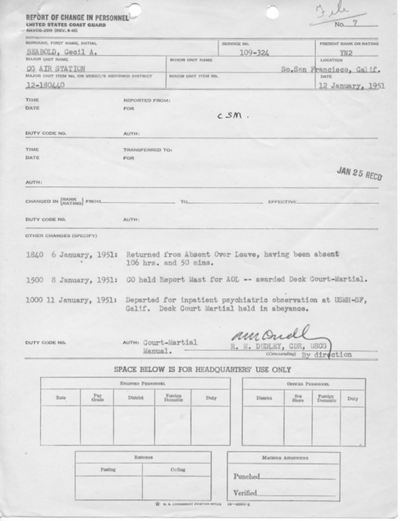 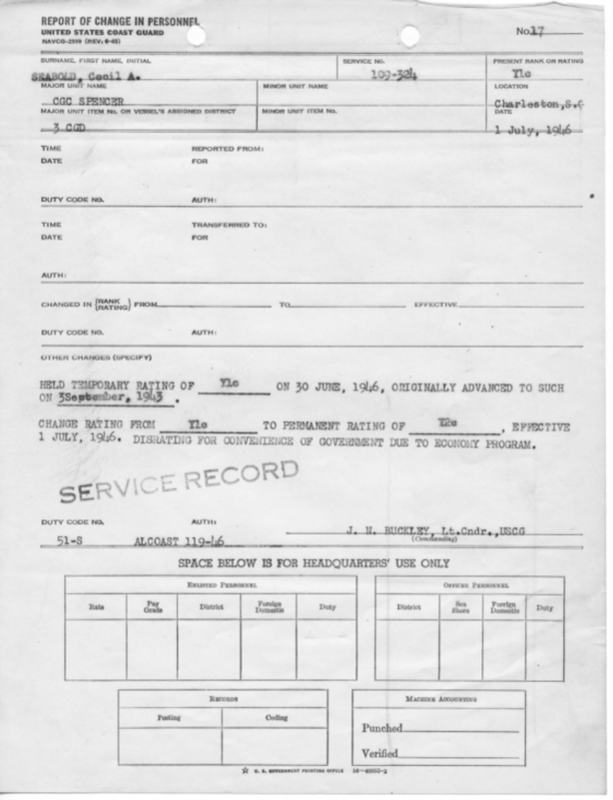 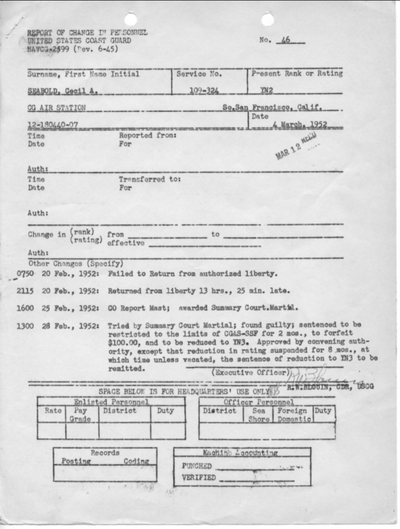 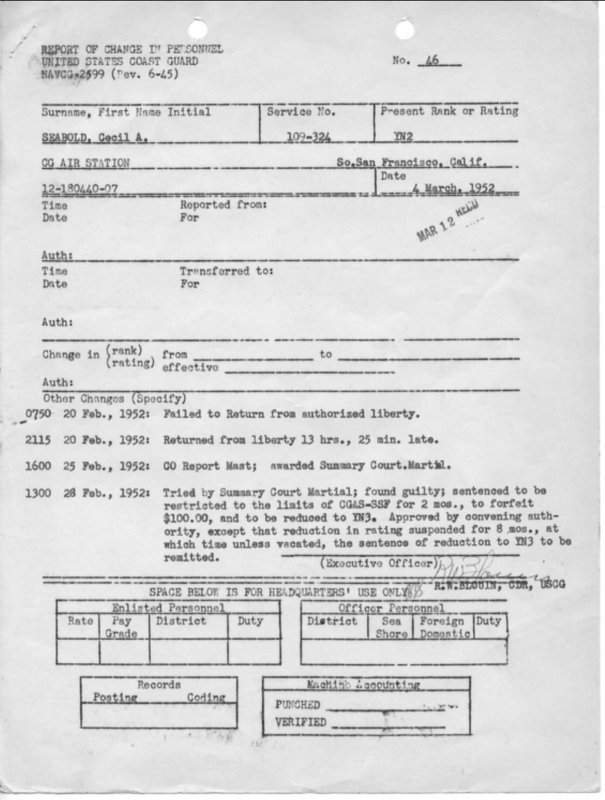 Seabold served on the Cutter Taney until he was transferred on Feb. 20th 1947. 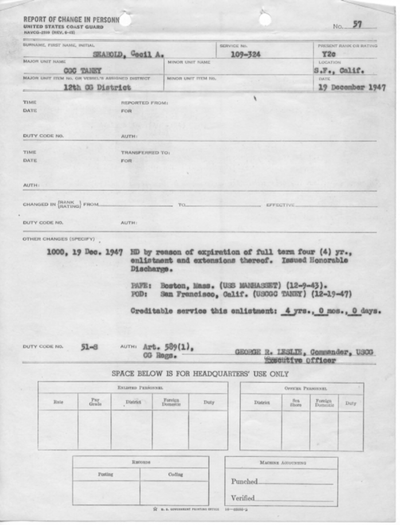 ​Seabold reenlisted while aboard the Bramble Dec. 27th 1949 & transferred to the U.S.C.G. 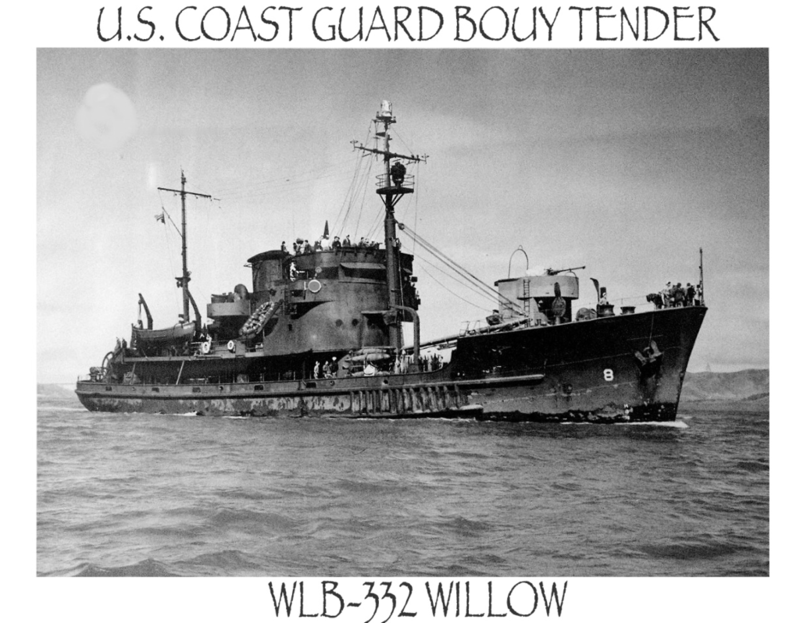 Buoy Tender Willow Jan. 14th 1949. 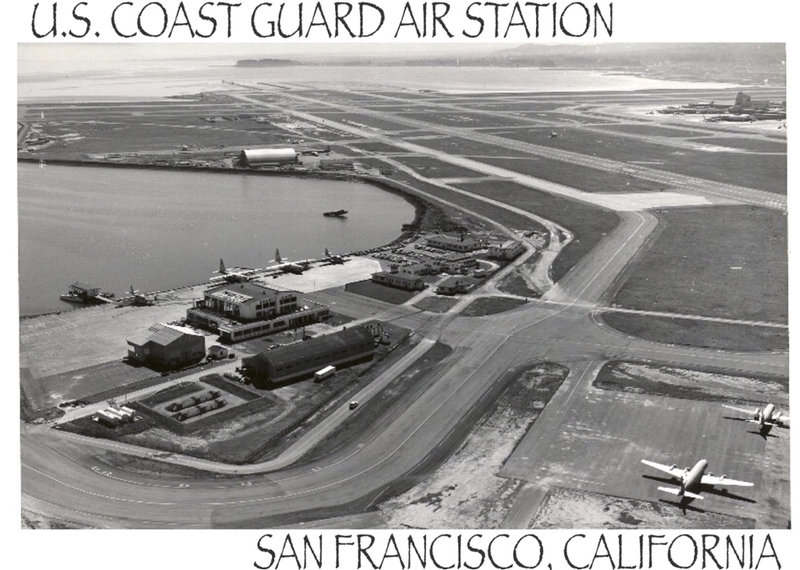 He was stationed on the Willow until Jan 24th 1950 when he was transferred to the Coast Guard Air Station, San Fransisco, CA. 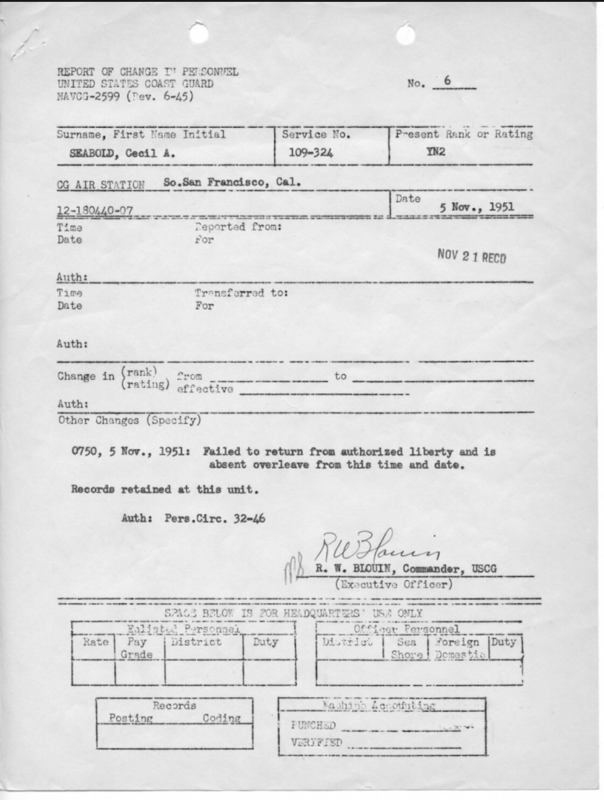 He remained at C.G.A.S. S.S.F. 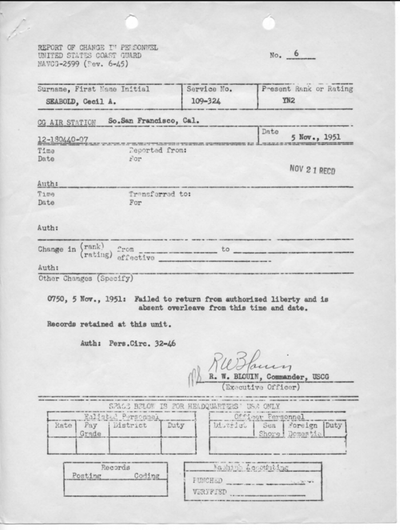 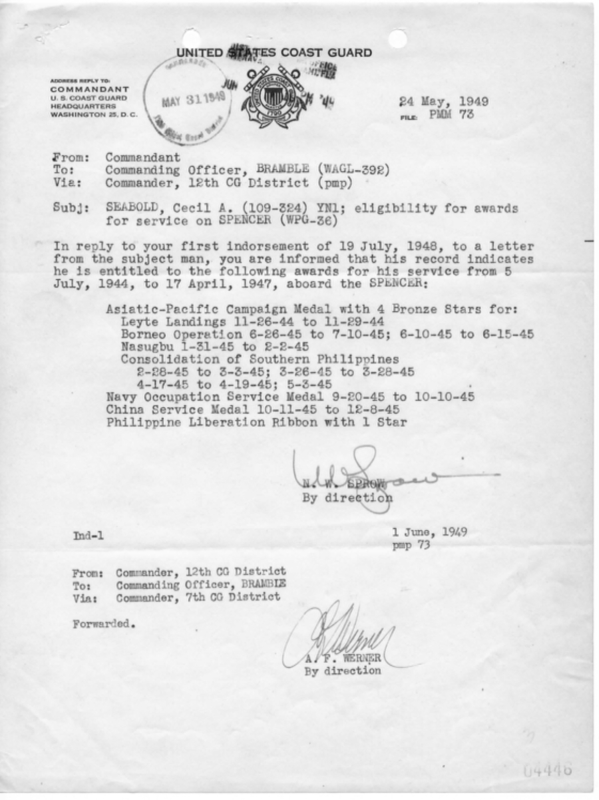 until he was Honorably Discharged, June 1st 1953. 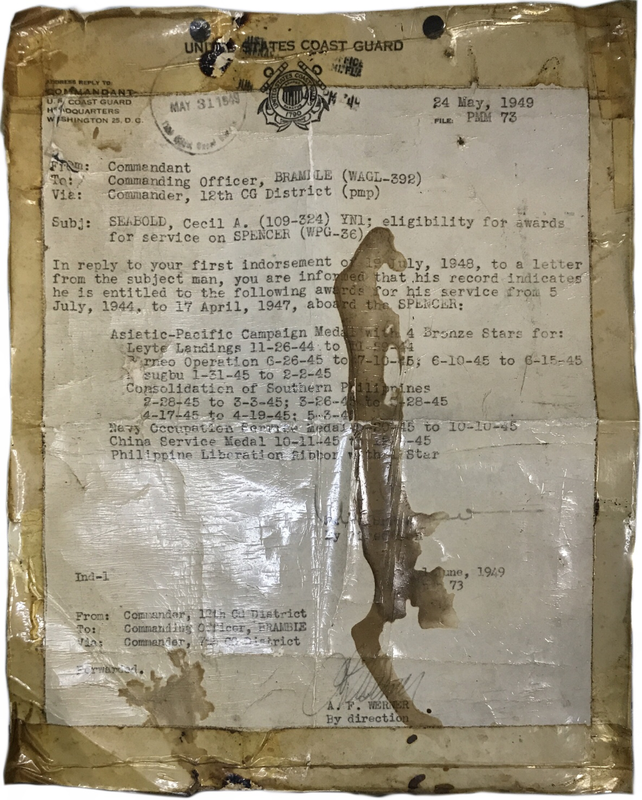 Giving nearly 25 years of his life to the U.S. Coast Guard, fighting World War II overseas, & stateside through the Korean War. 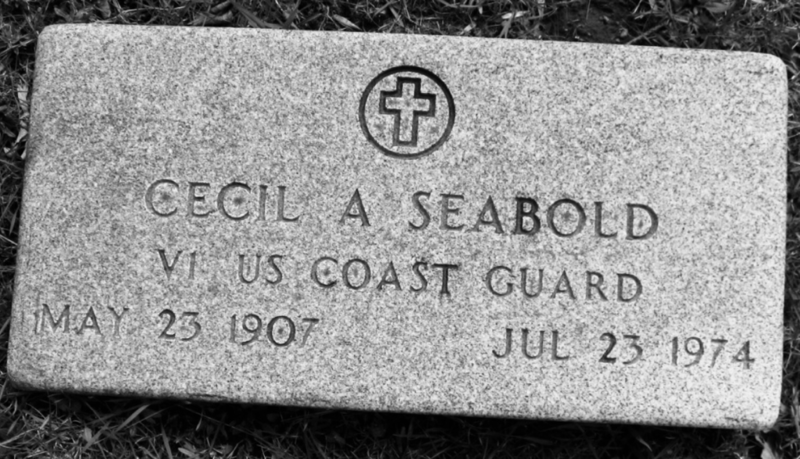 United States Coast Guard Yeoman Petty Officer 3rd Class Cecil Allen Seabold passed away July 23rd 1974, & he is buried at the Cedar Hill Cemetery, Newark, Ohio.